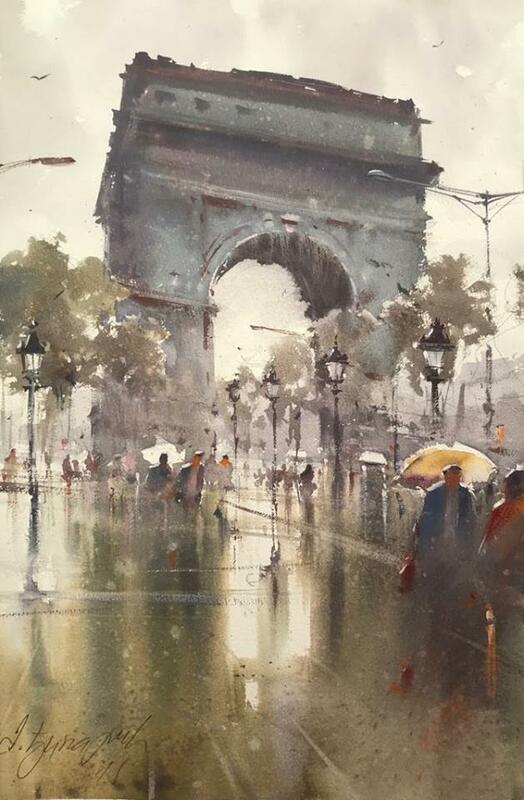 Arc de Triomphe Paris, watercolor, 36x55 cm. 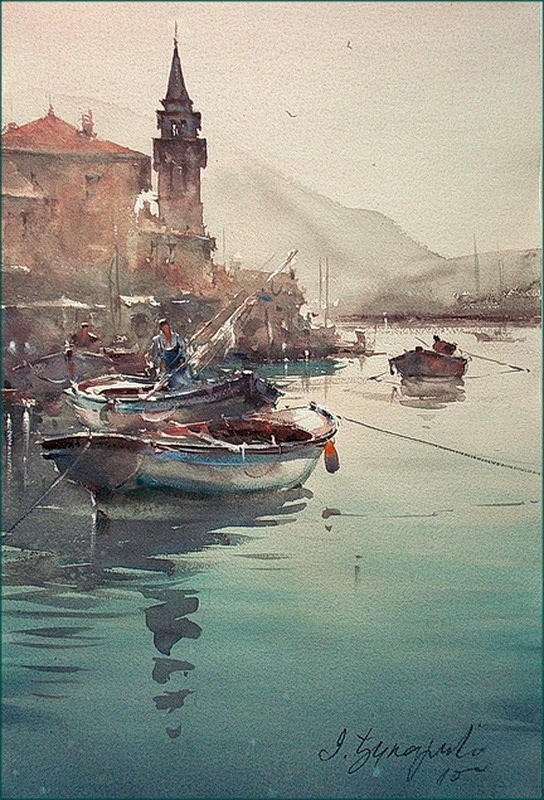 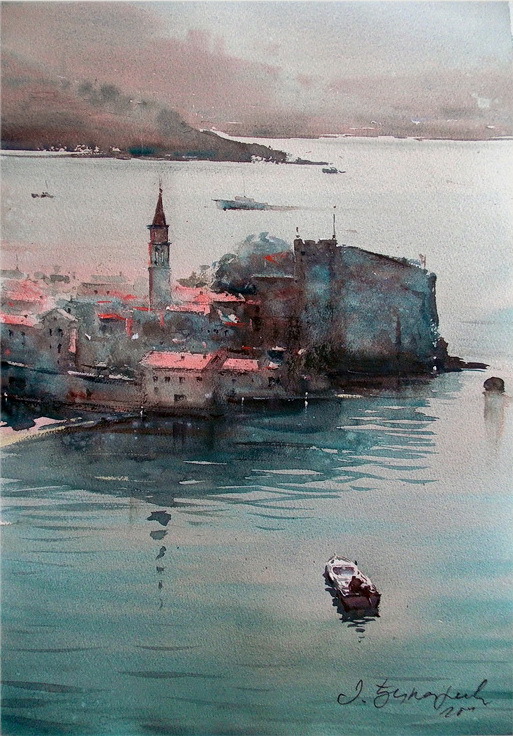 Our Lady of the Rocks, watercolor, 26x37 cm. 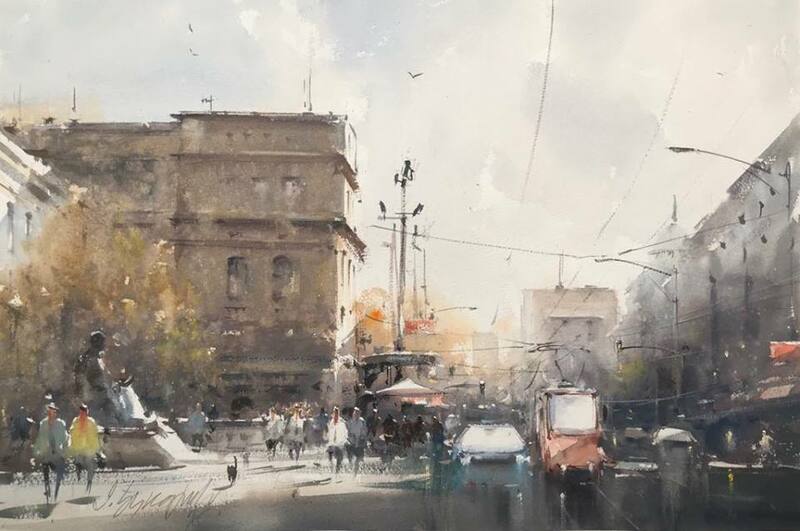 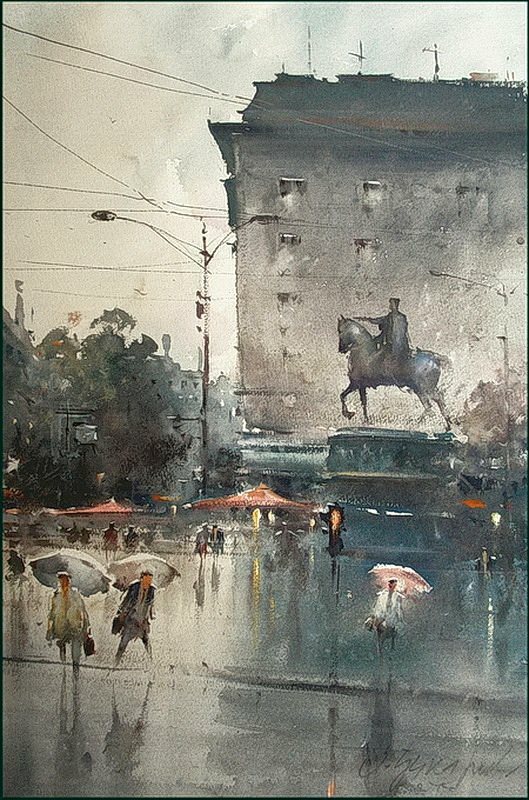 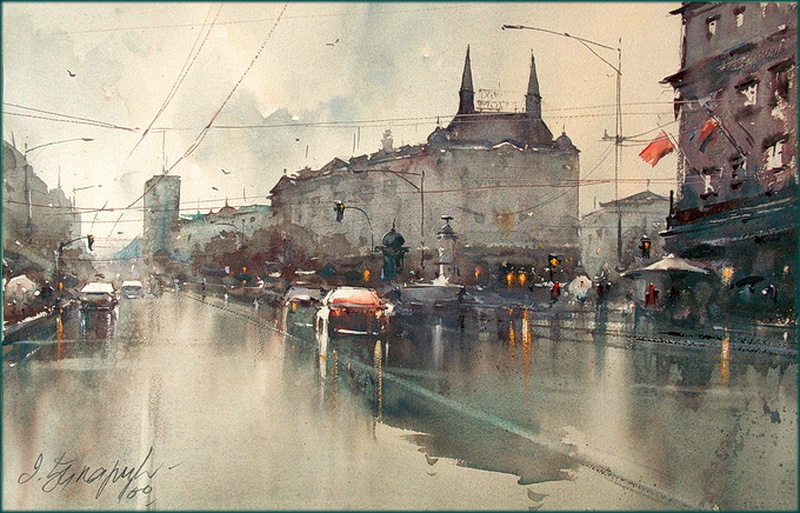 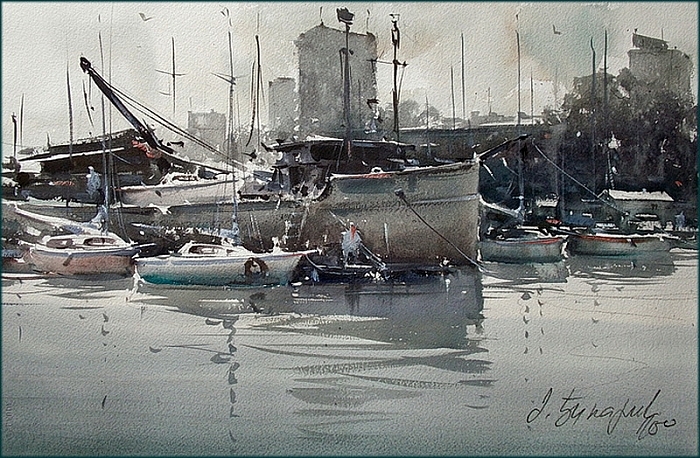 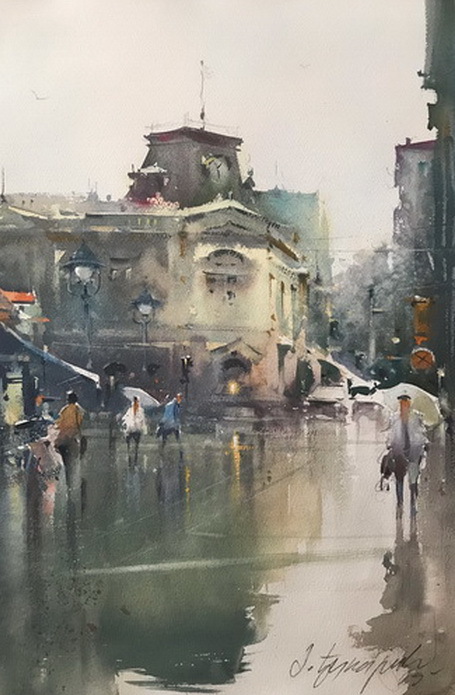 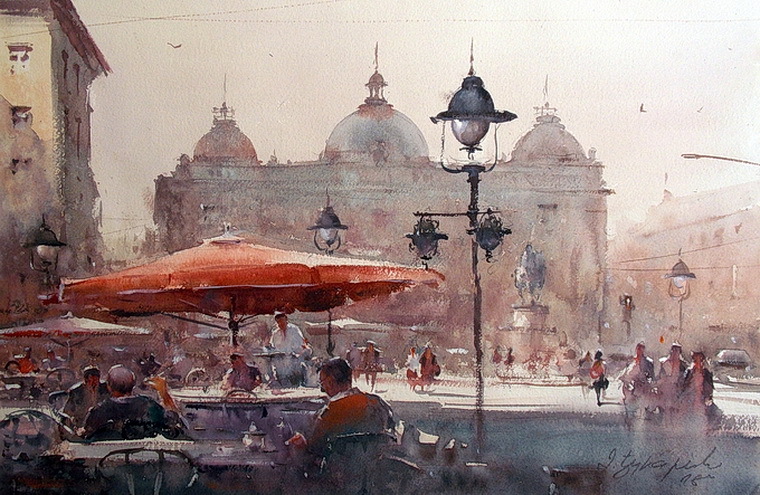 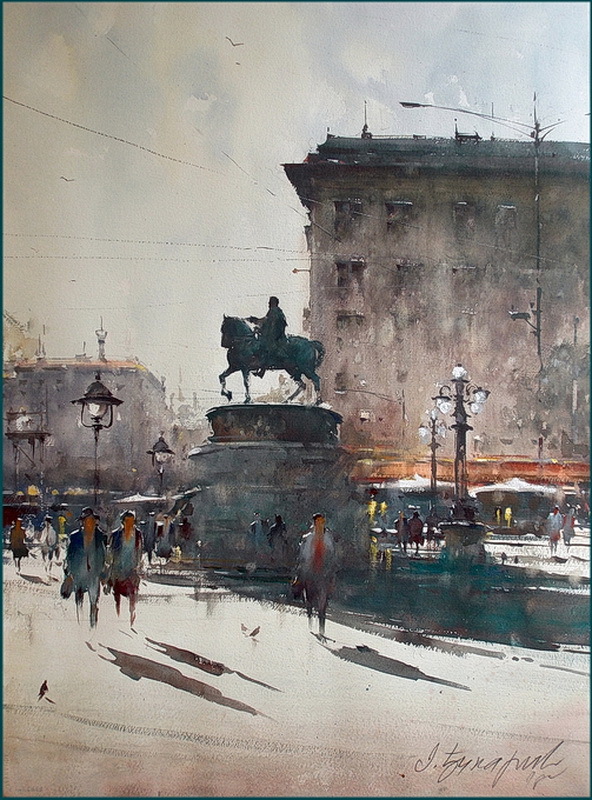 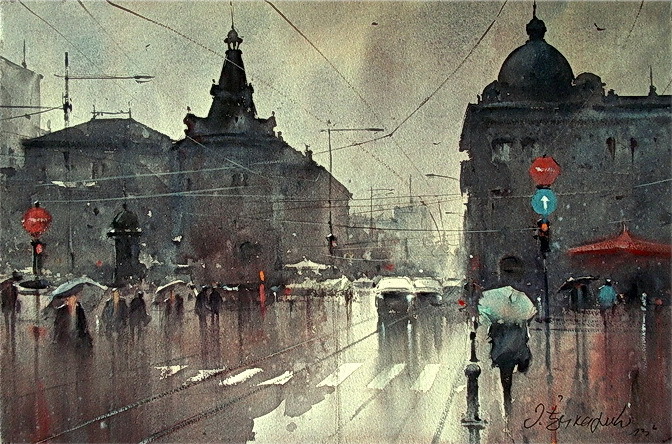 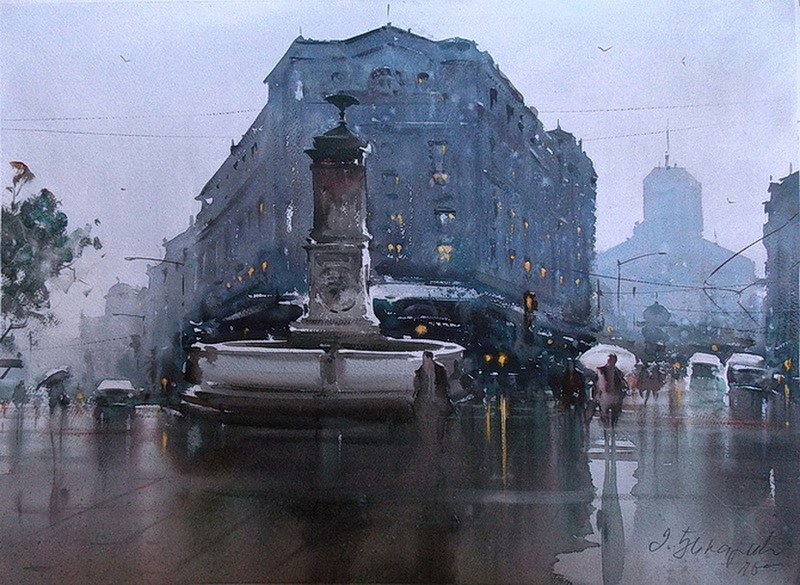 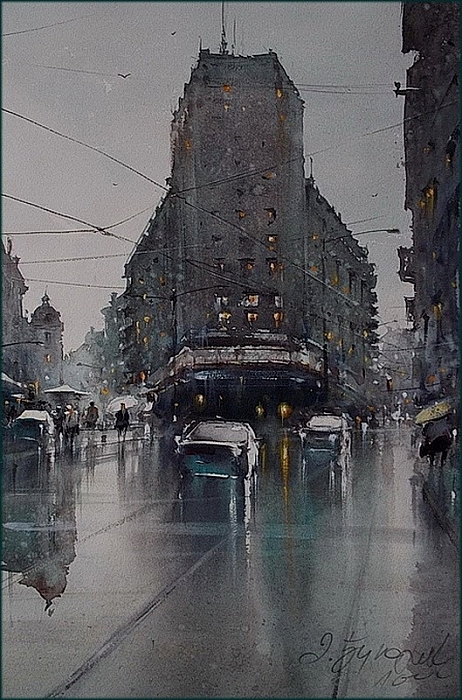 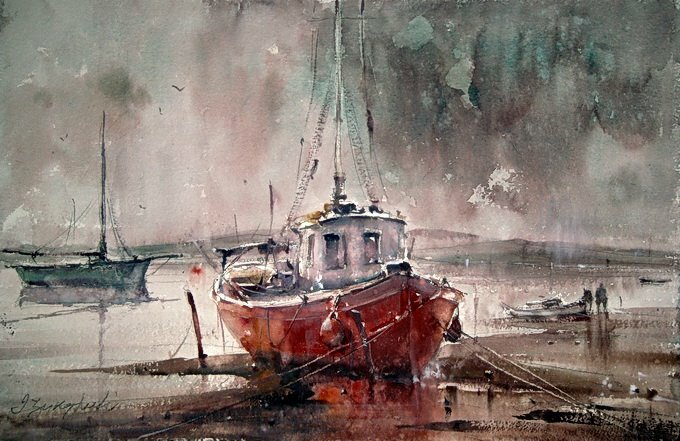 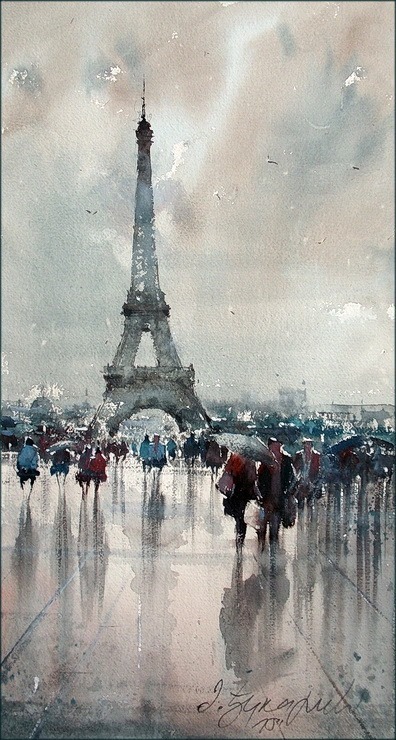 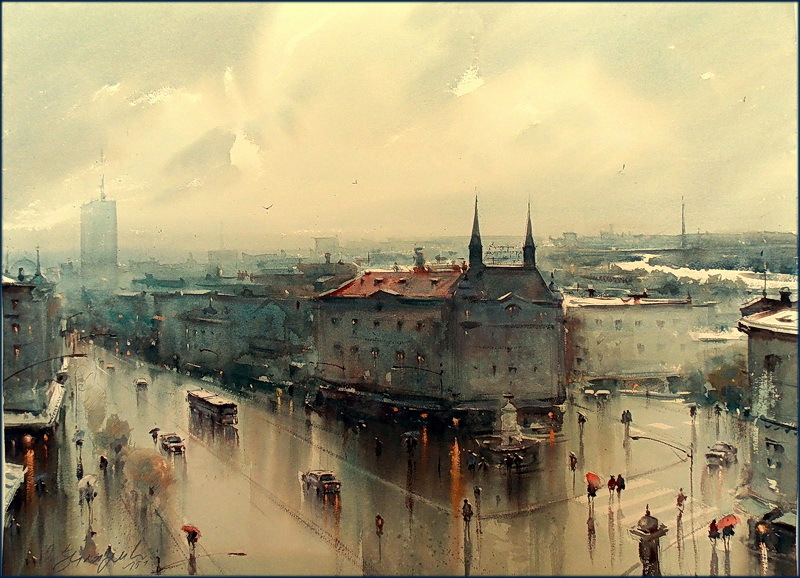 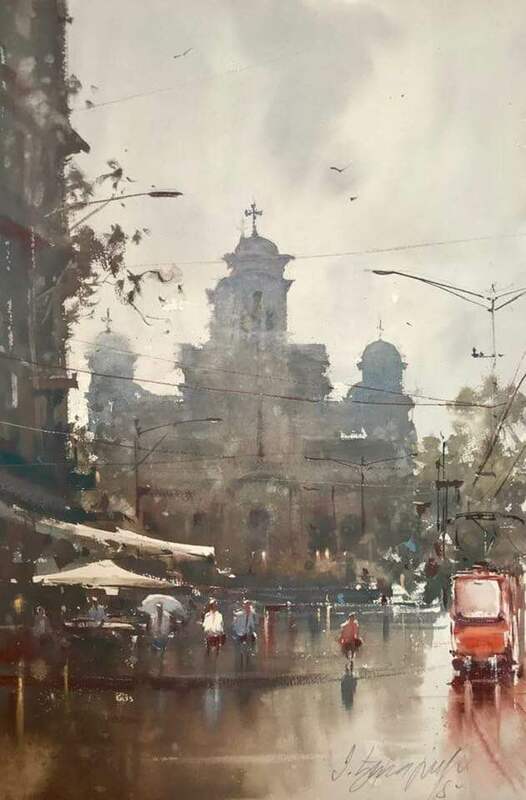 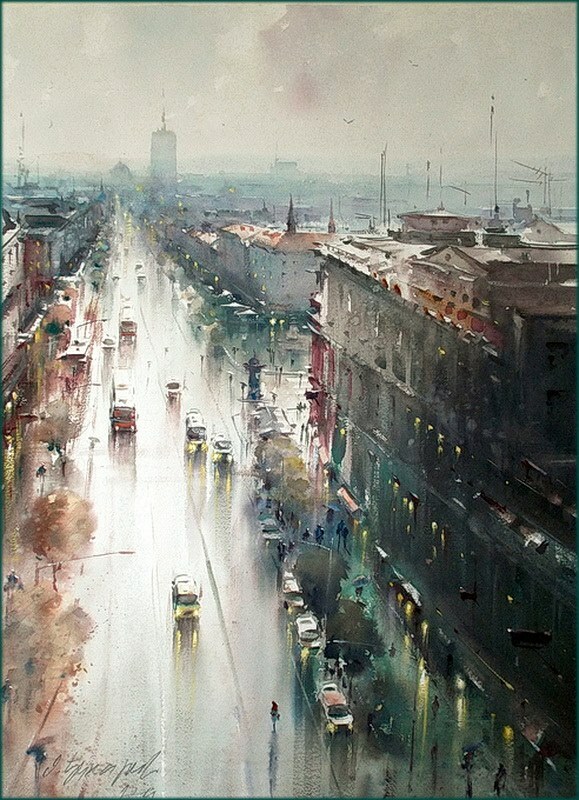 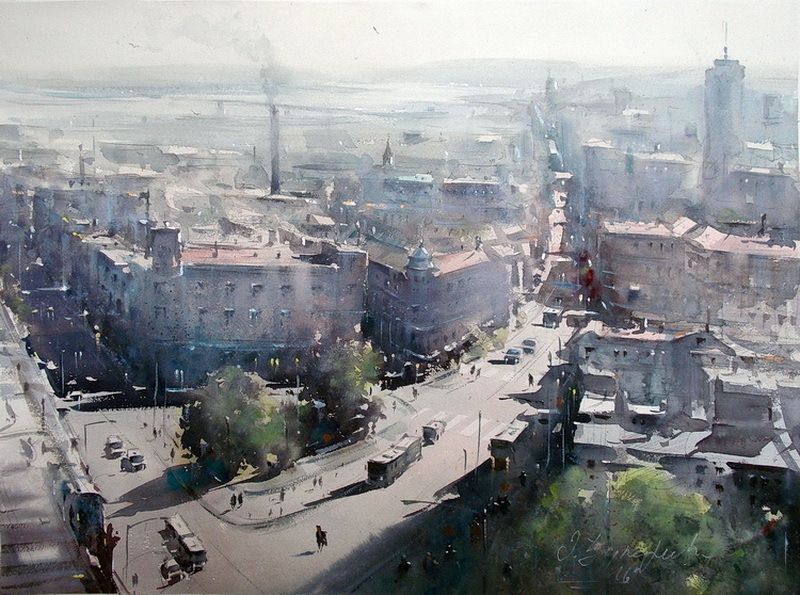 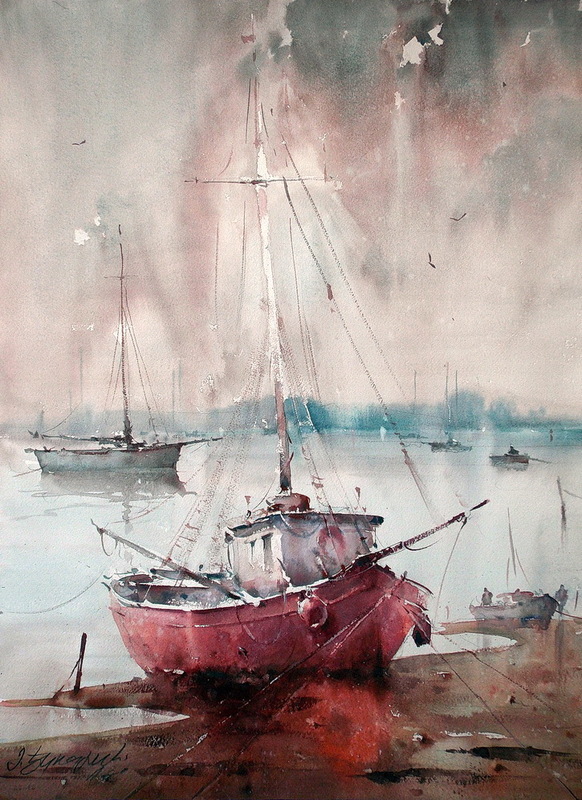 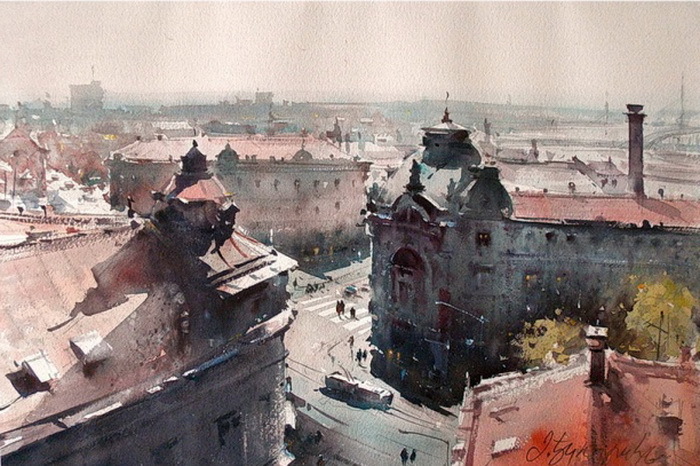 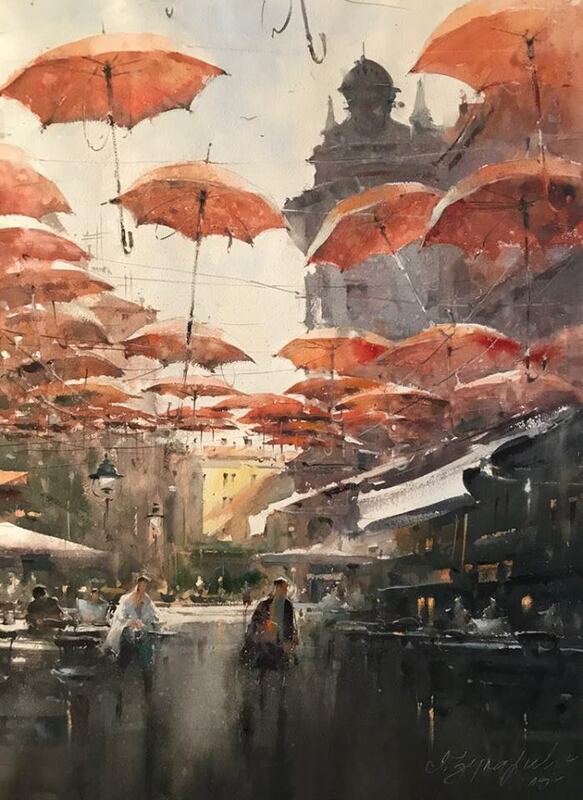 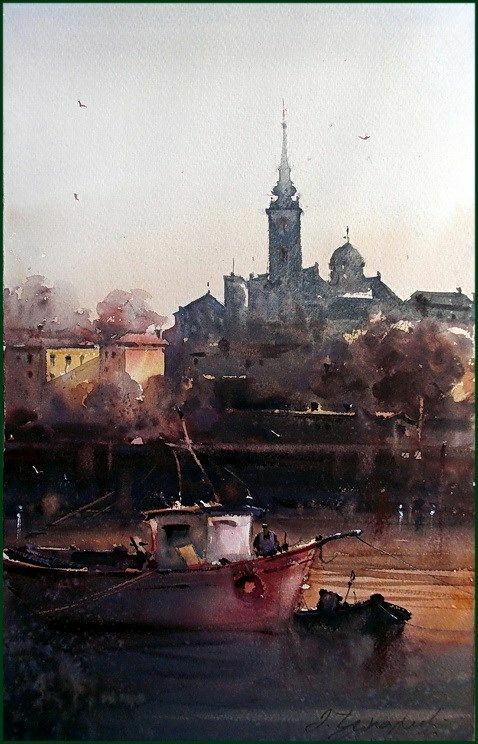 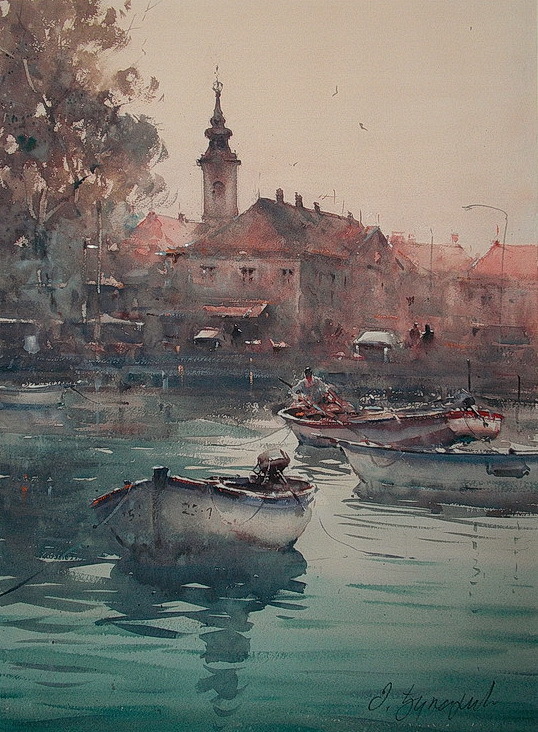 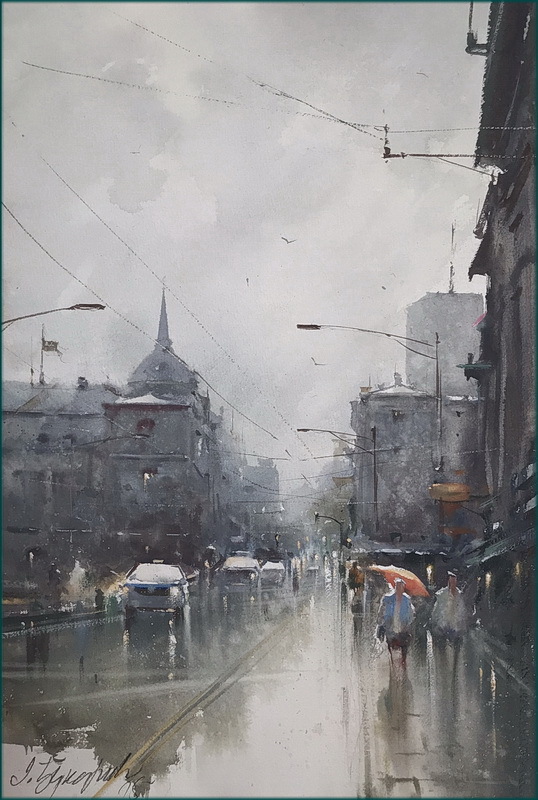 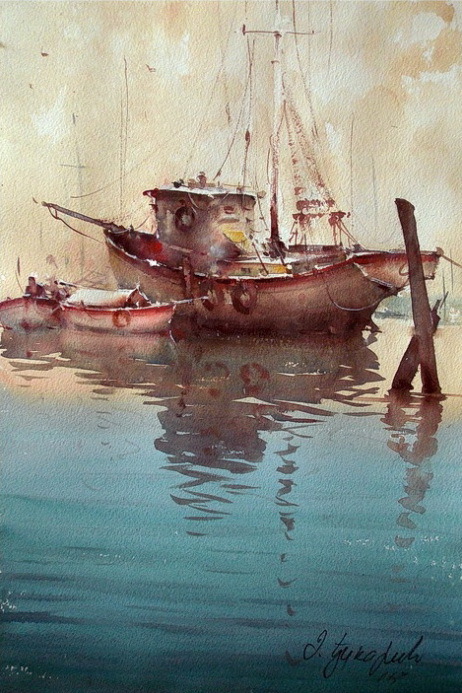 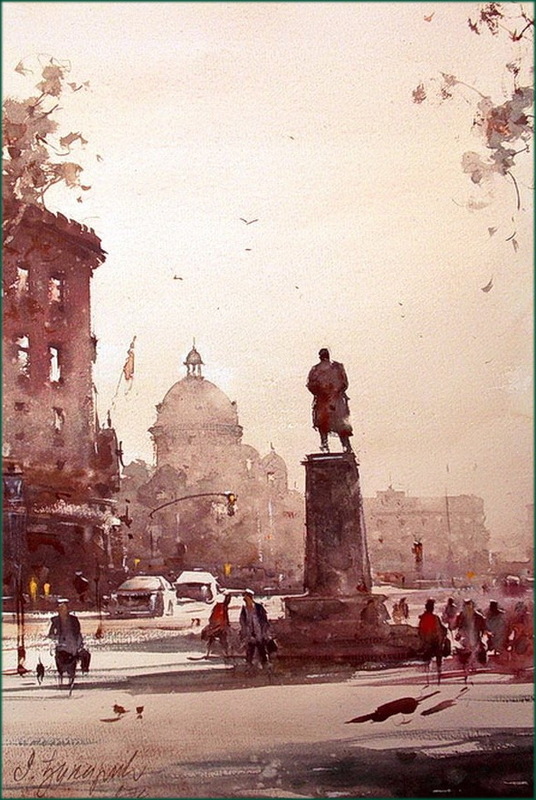 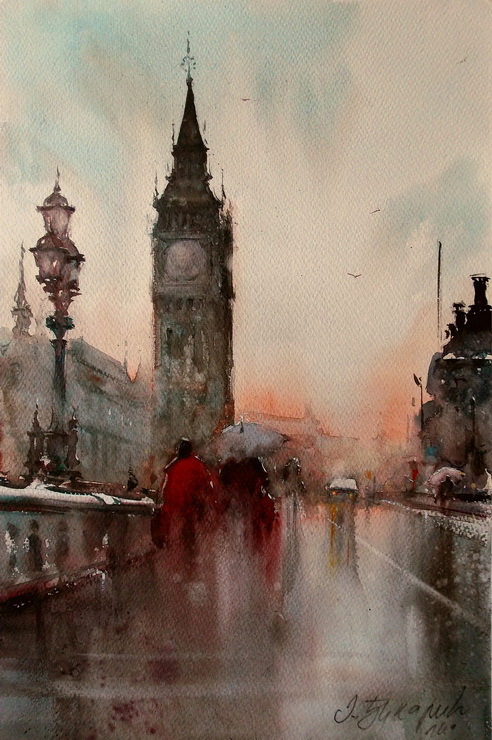 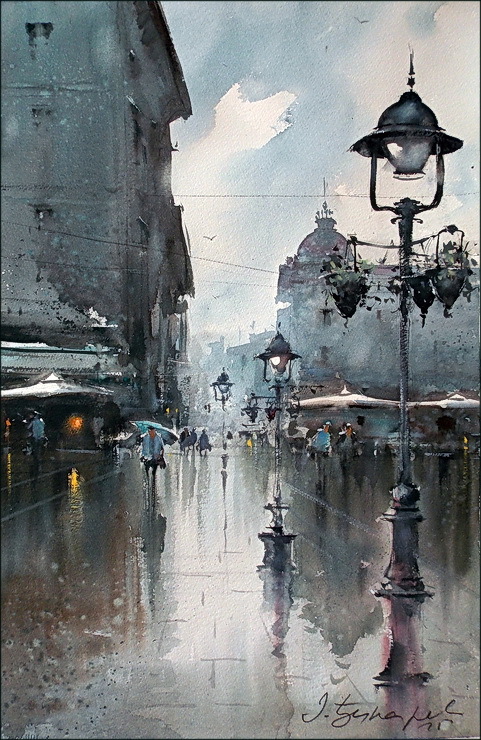 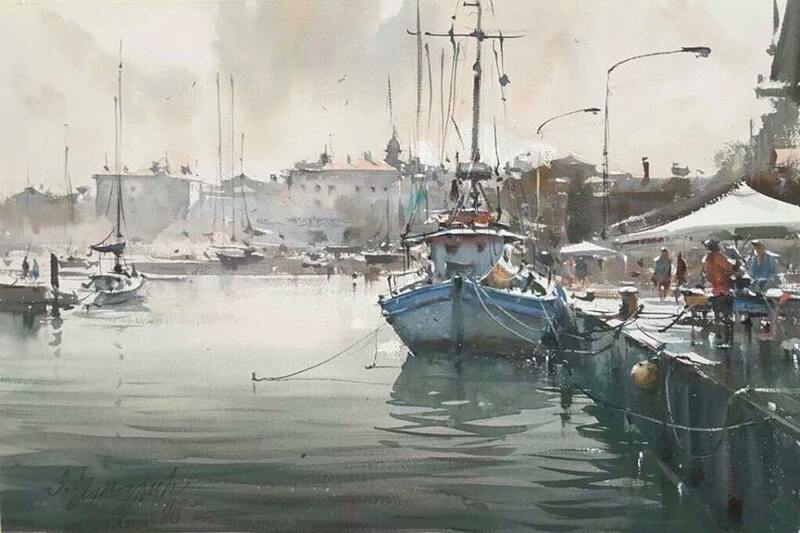 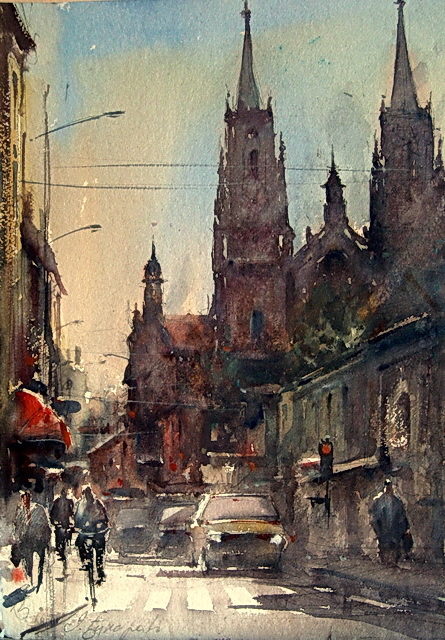 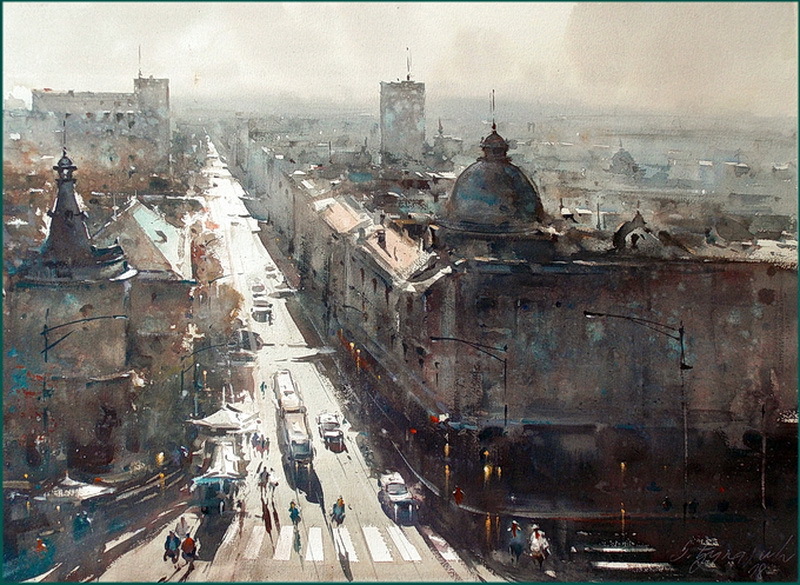 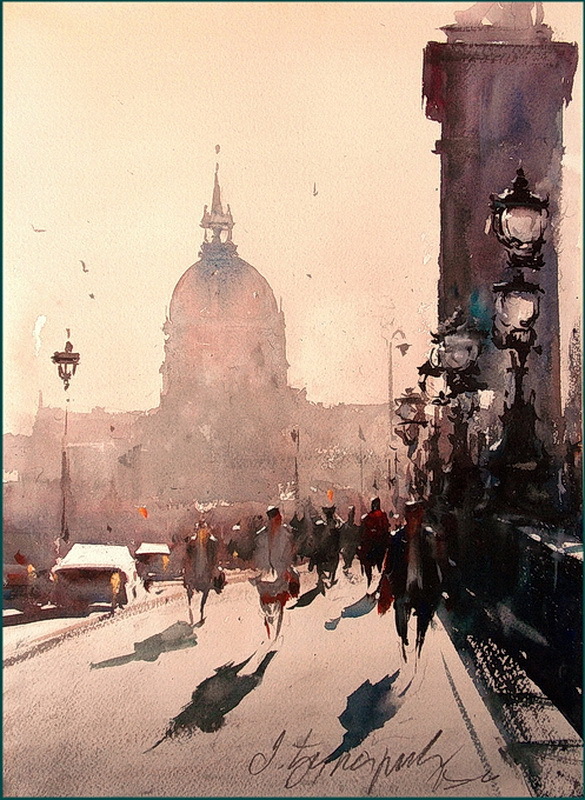 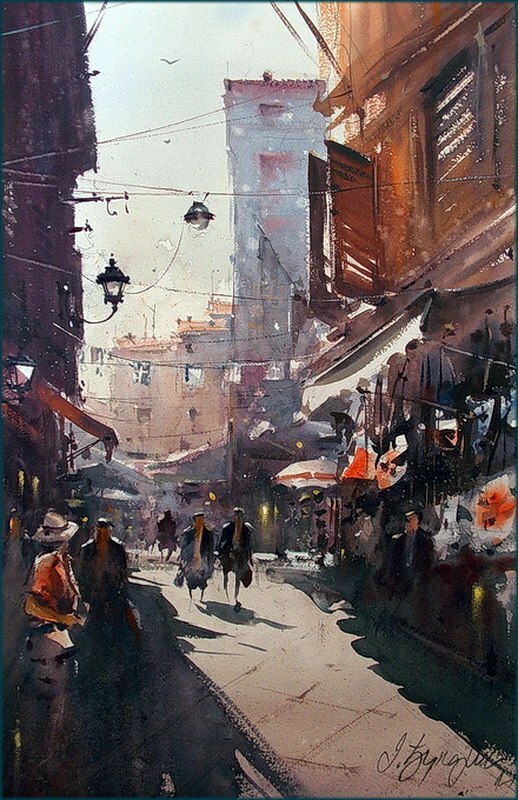 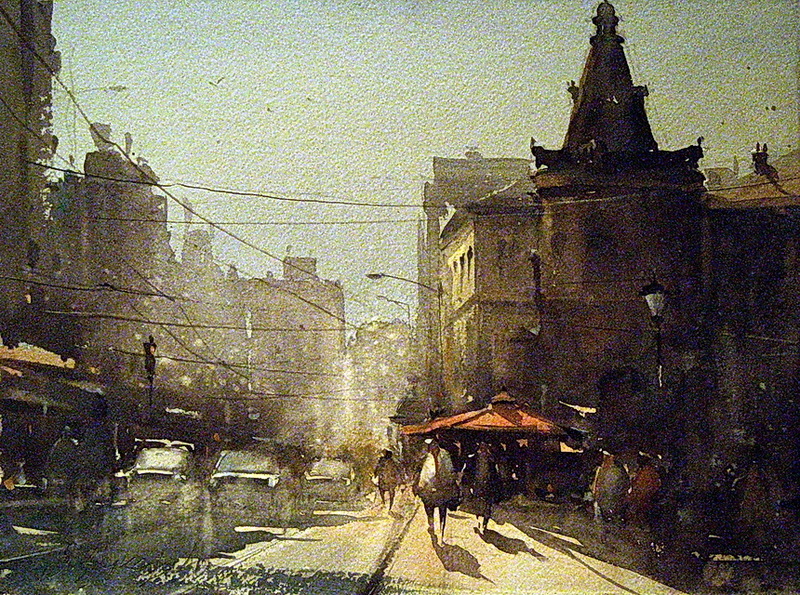 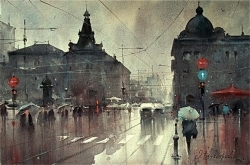 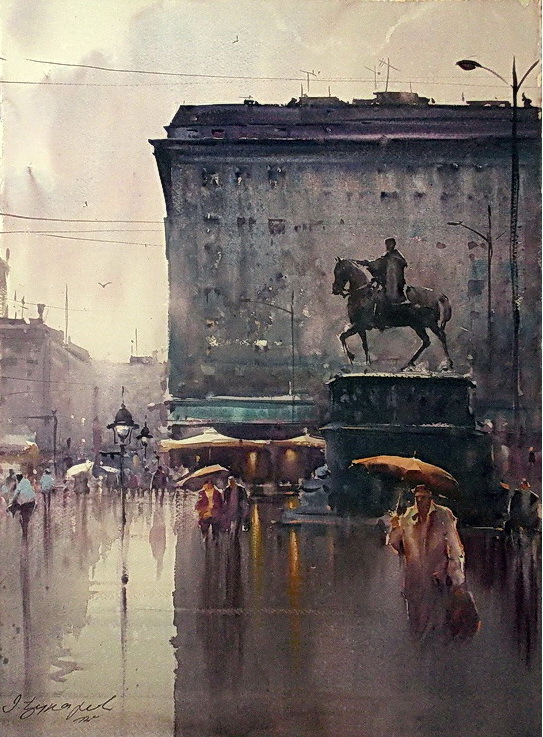 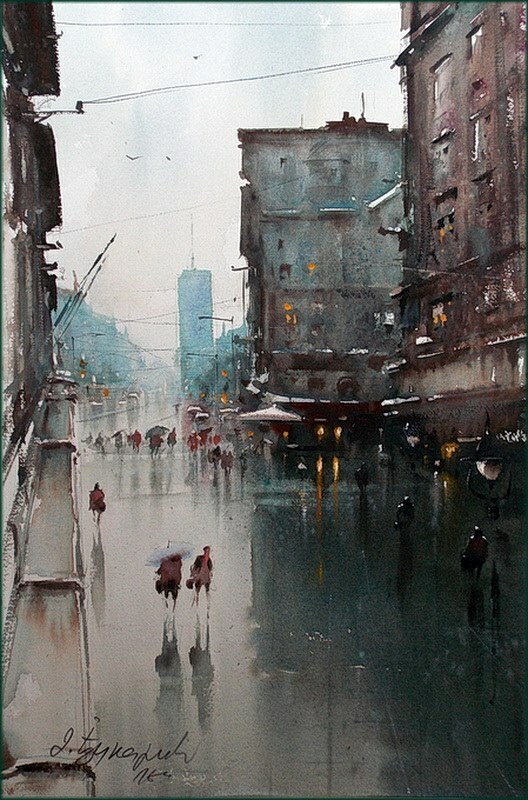 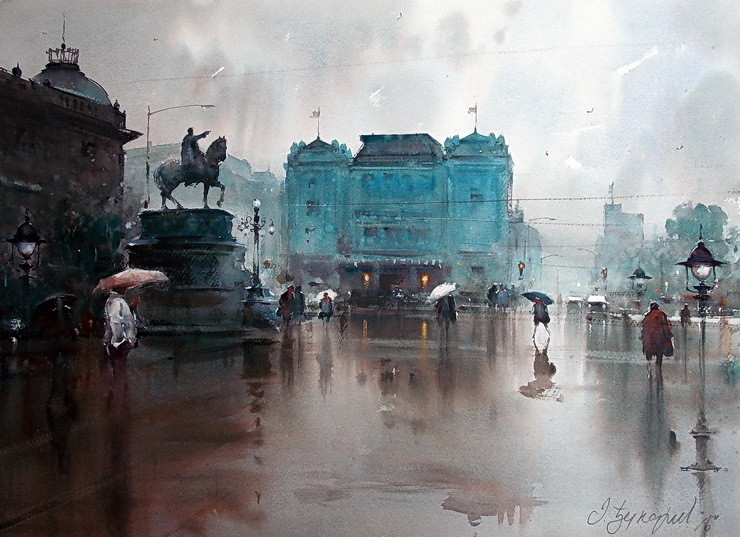 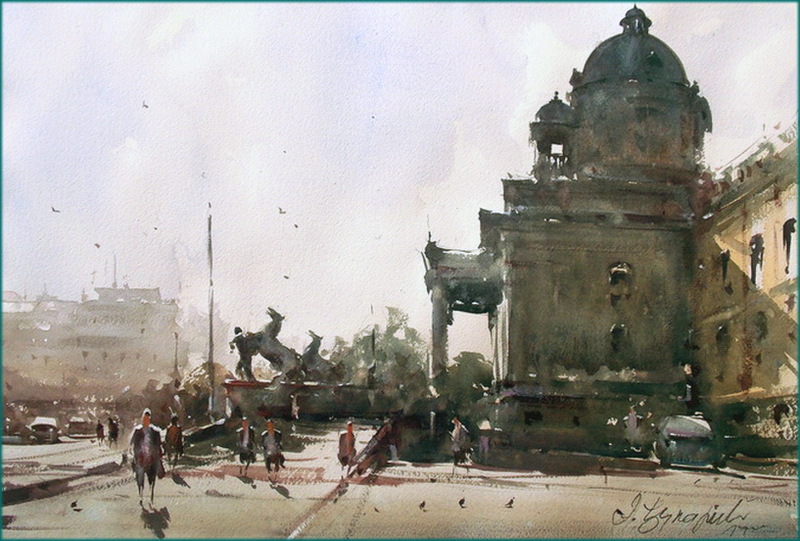 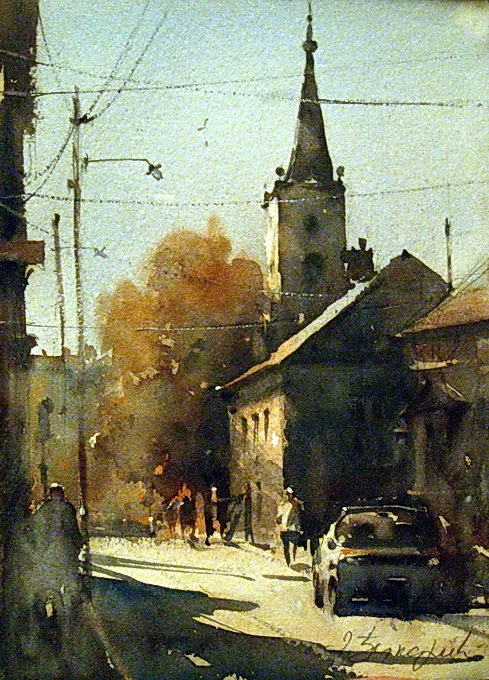 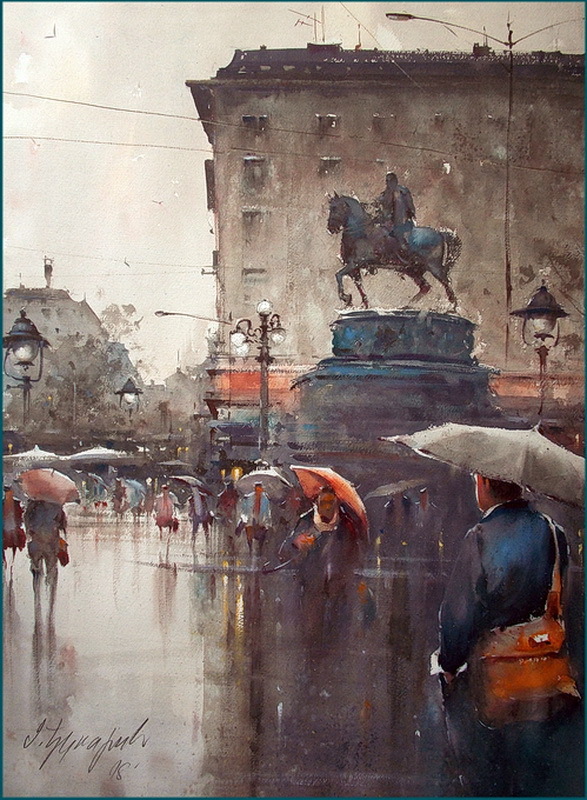 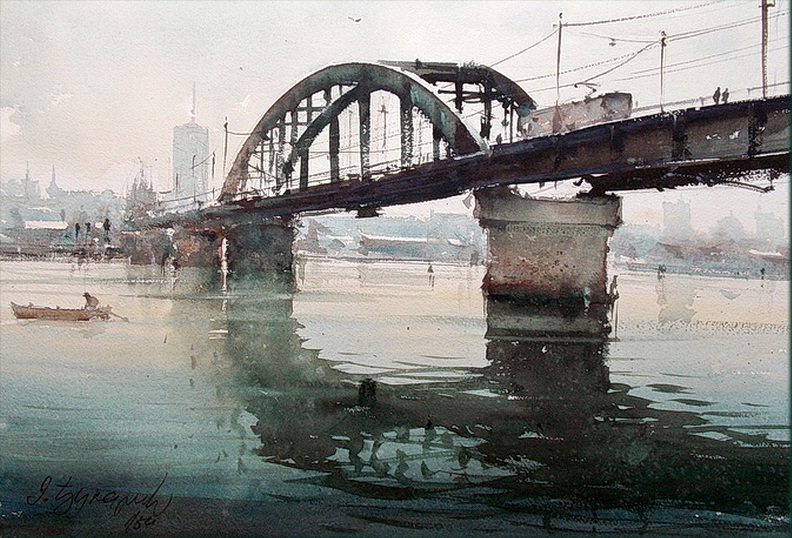 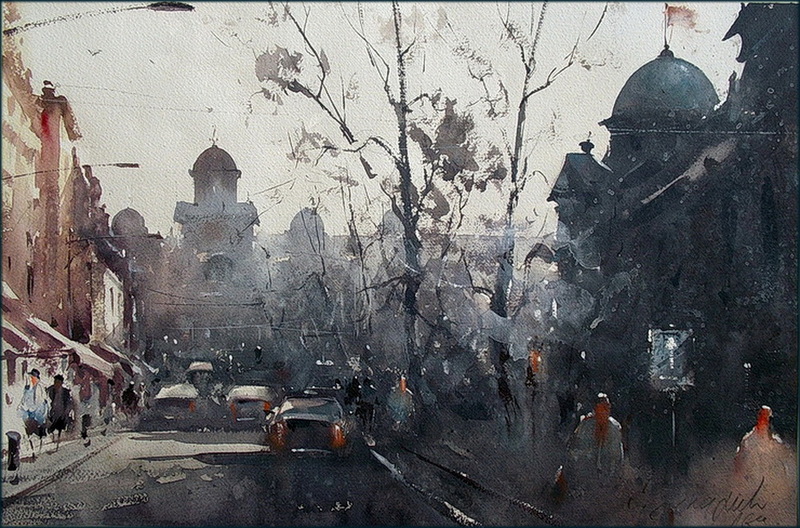 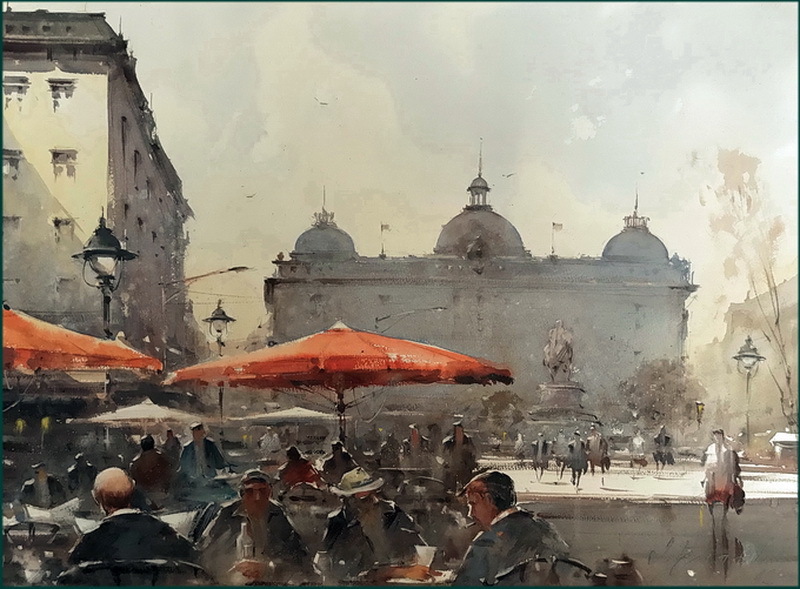 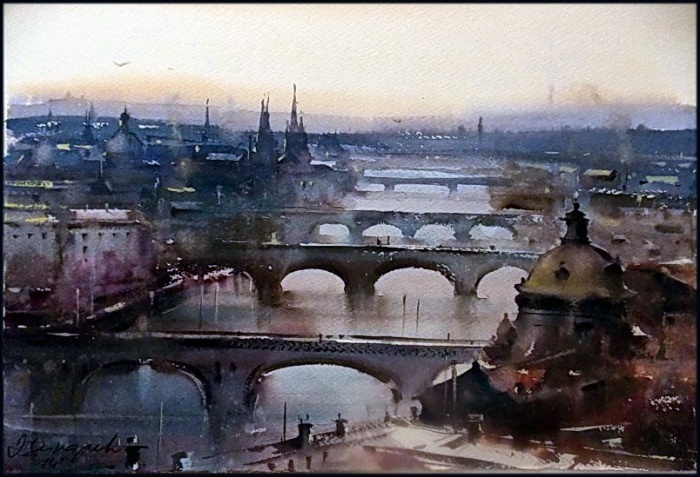 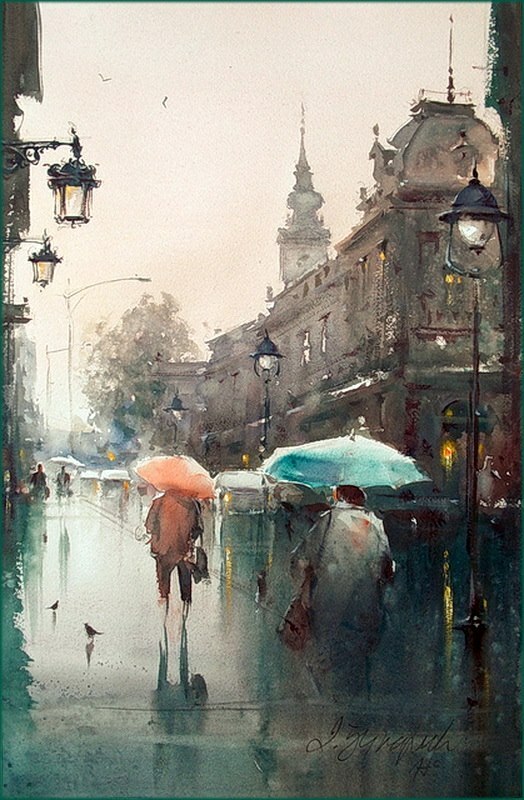 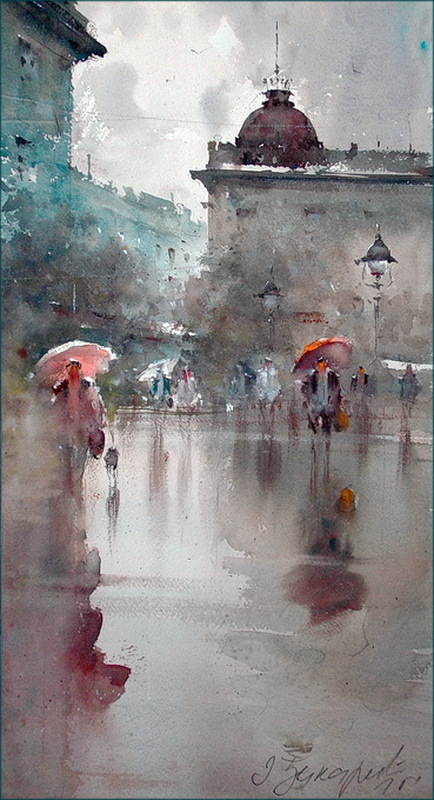 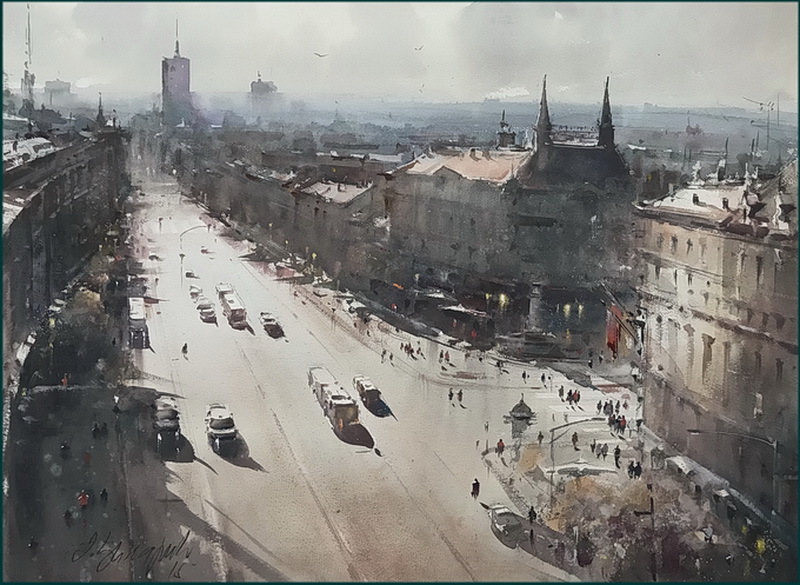 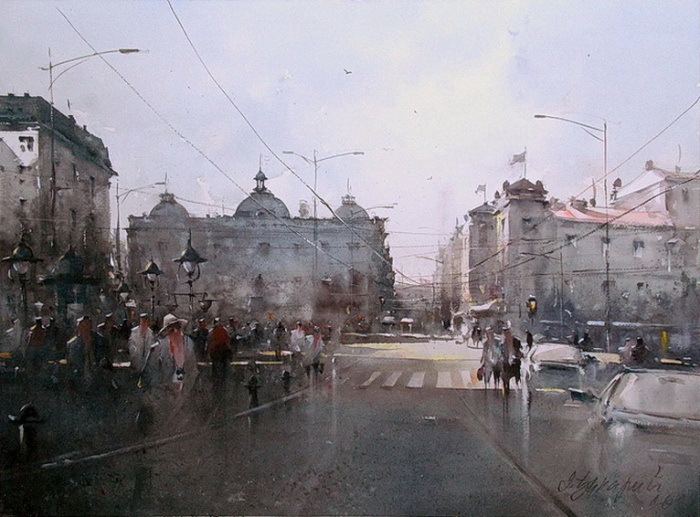 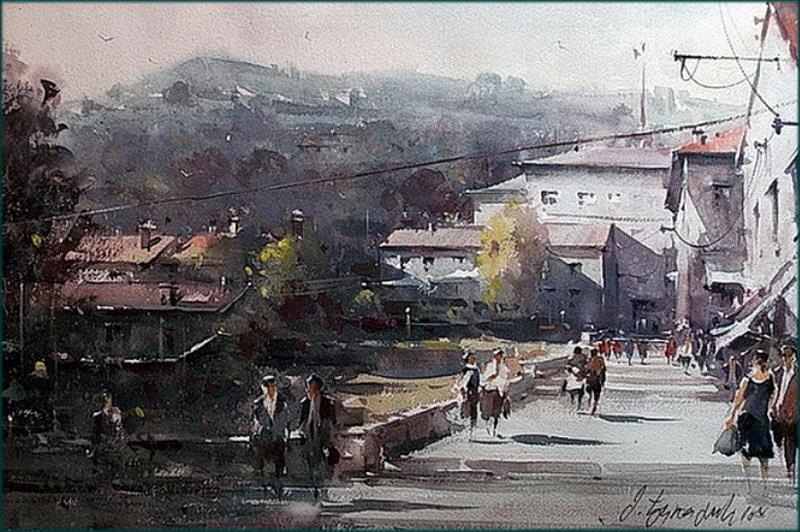 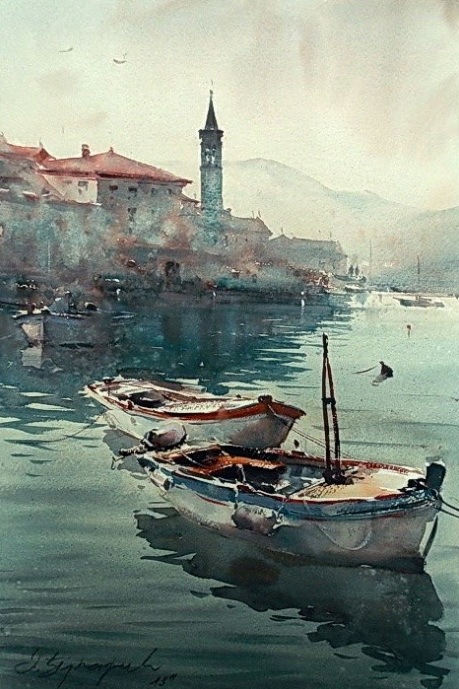 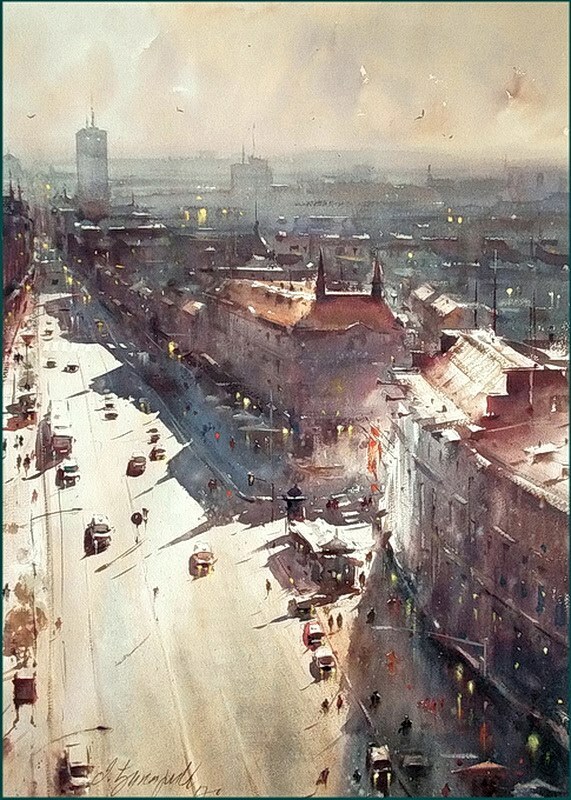 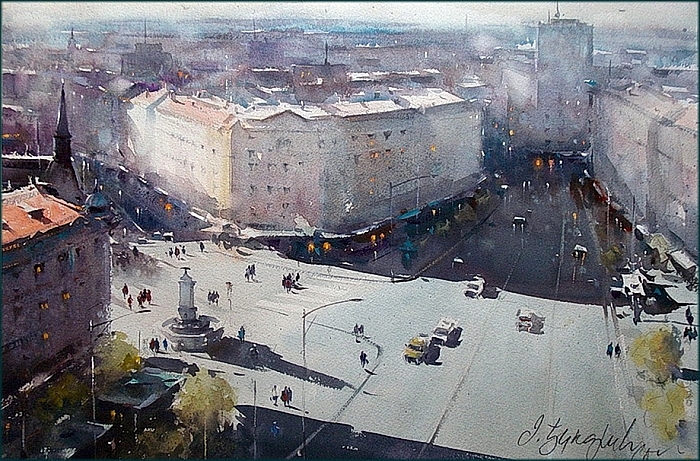 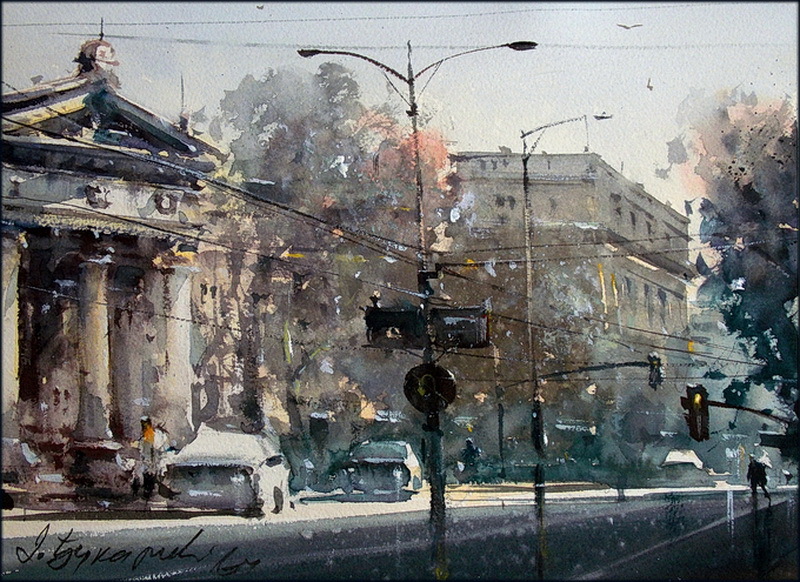 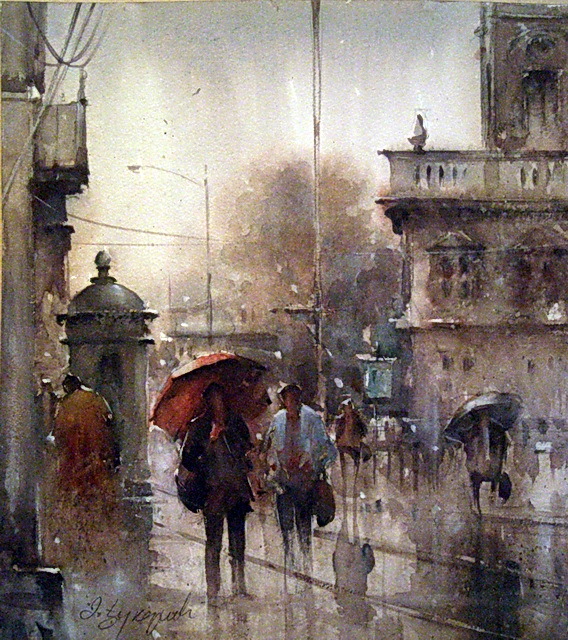 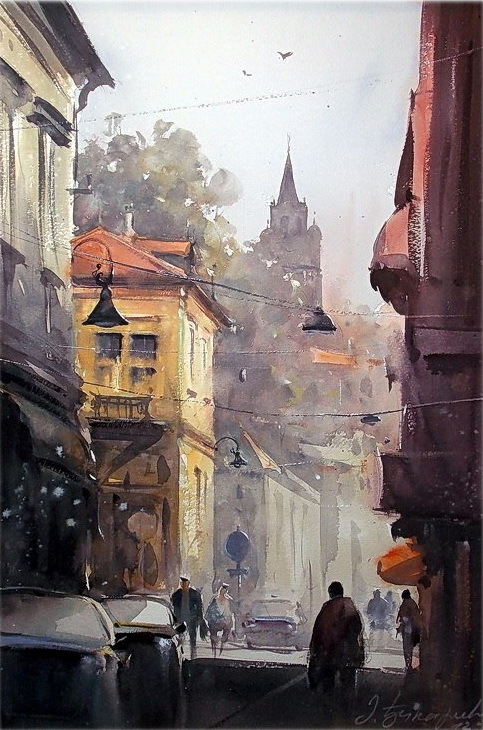 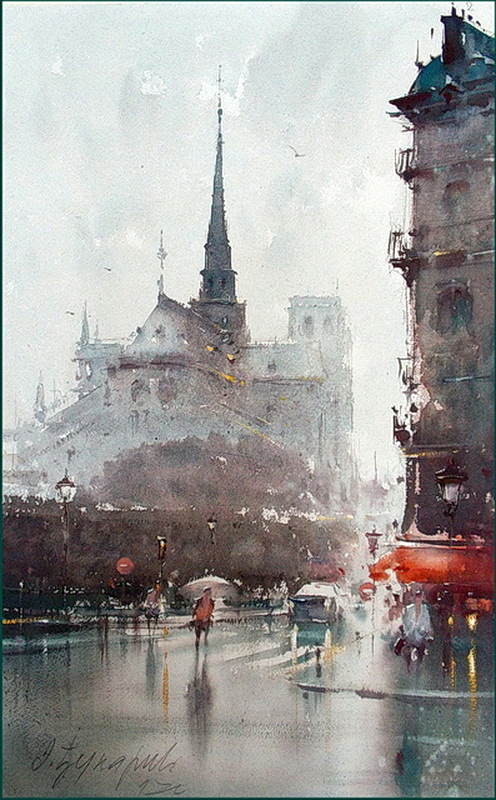 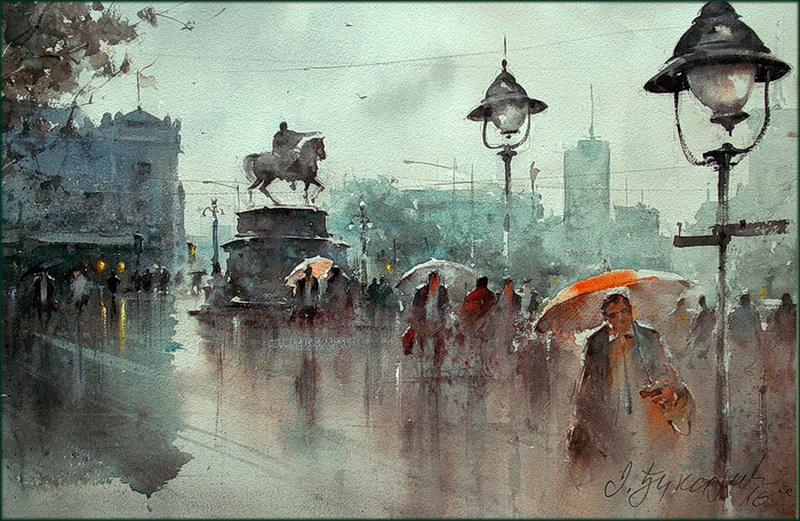 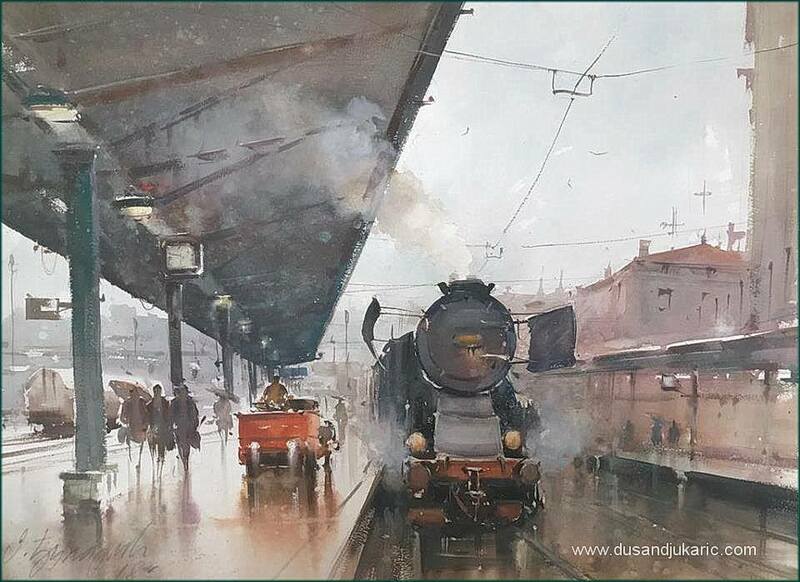 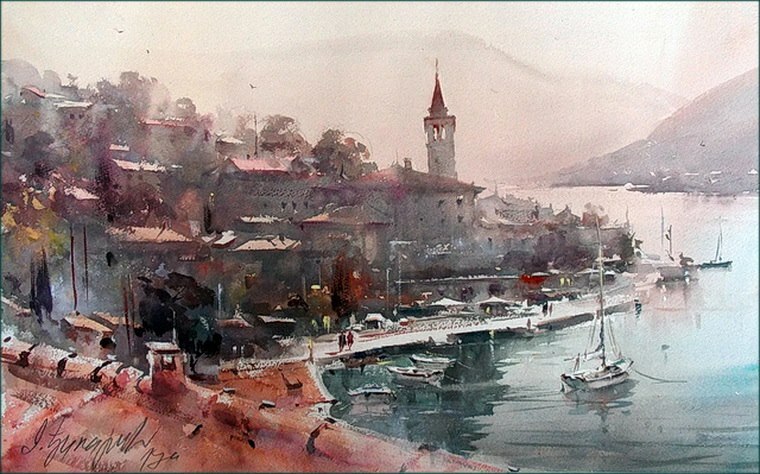 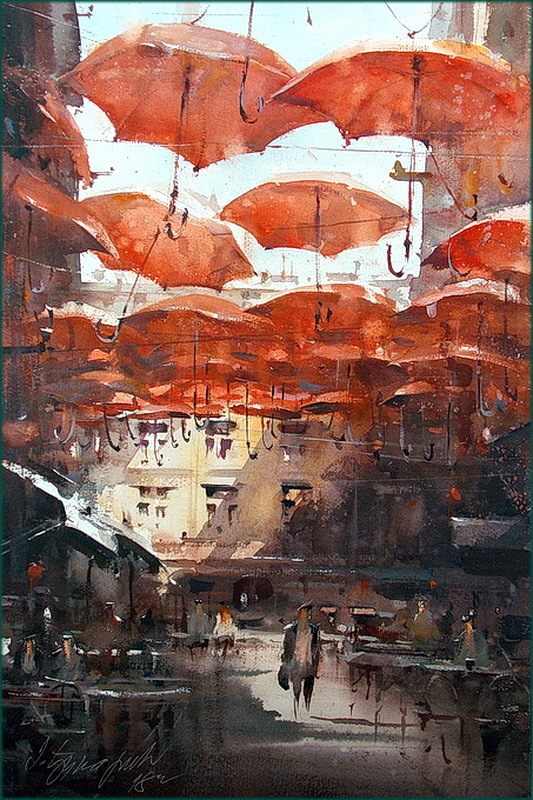 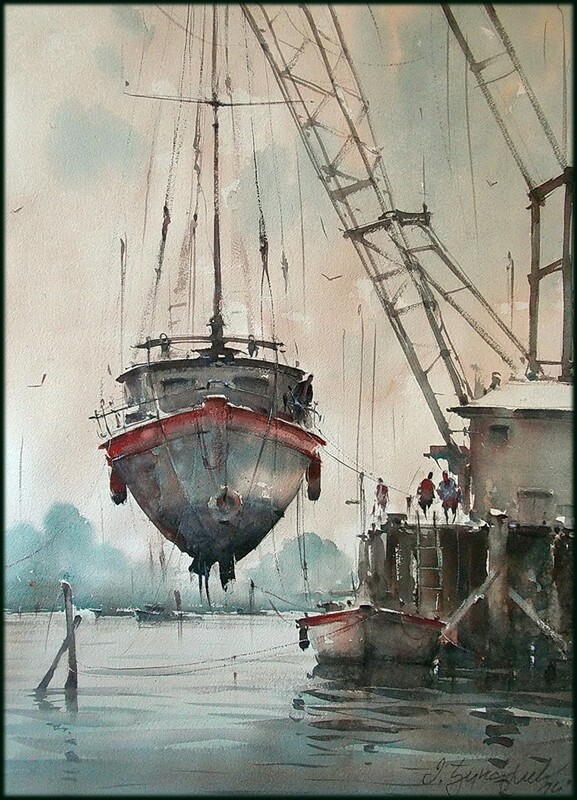 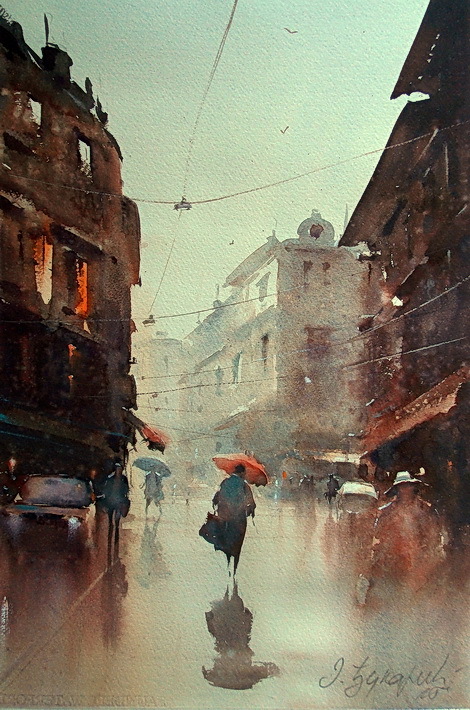 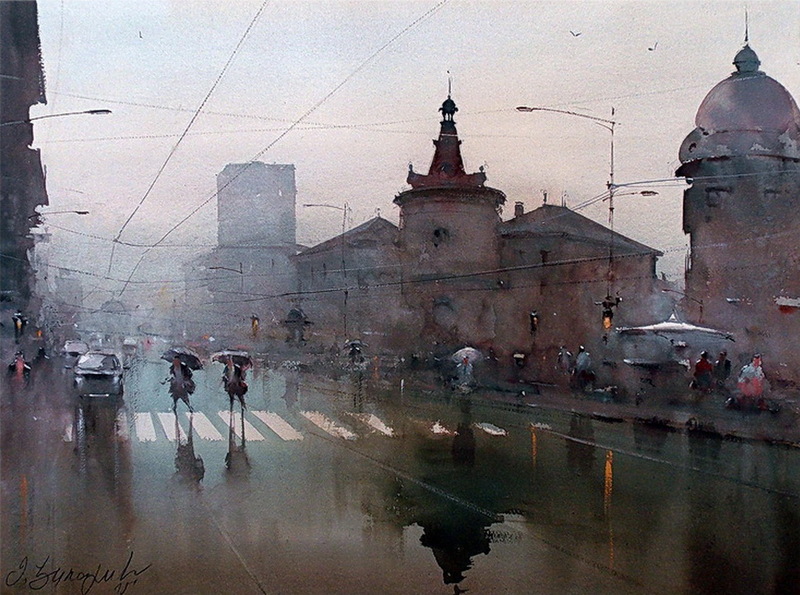 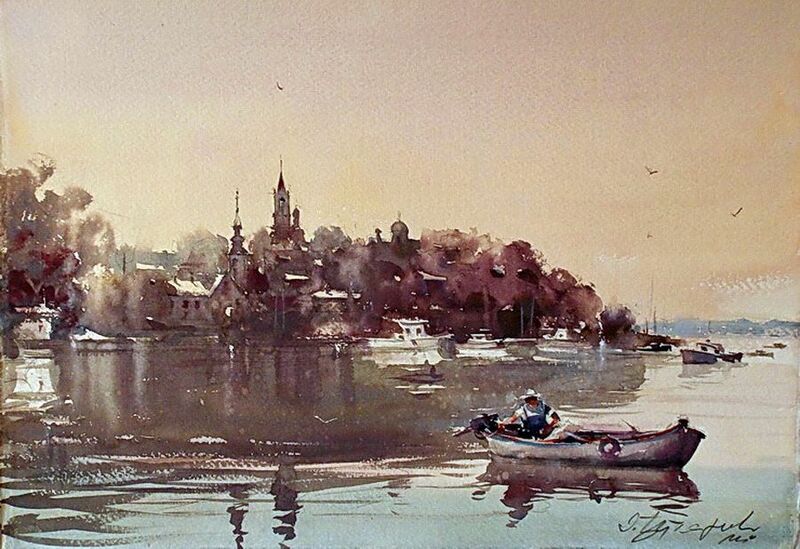 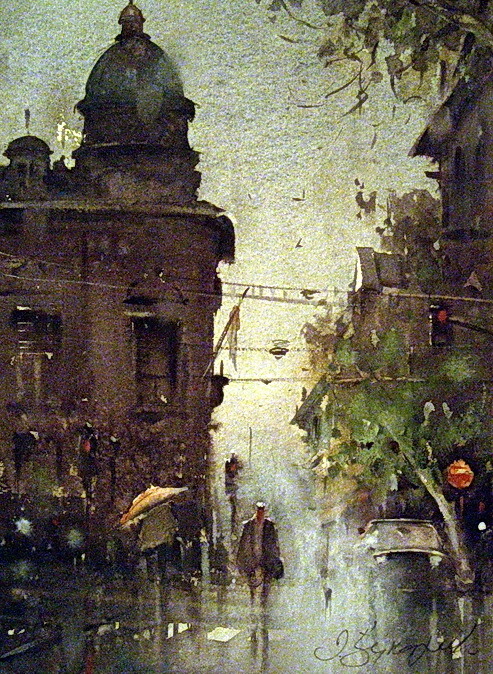 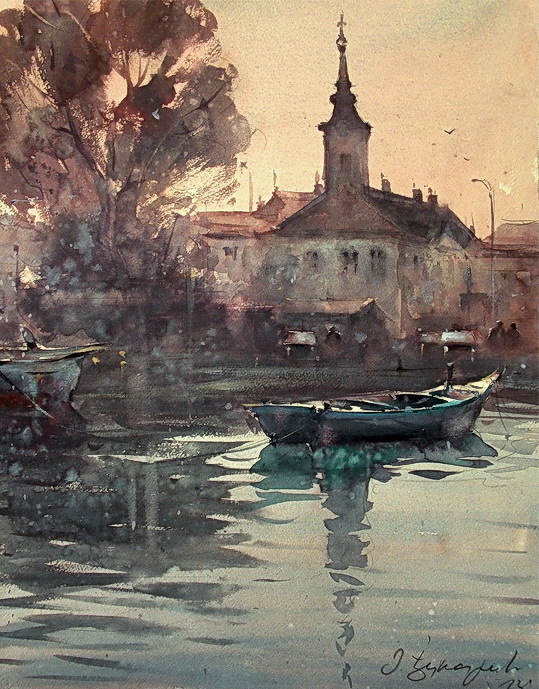 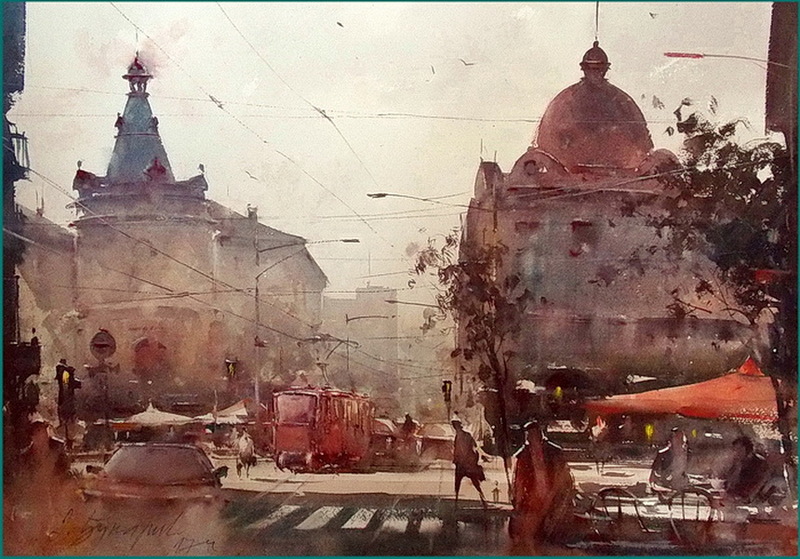 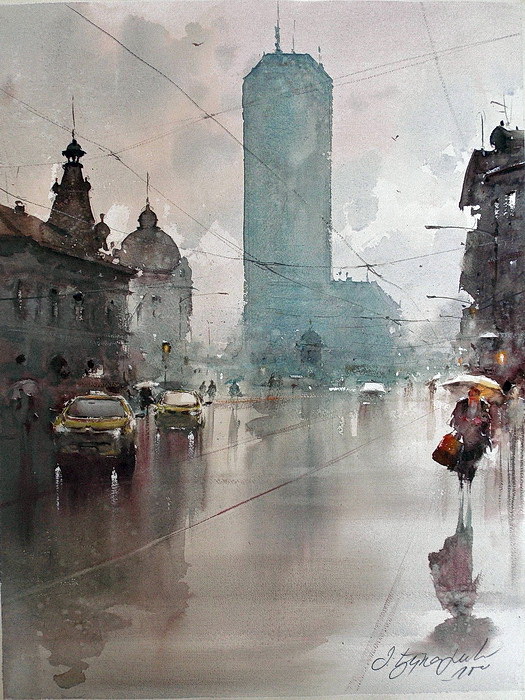 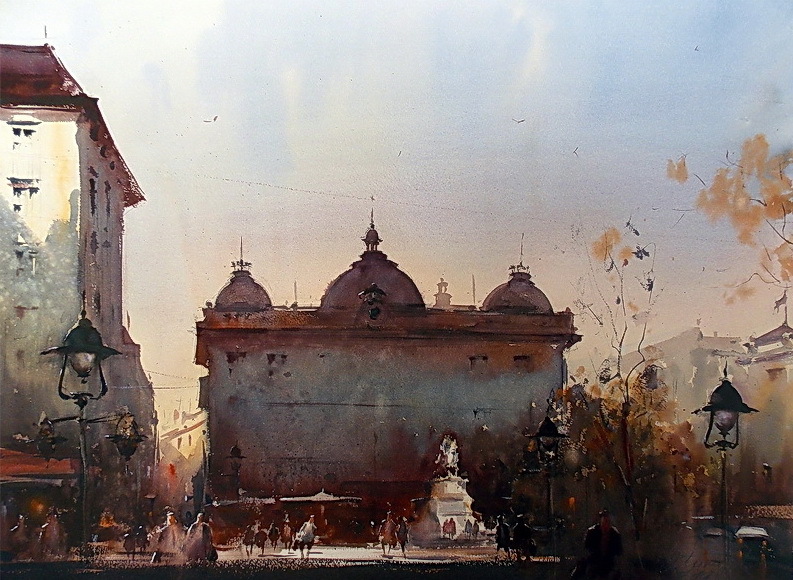 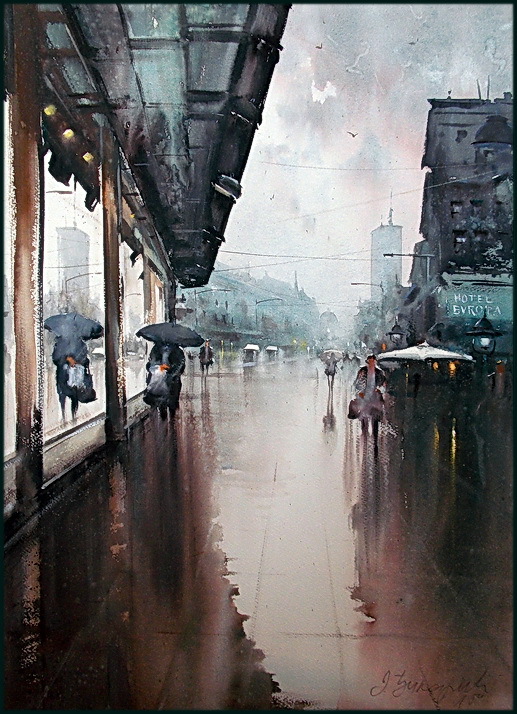 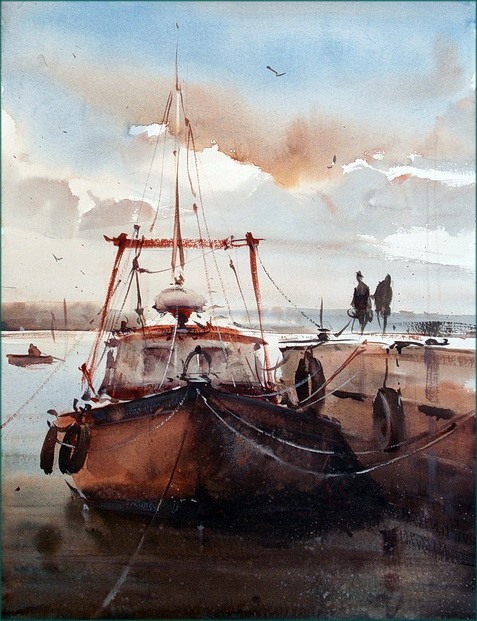 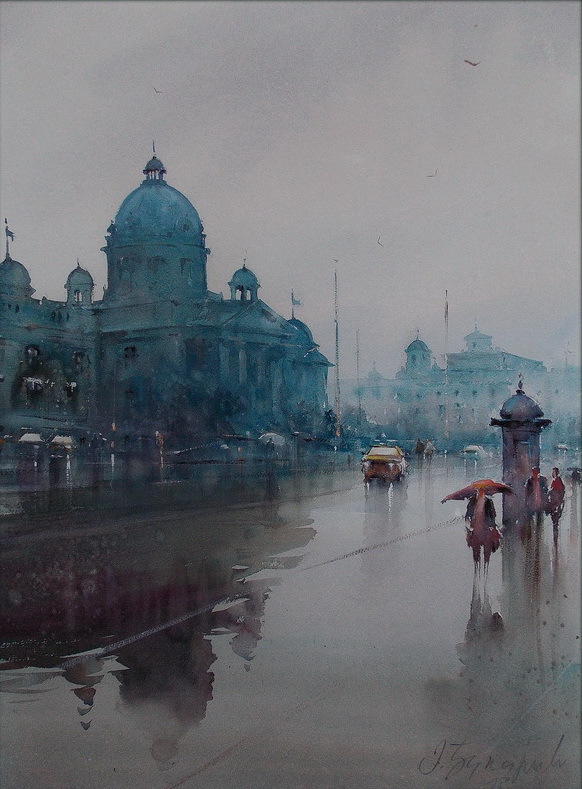 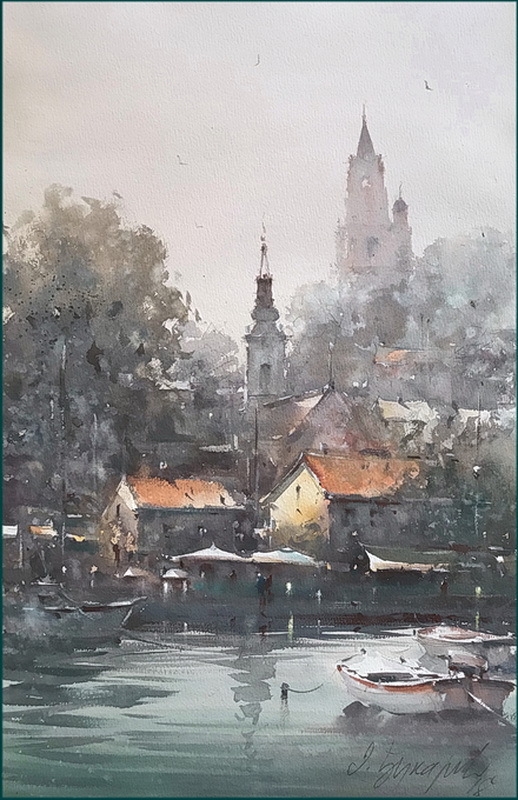 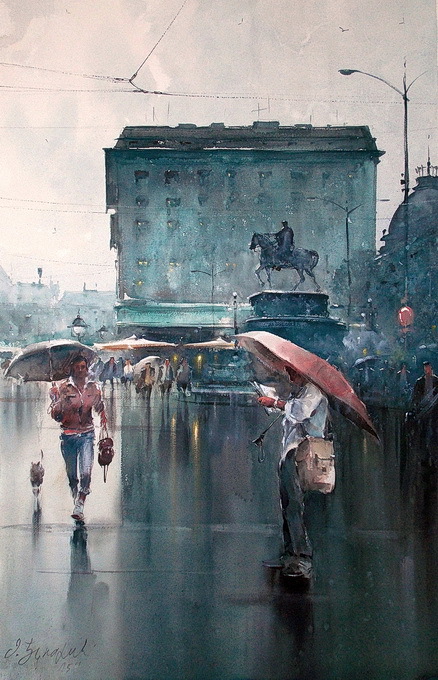 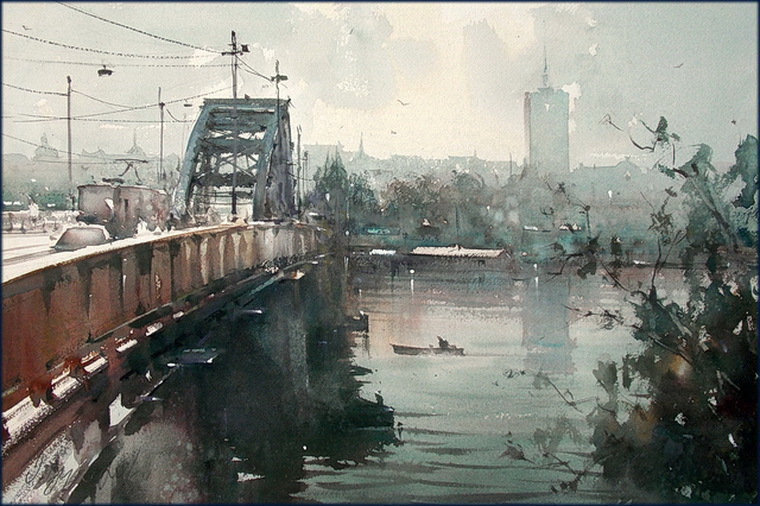 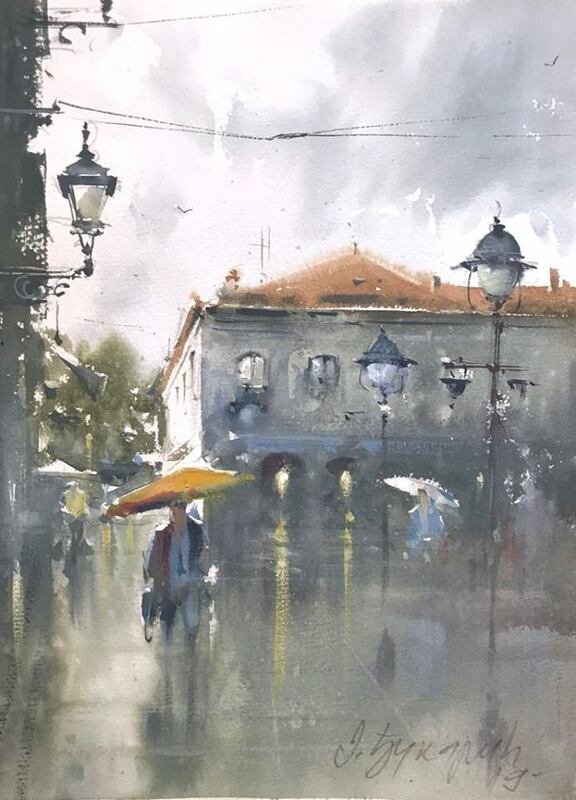 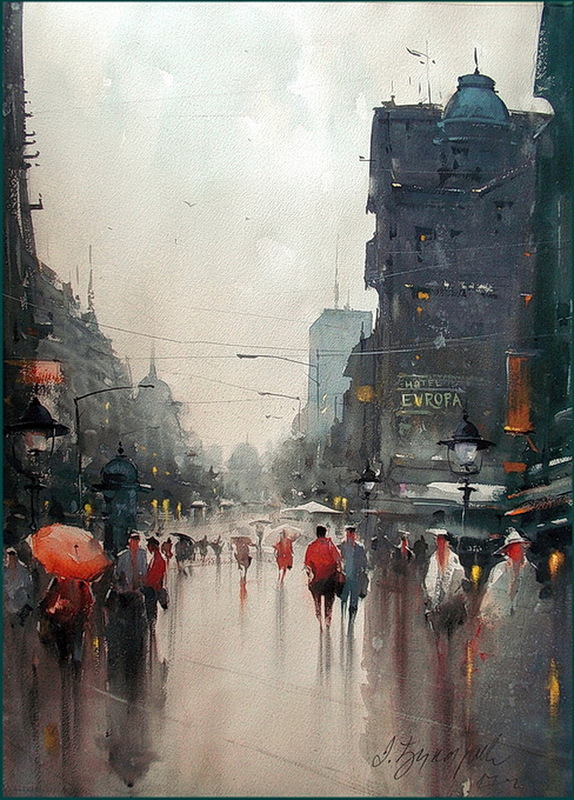 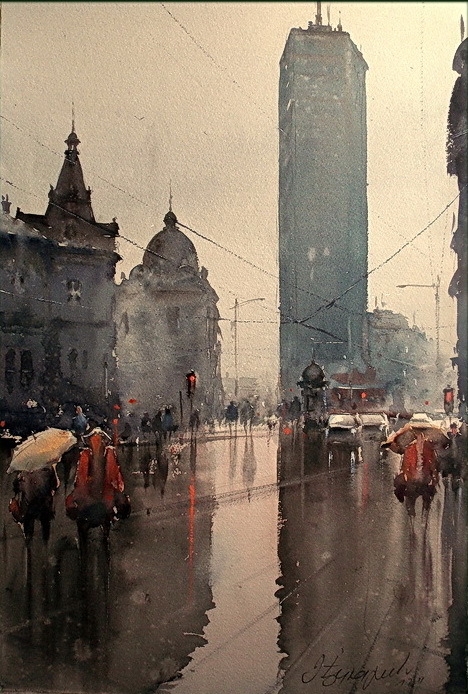 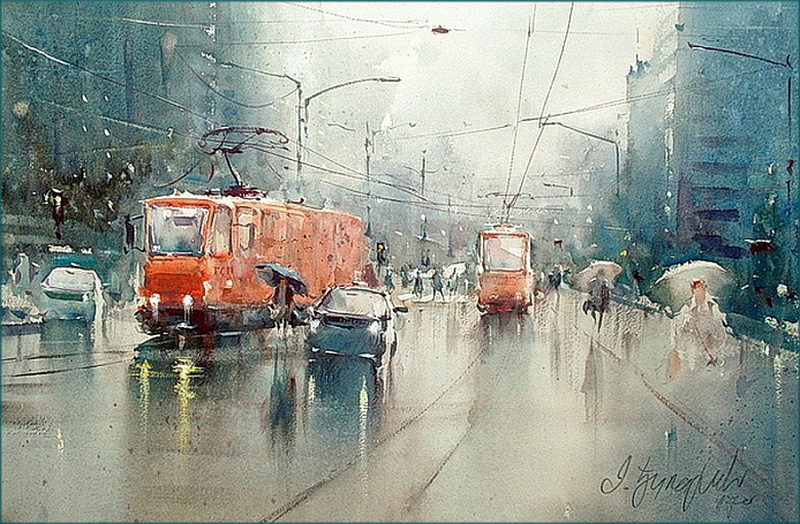 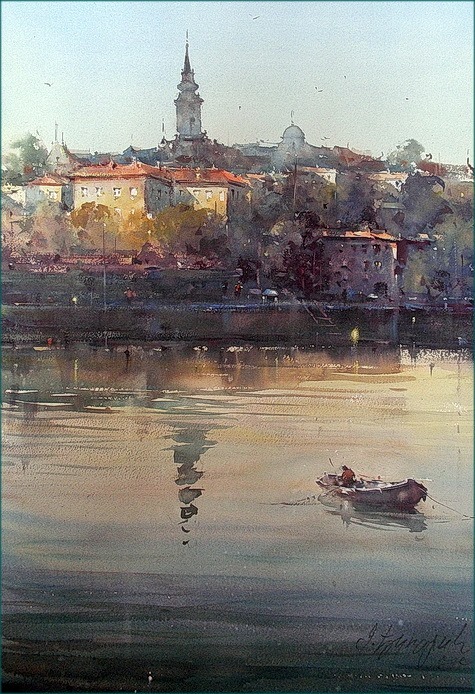 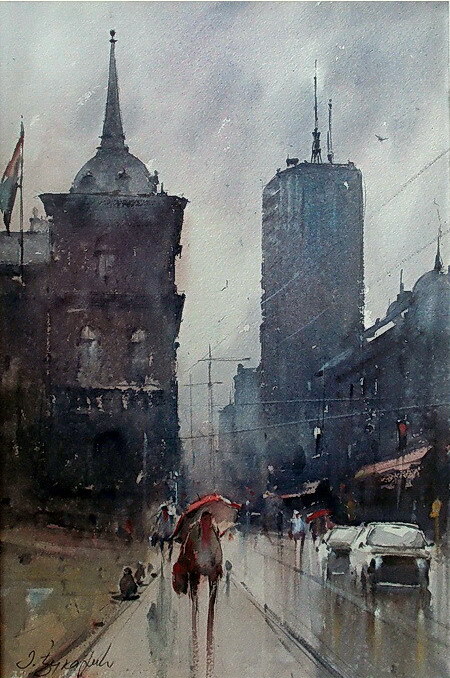 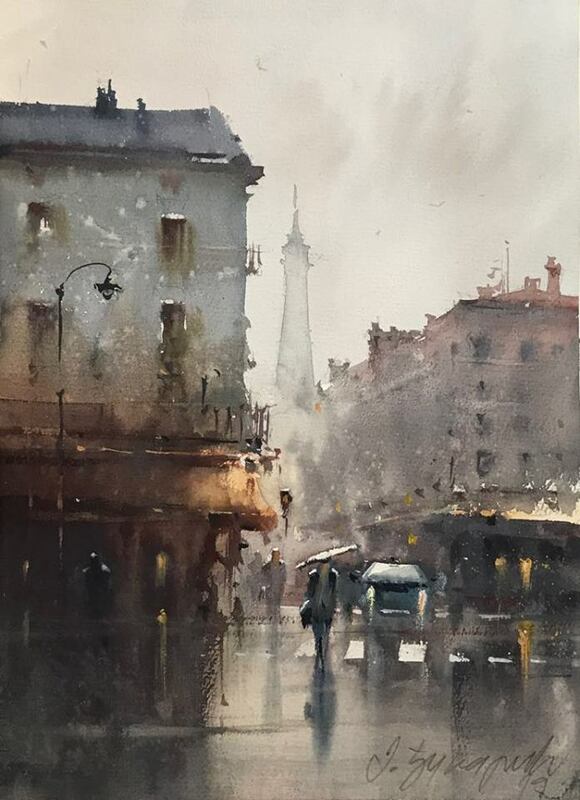 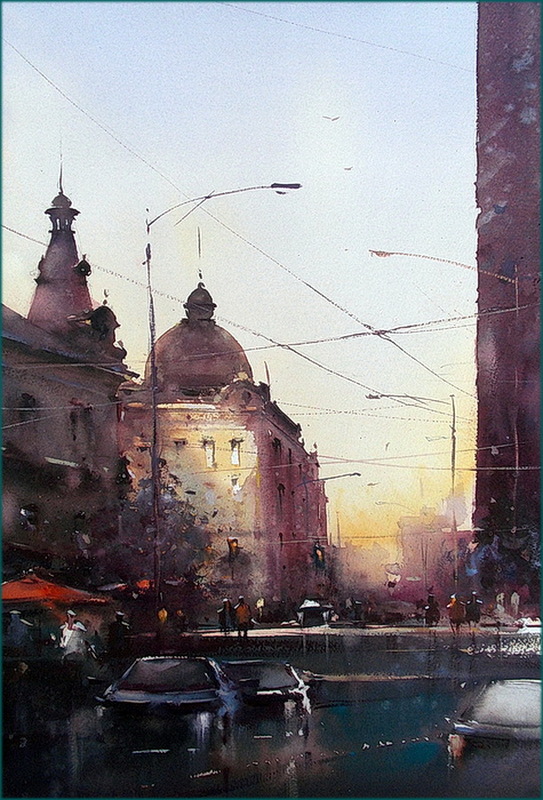 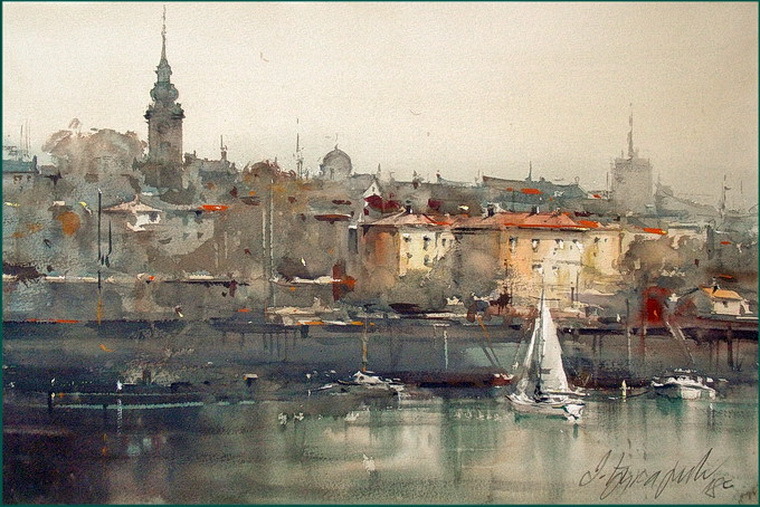 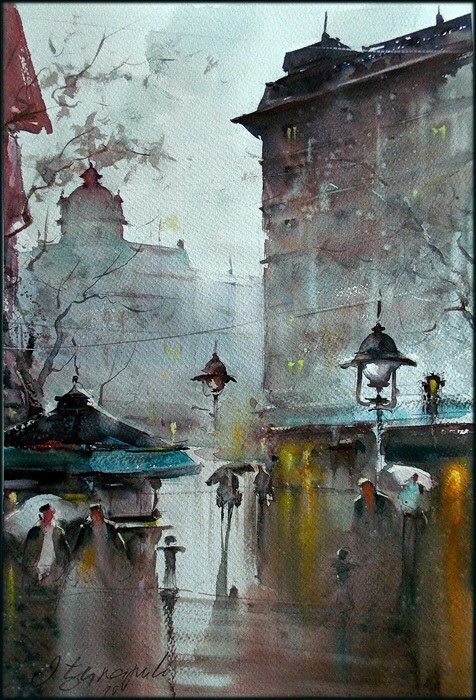 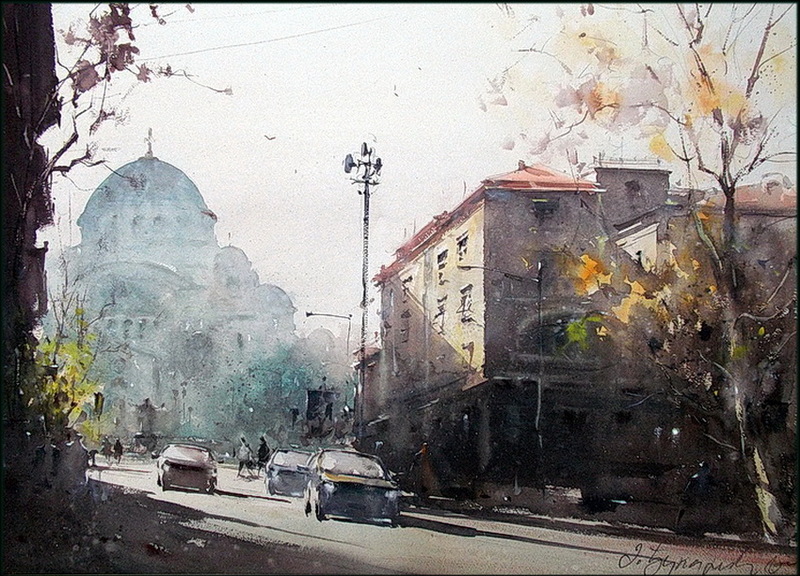 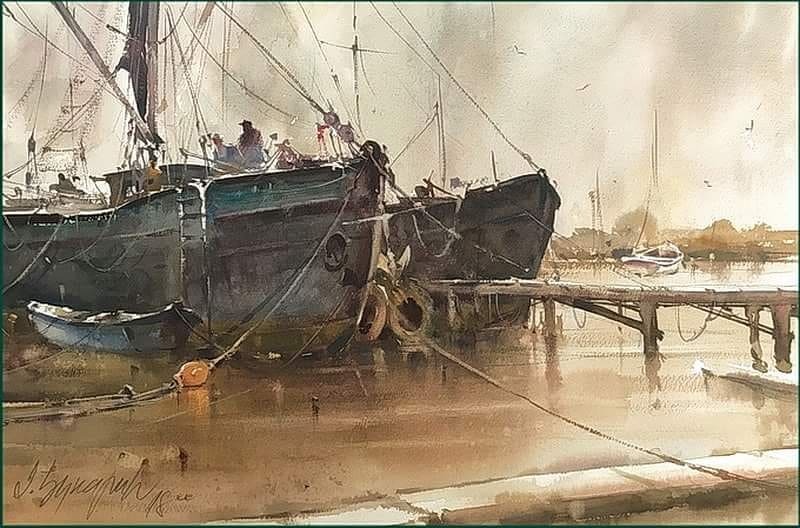 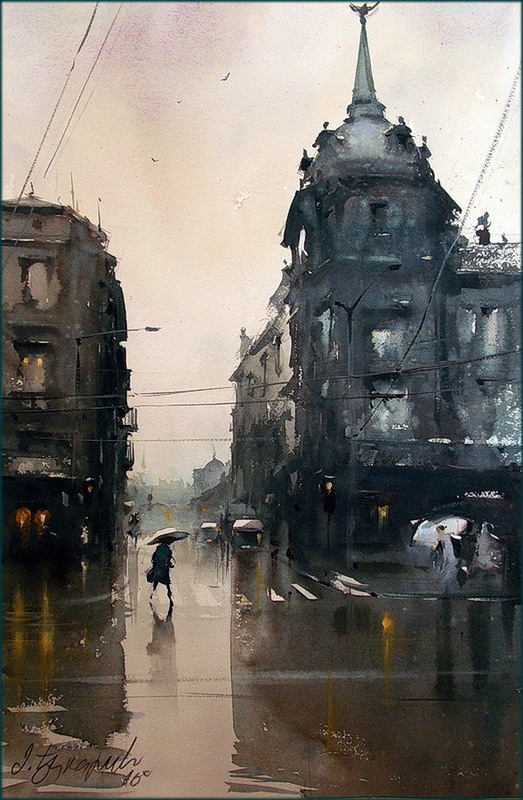 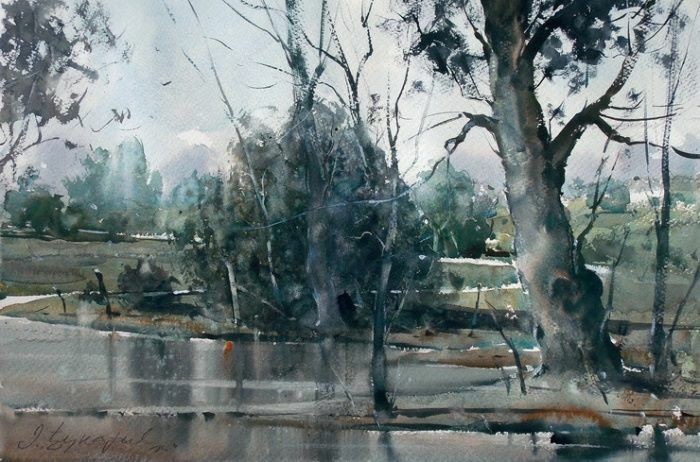 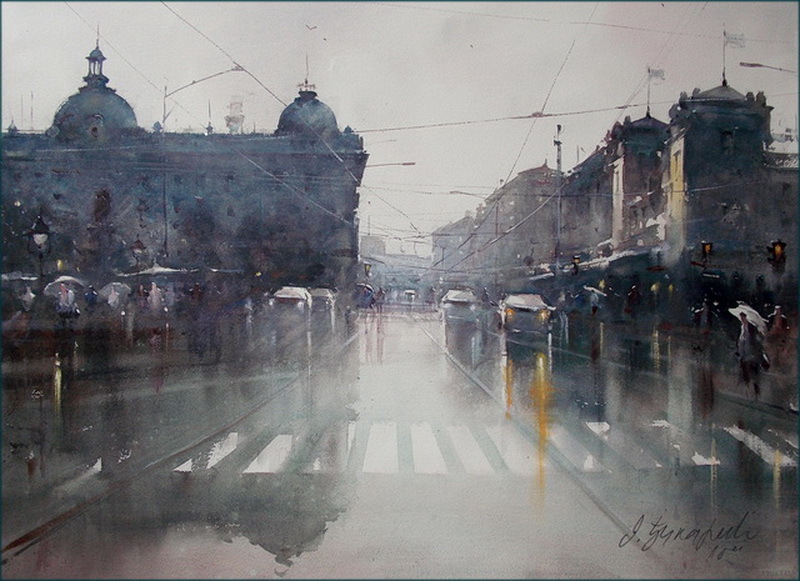 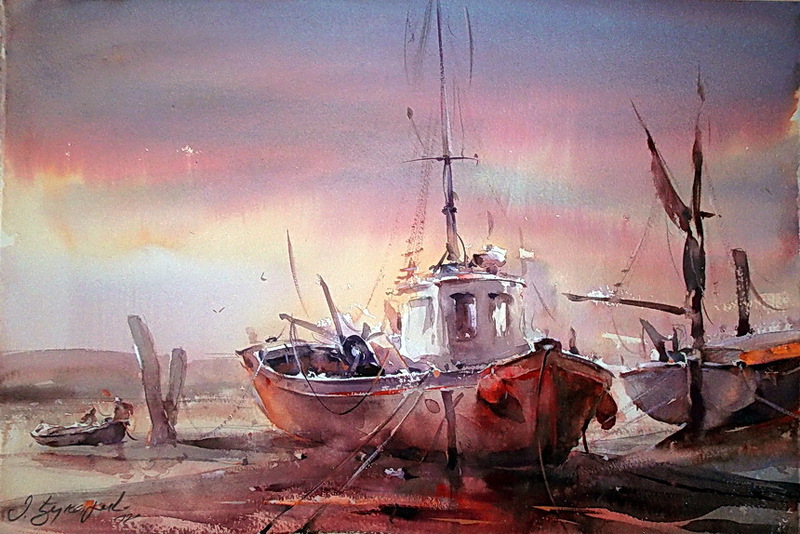 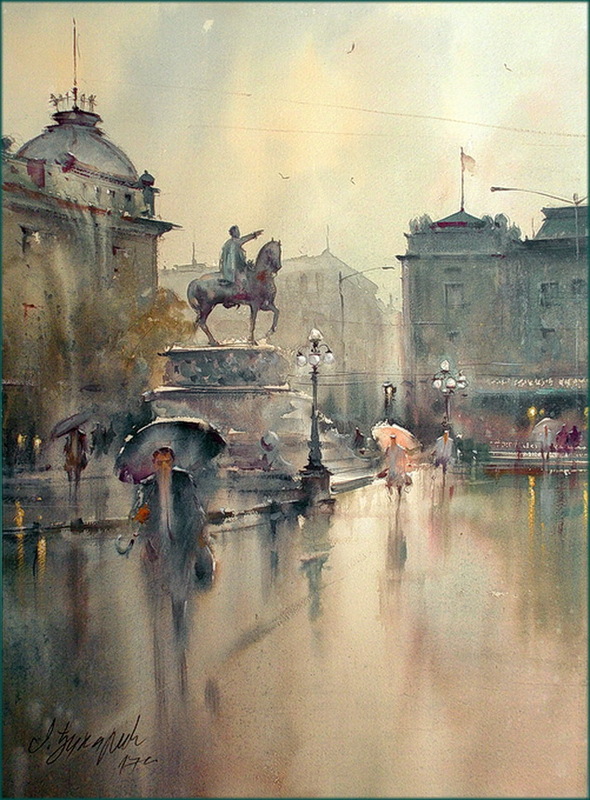 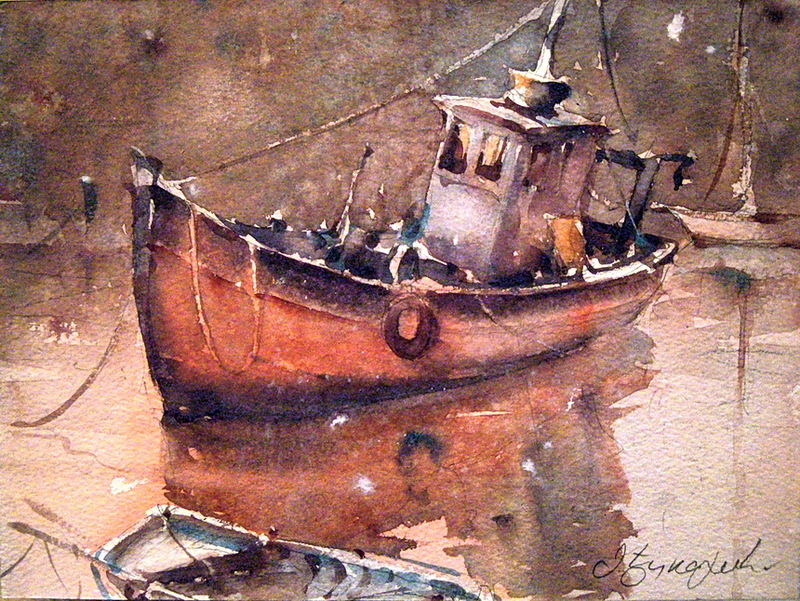 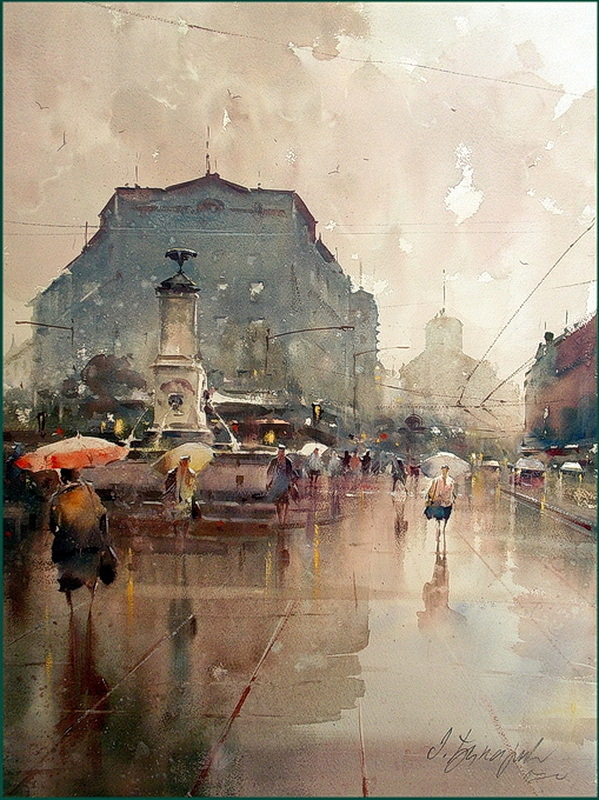 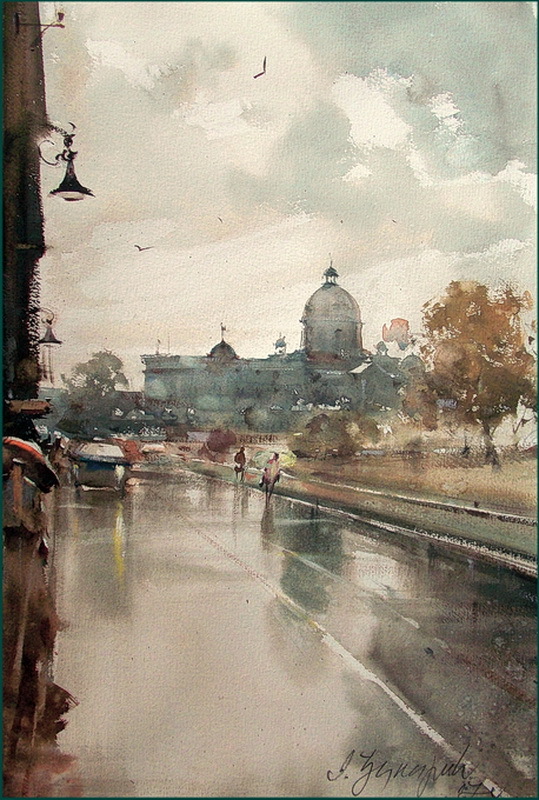 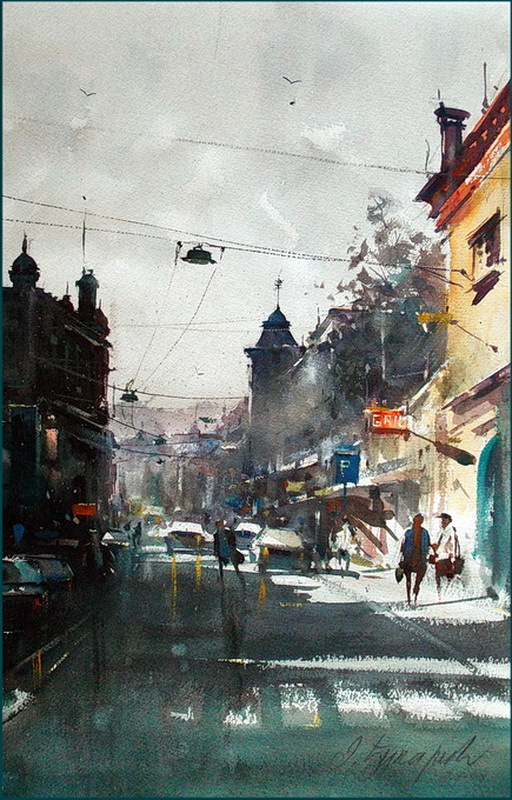 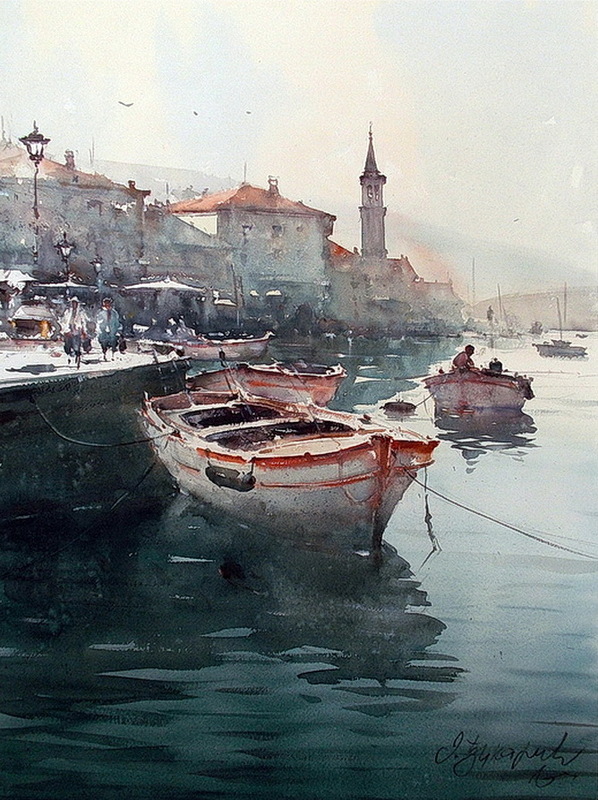 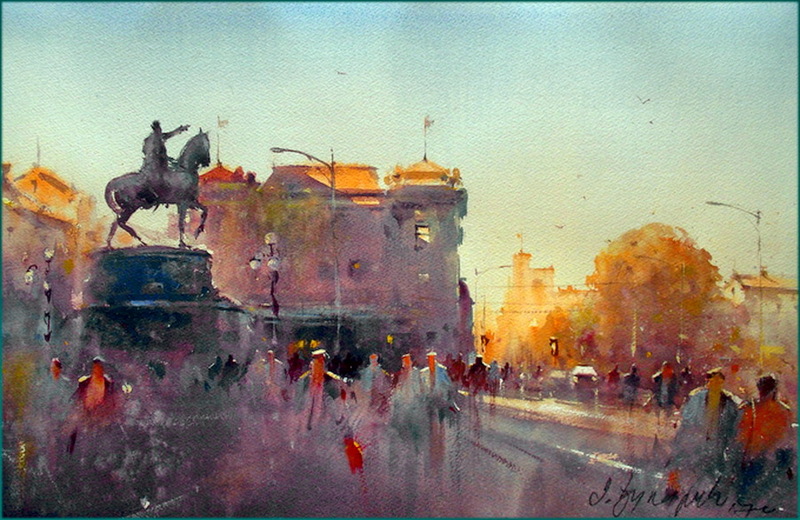 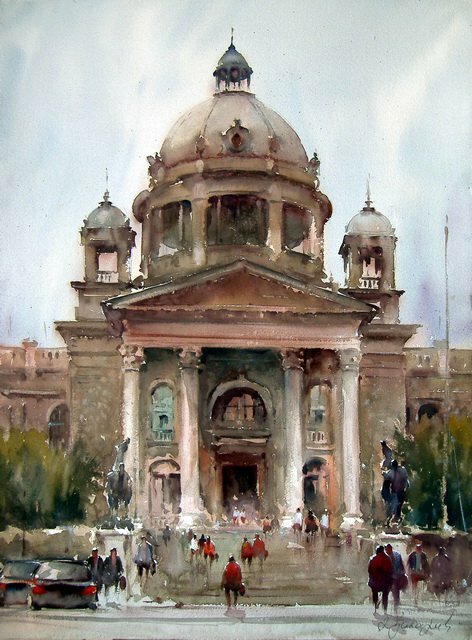 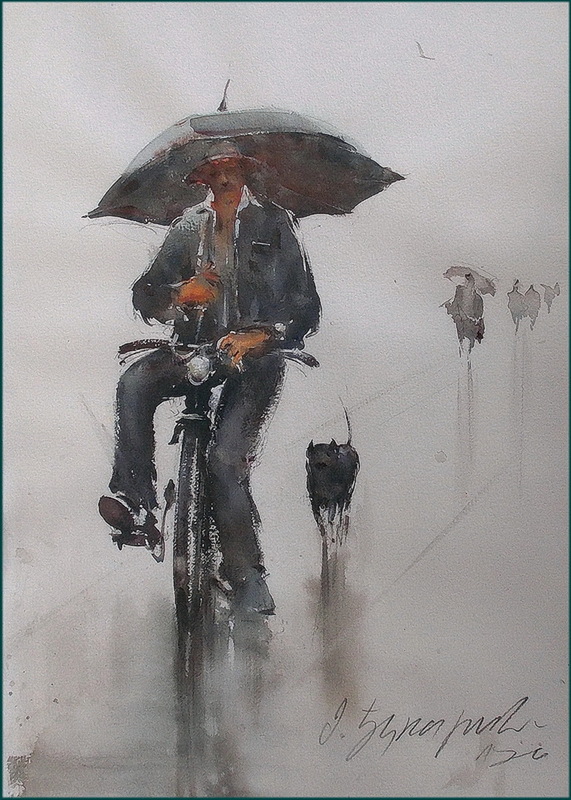 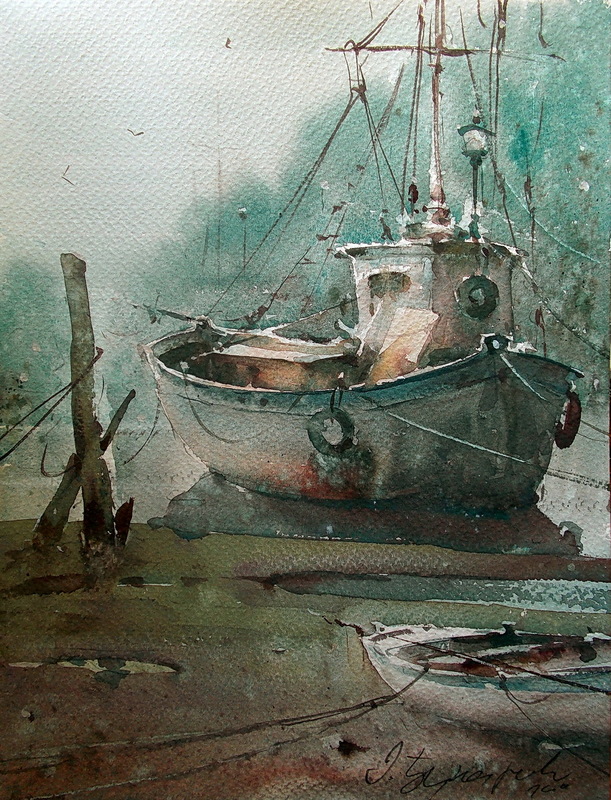 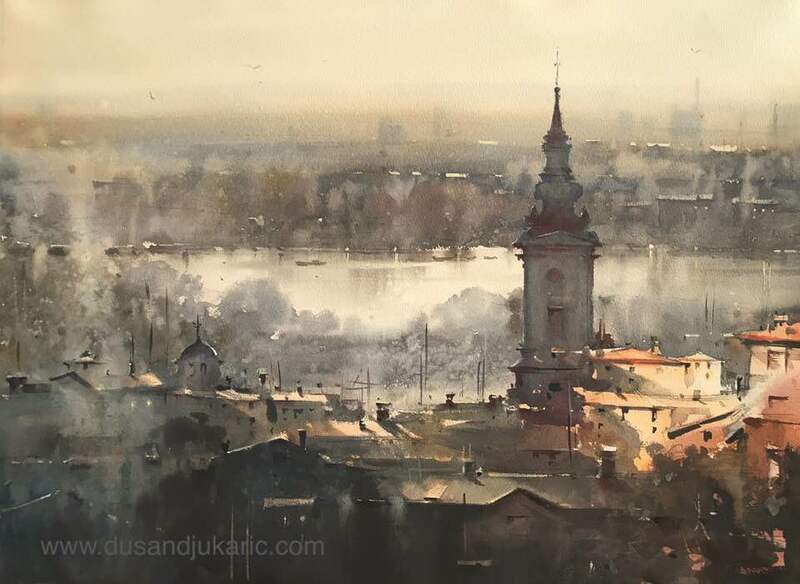 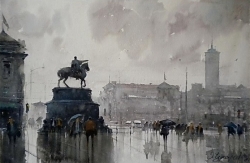 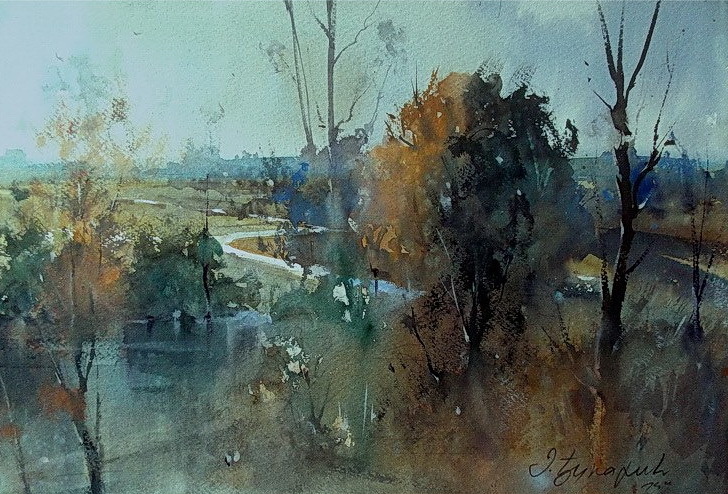 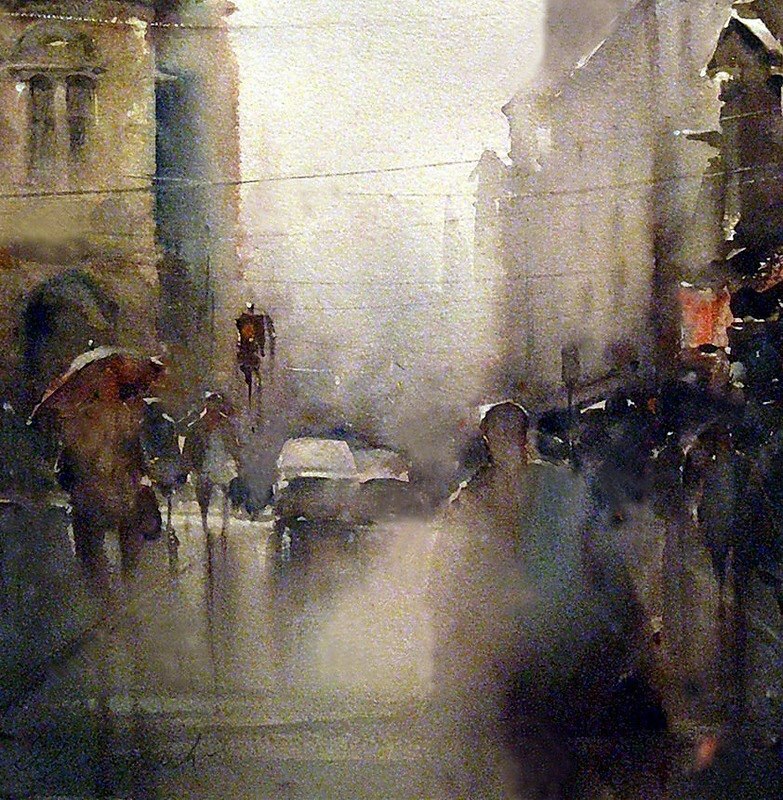 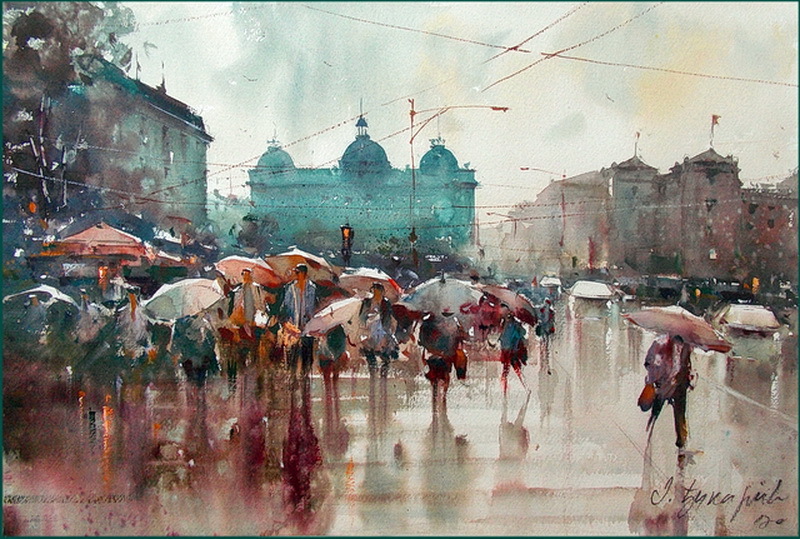 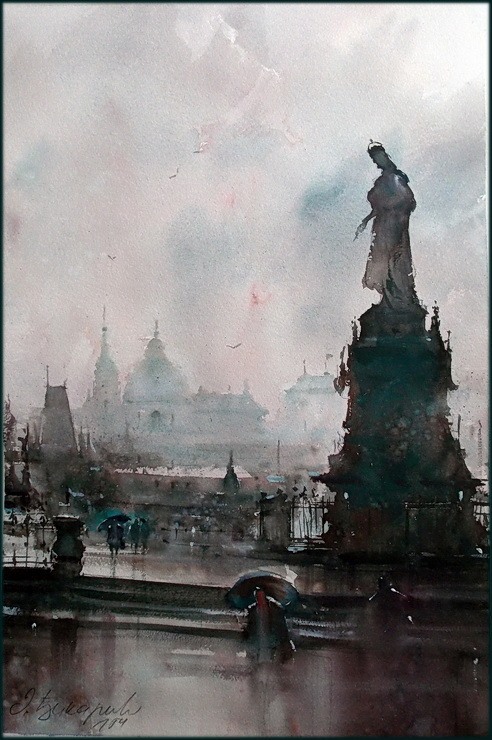 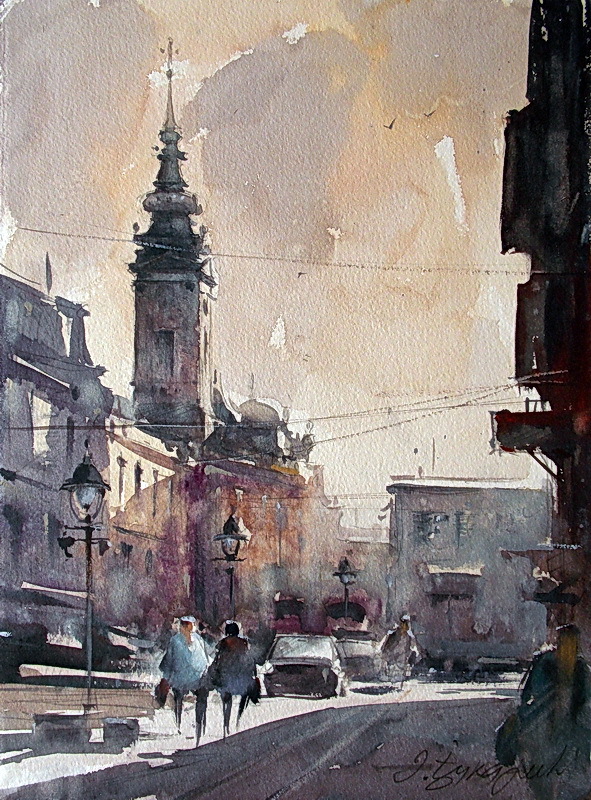 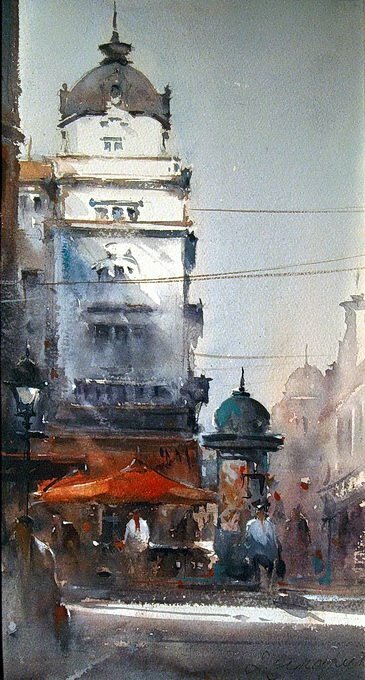 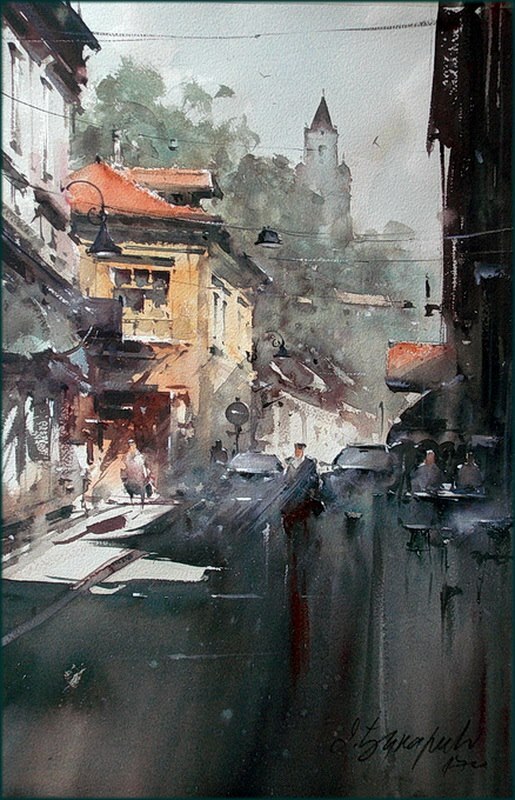 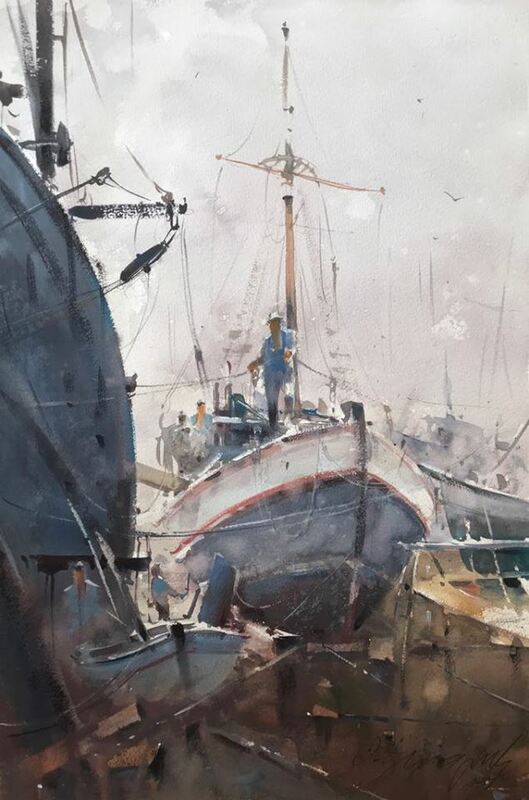 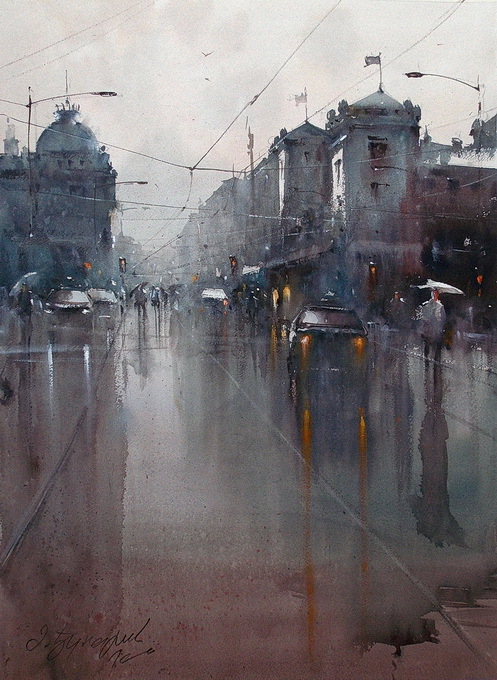 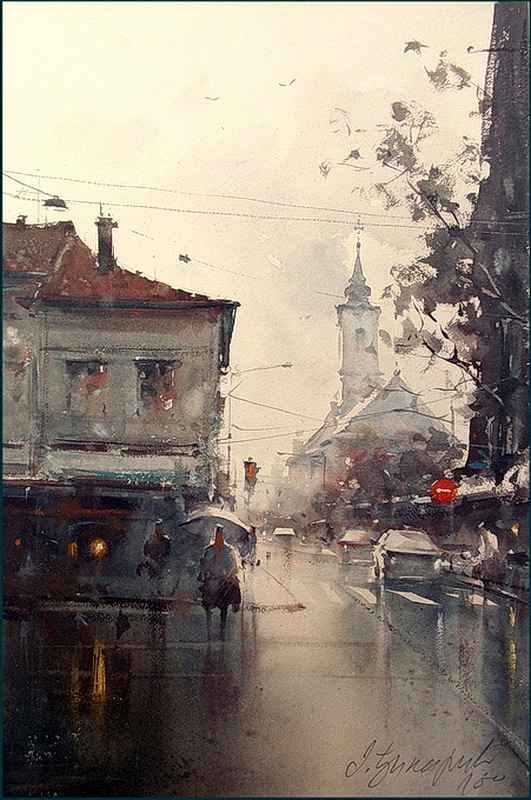 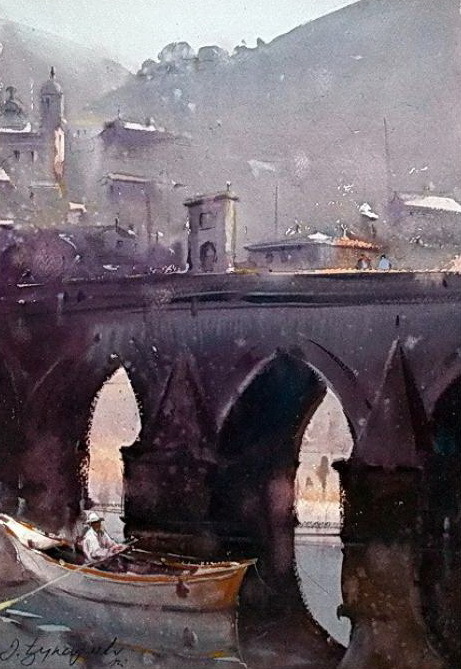 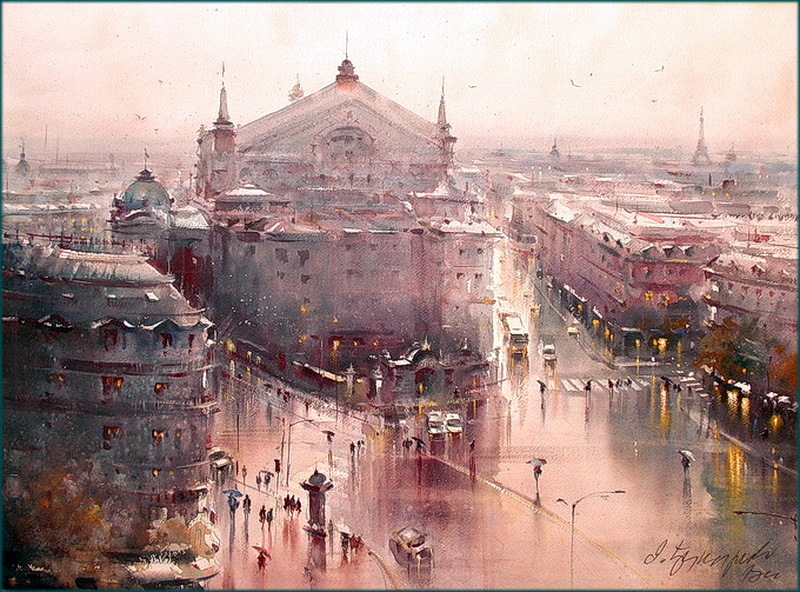 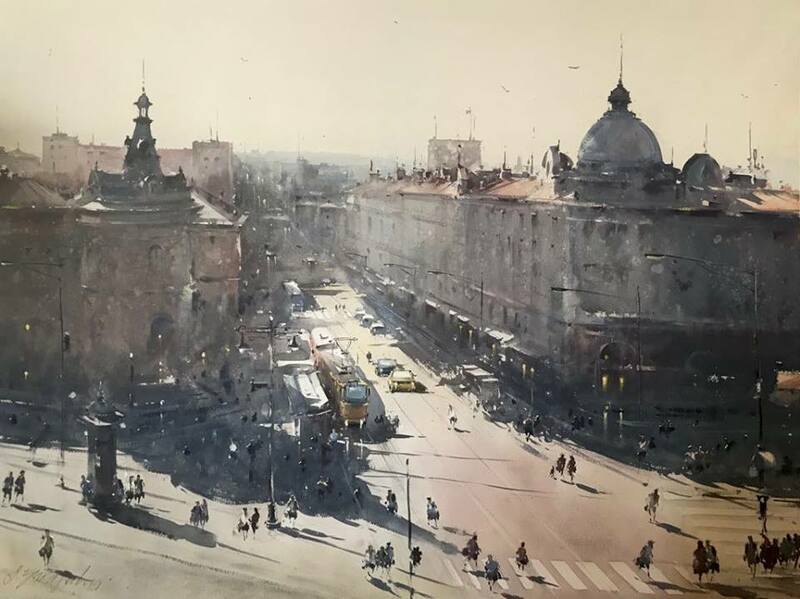 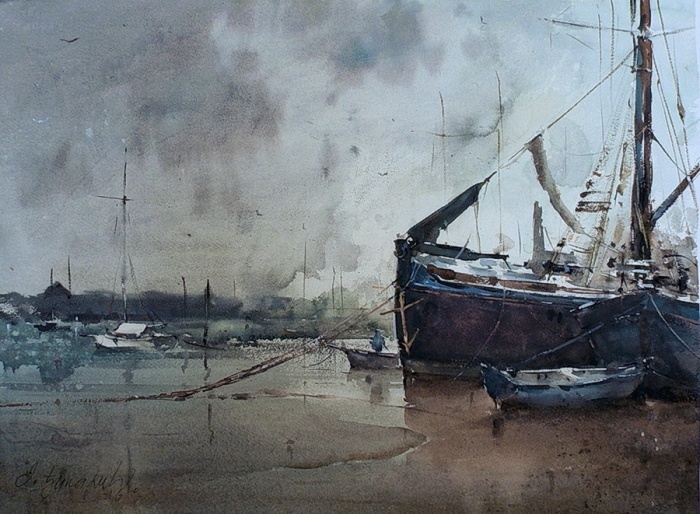 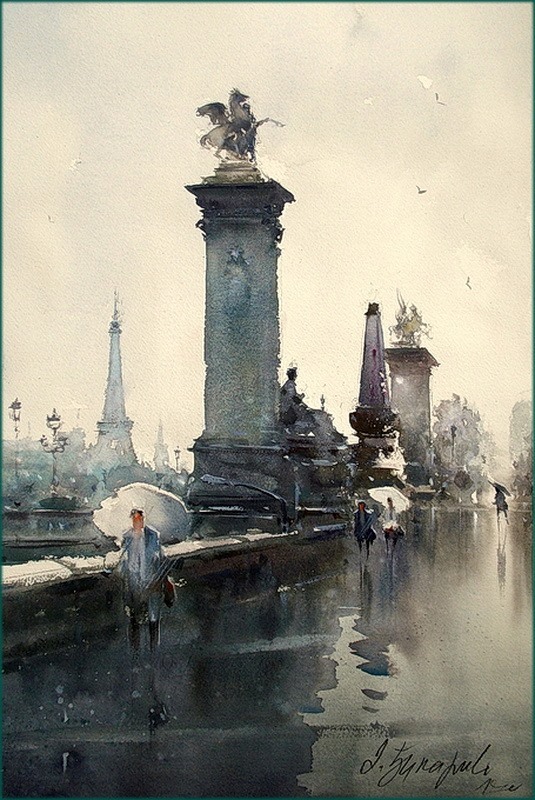 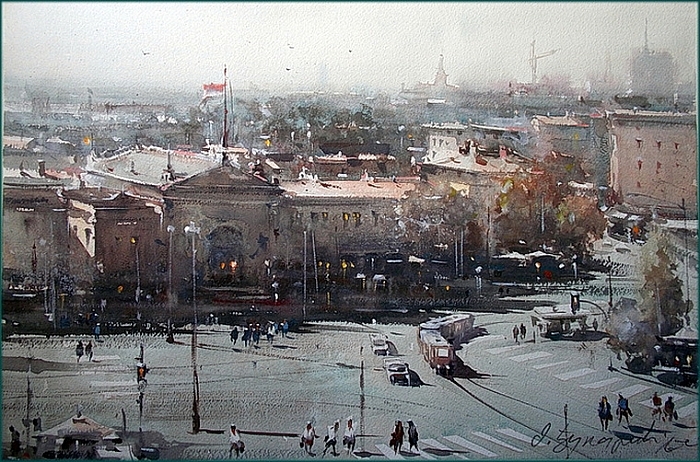 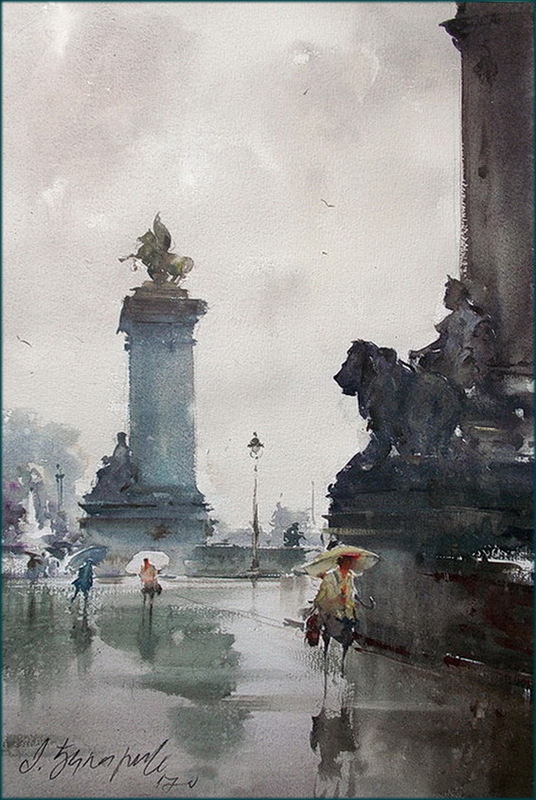 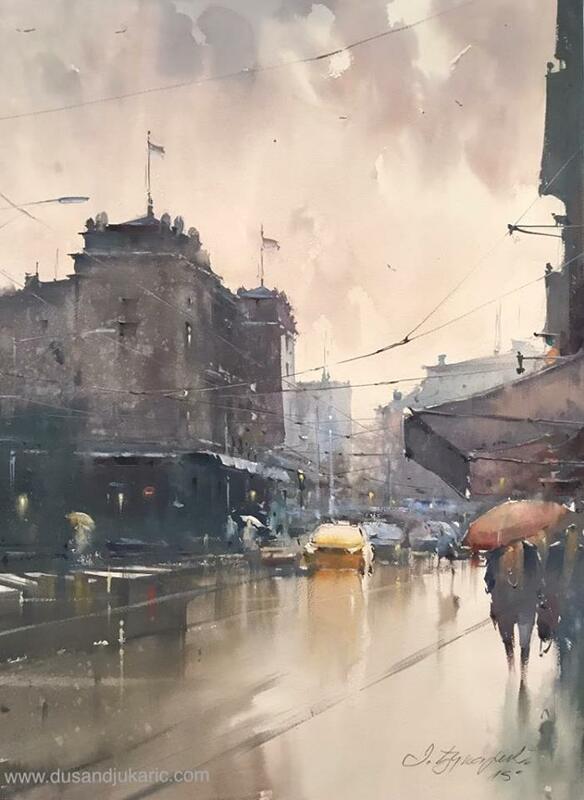 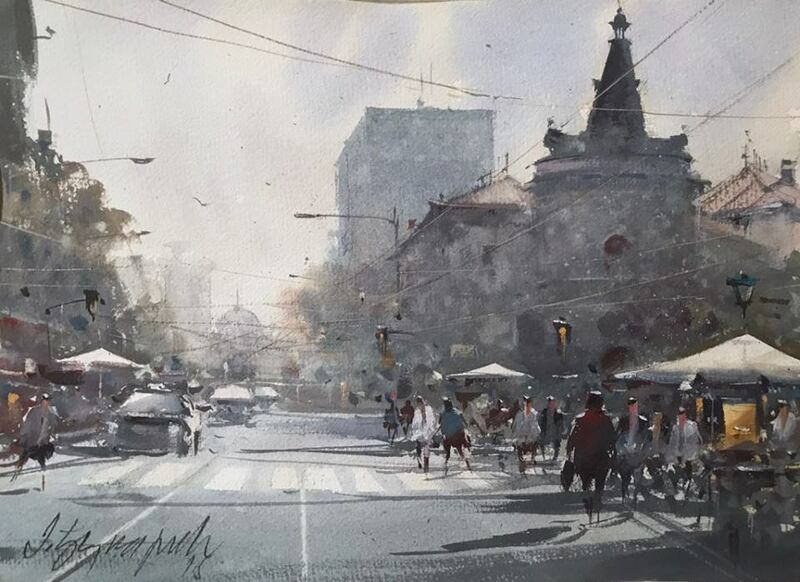 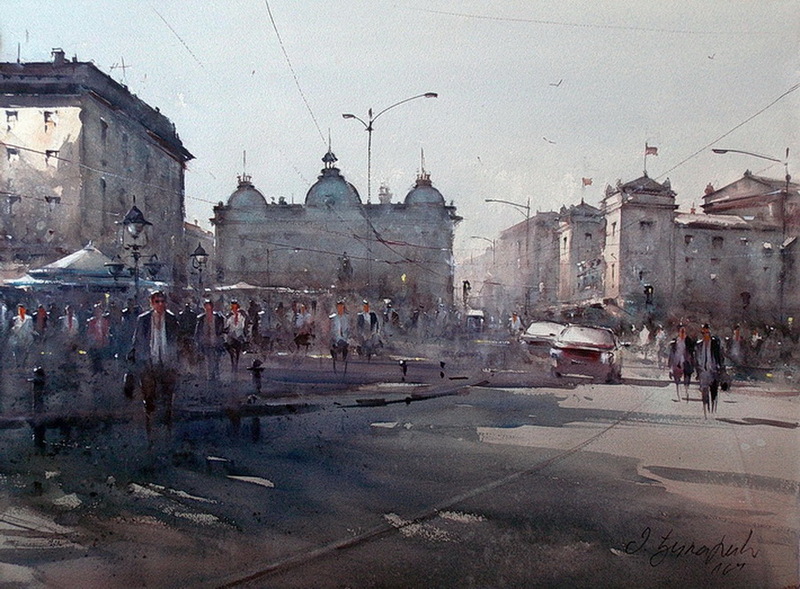 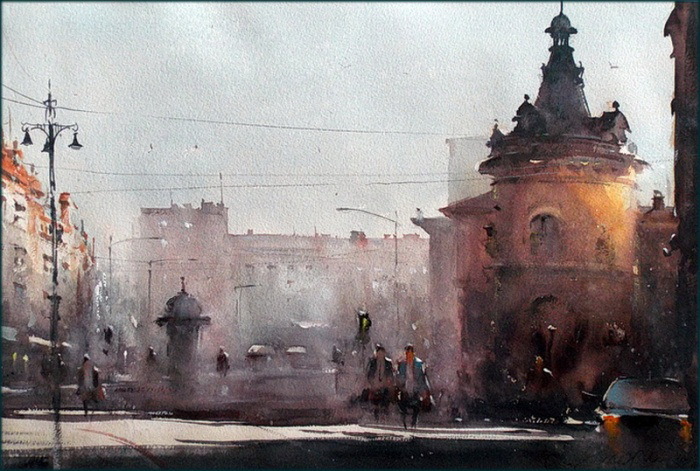 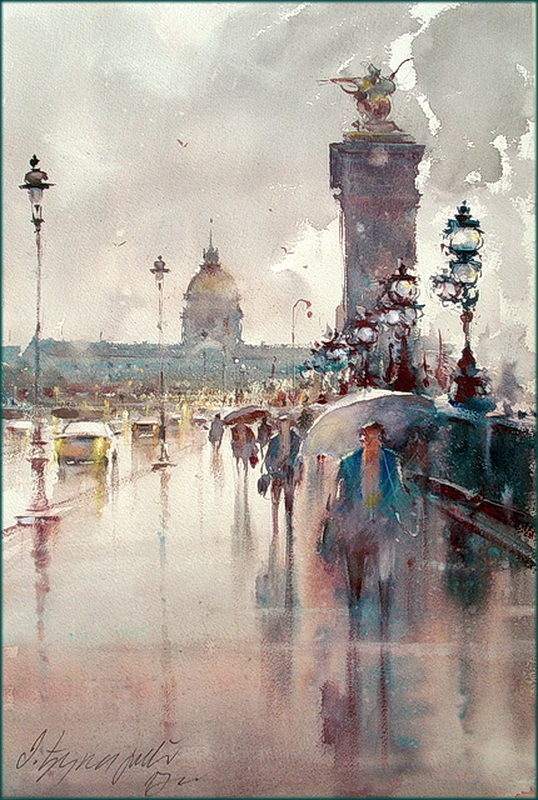 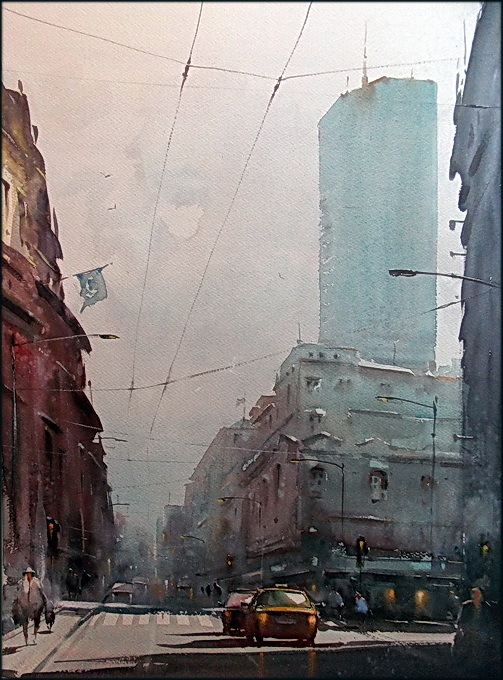 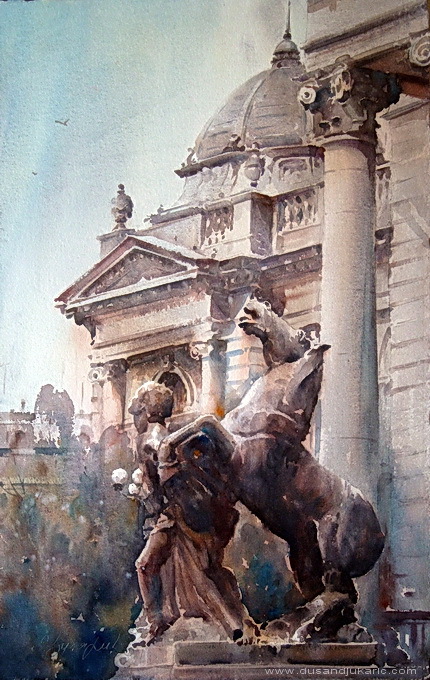 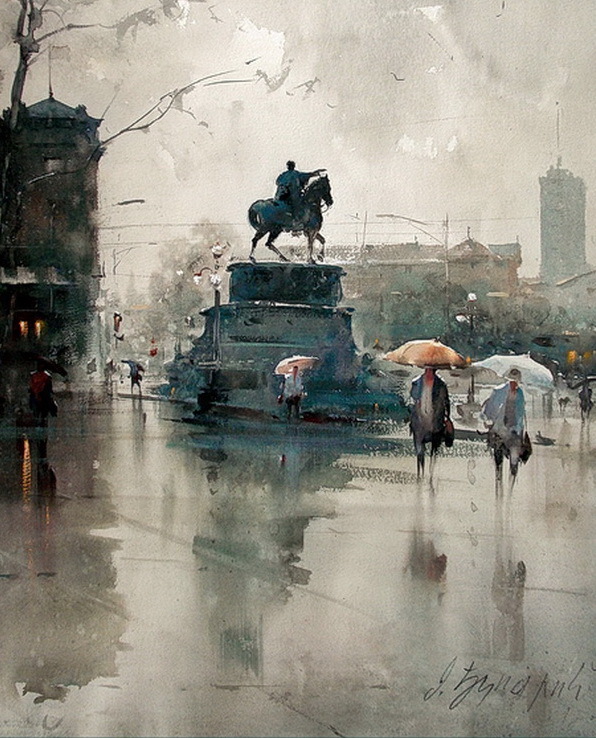 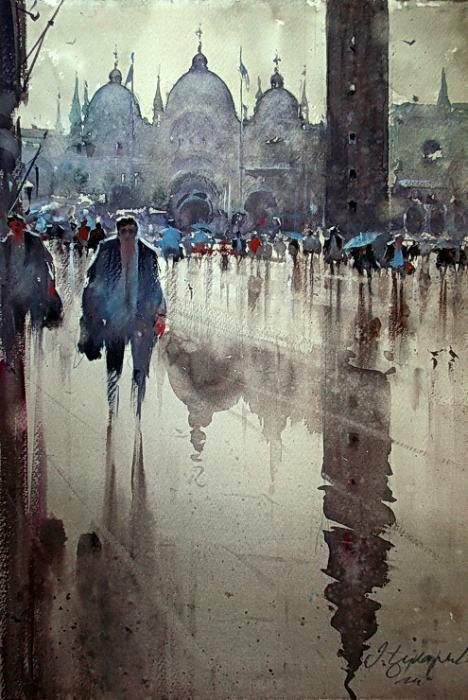 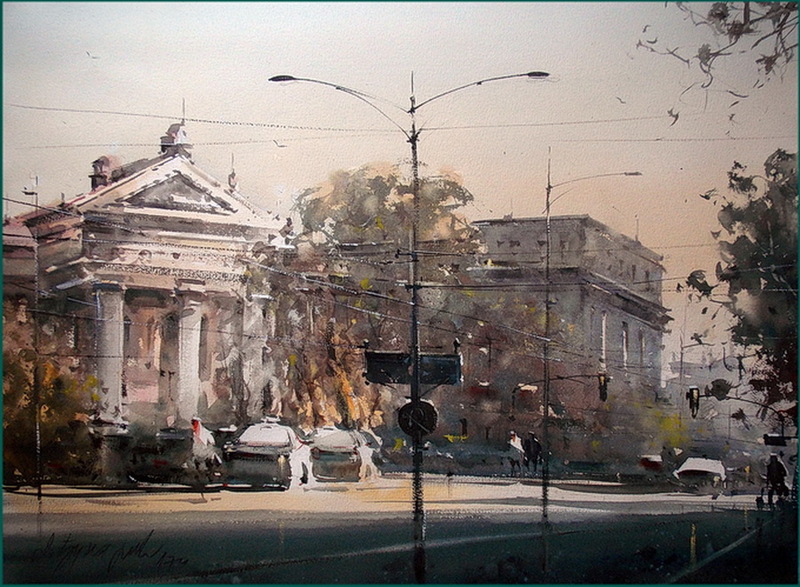 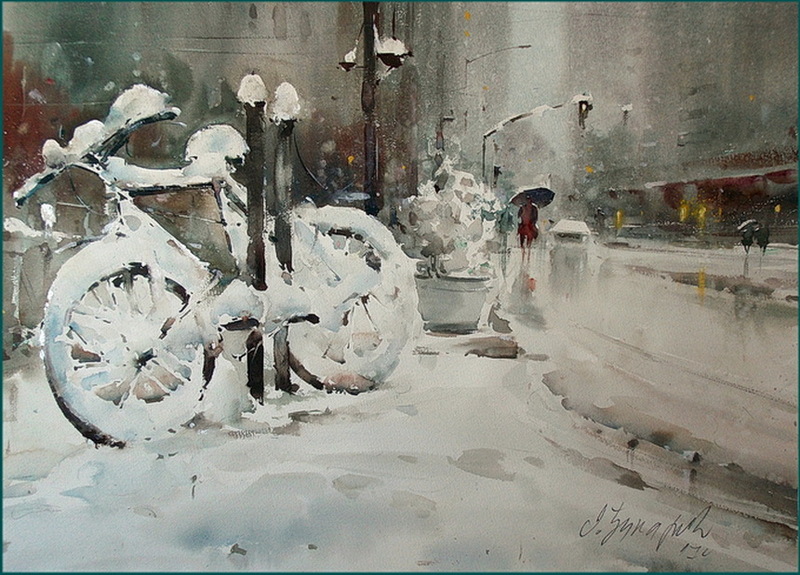 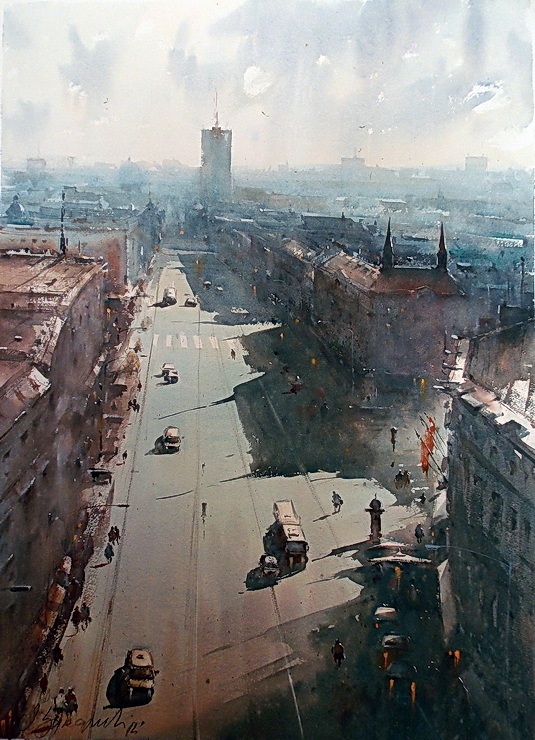 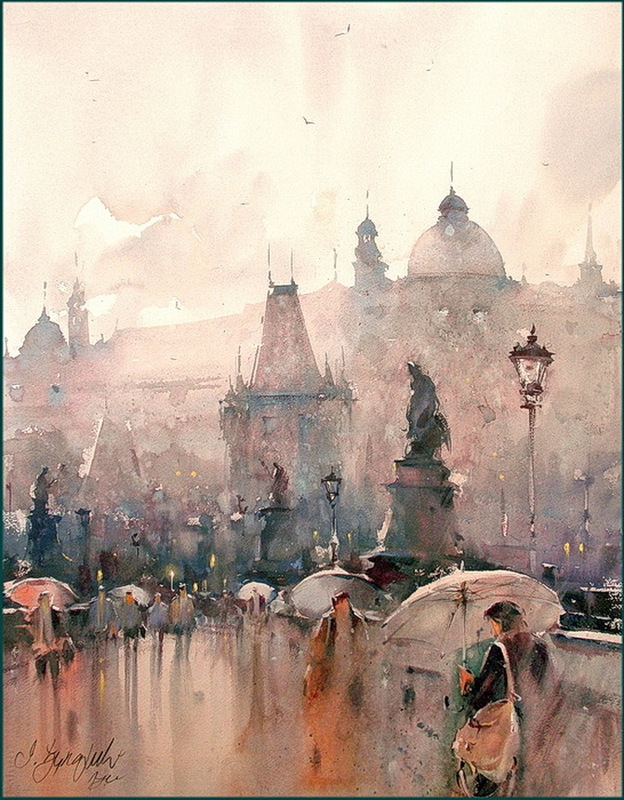 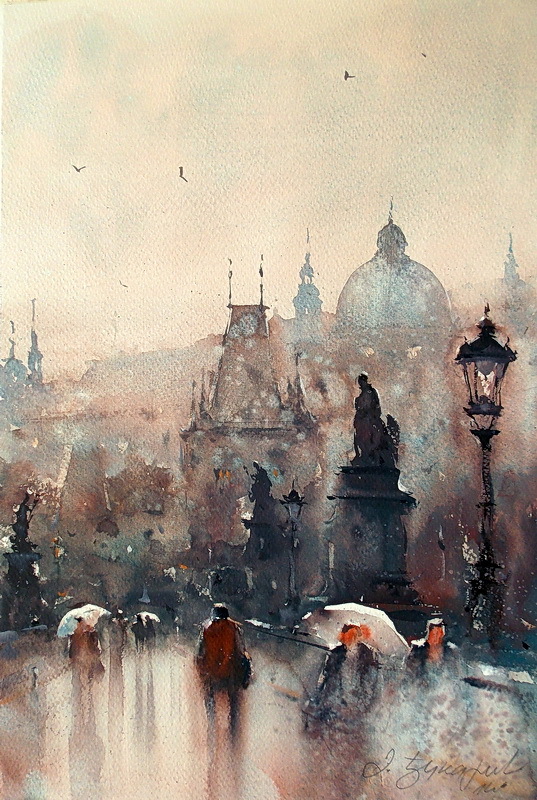 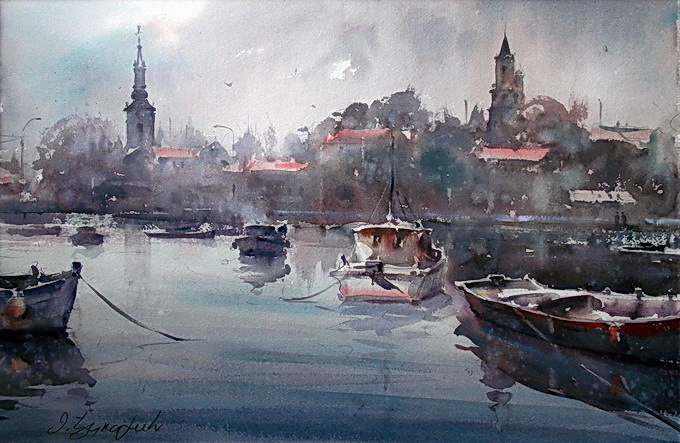 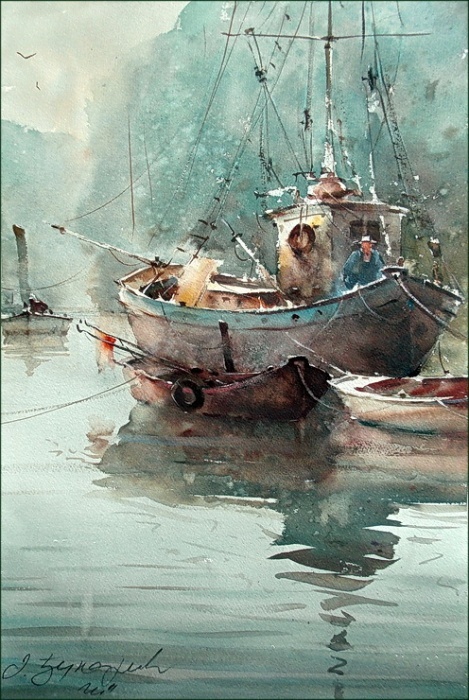 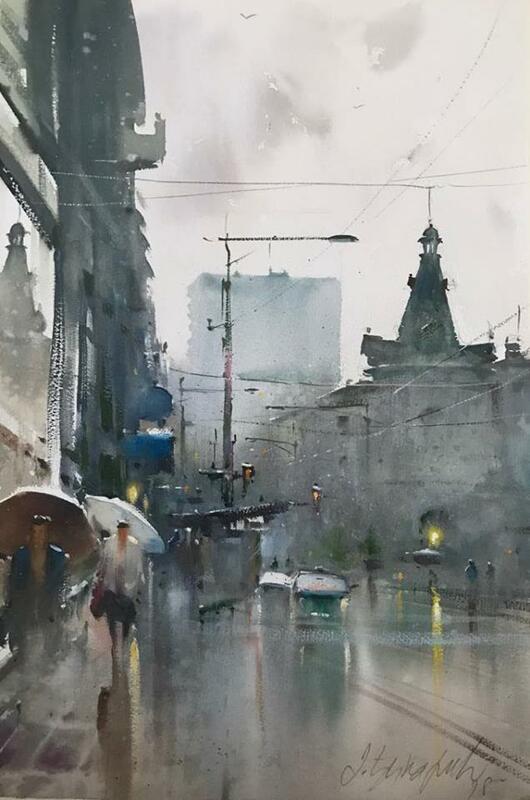 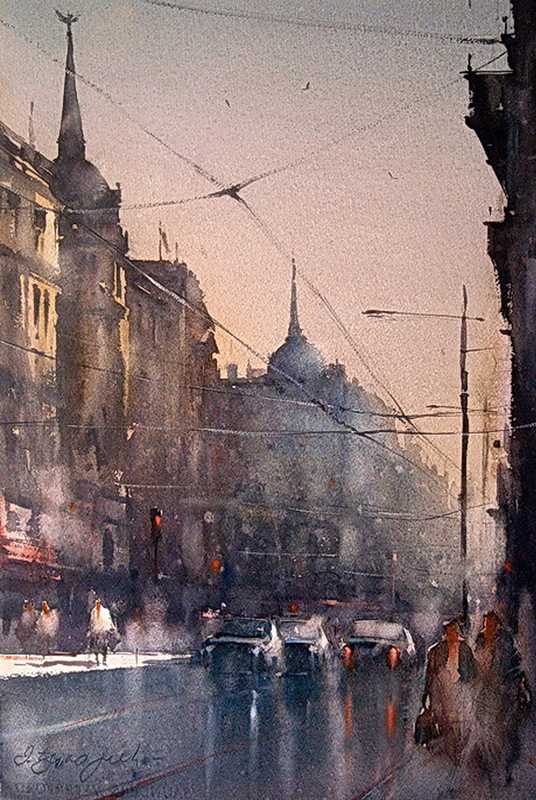 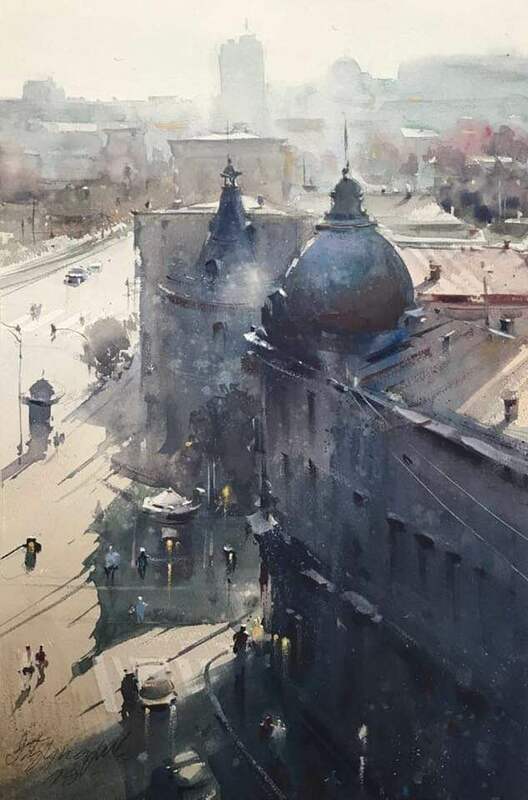 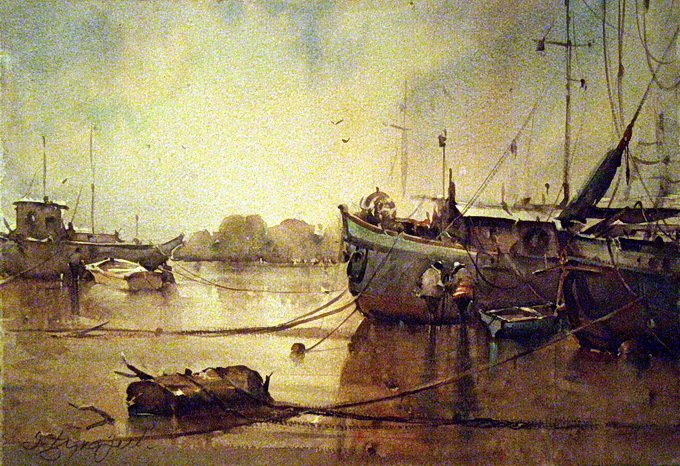 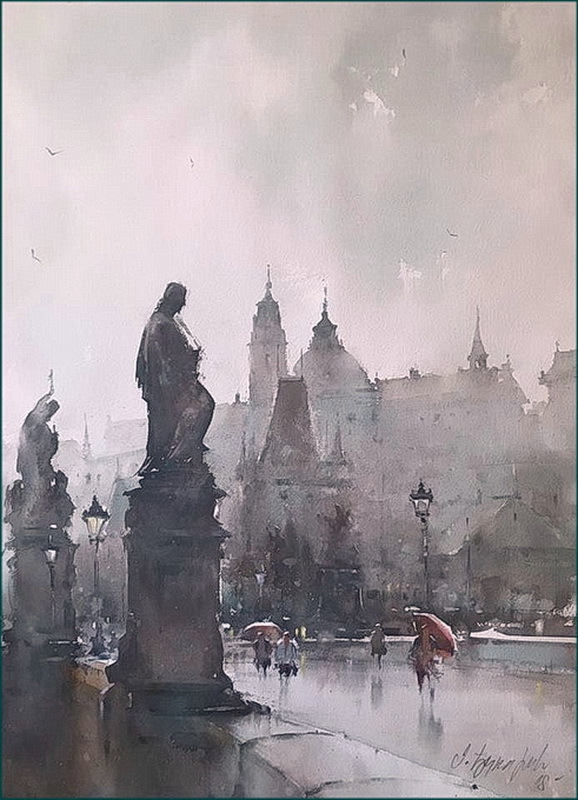 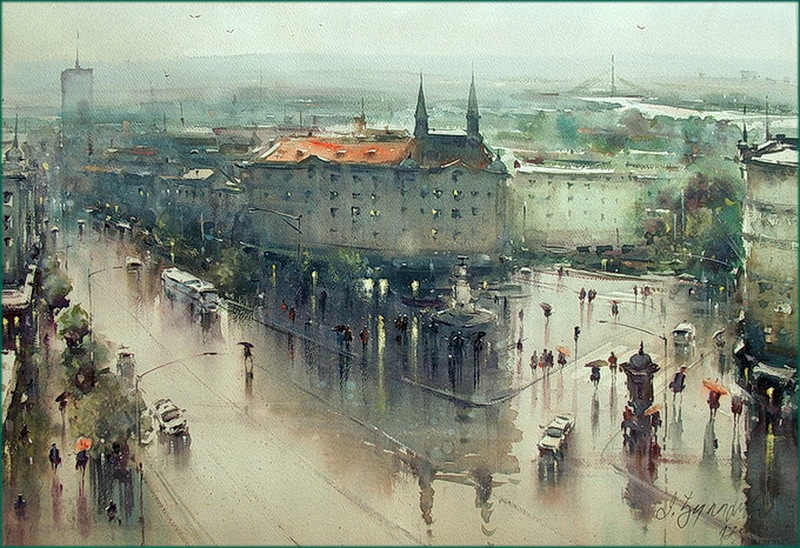 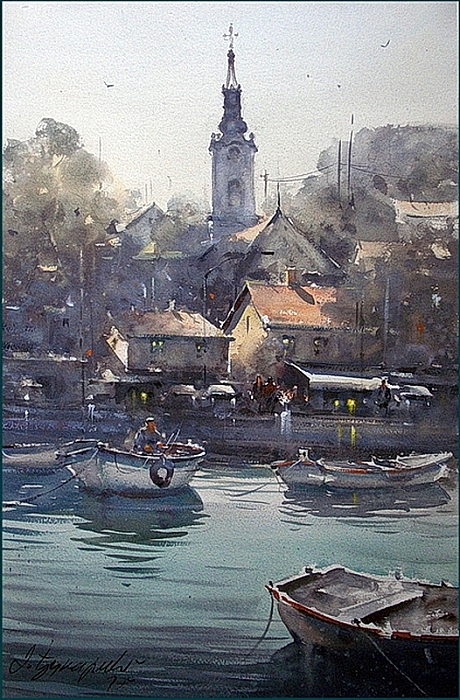 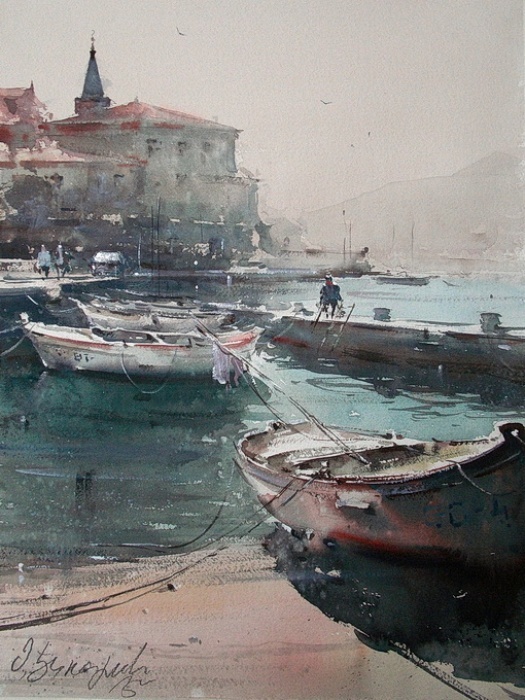 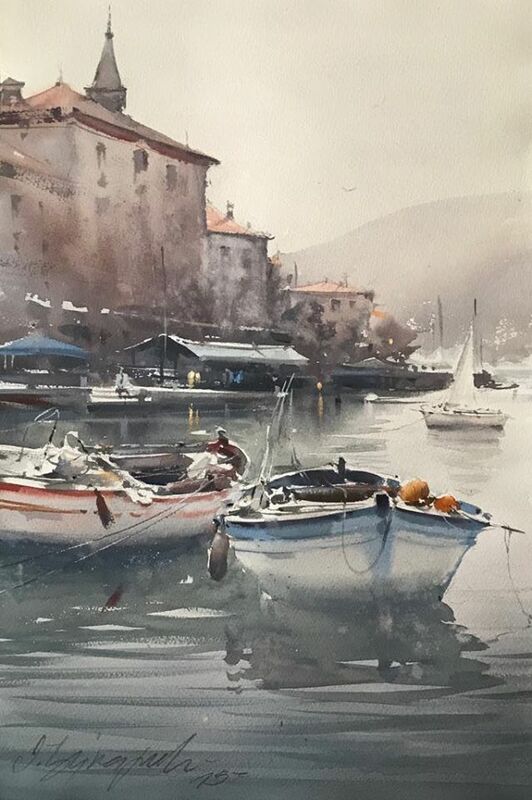 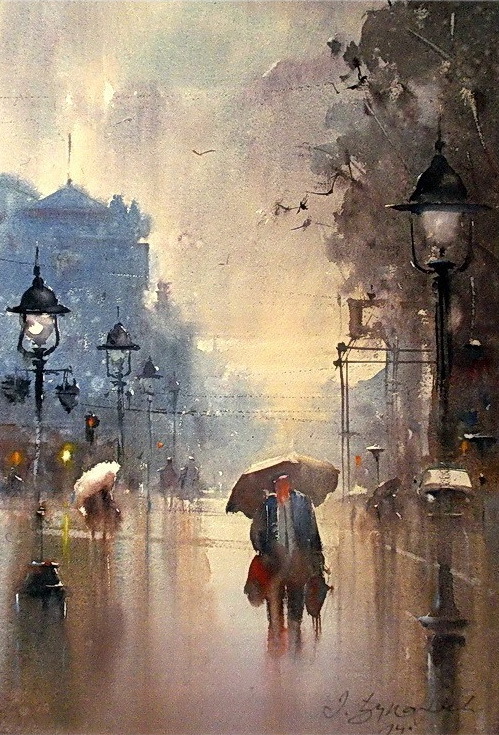 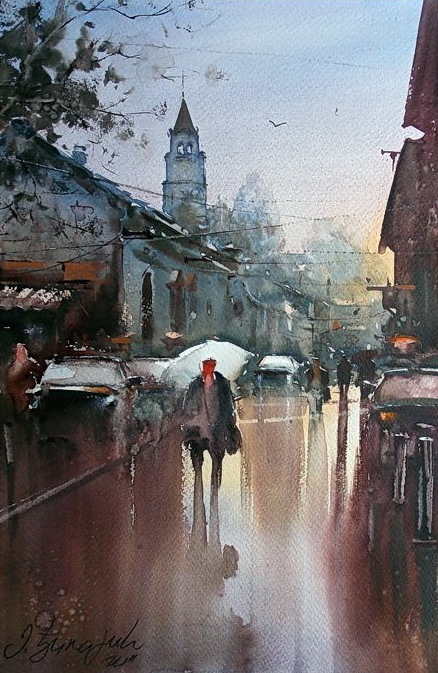 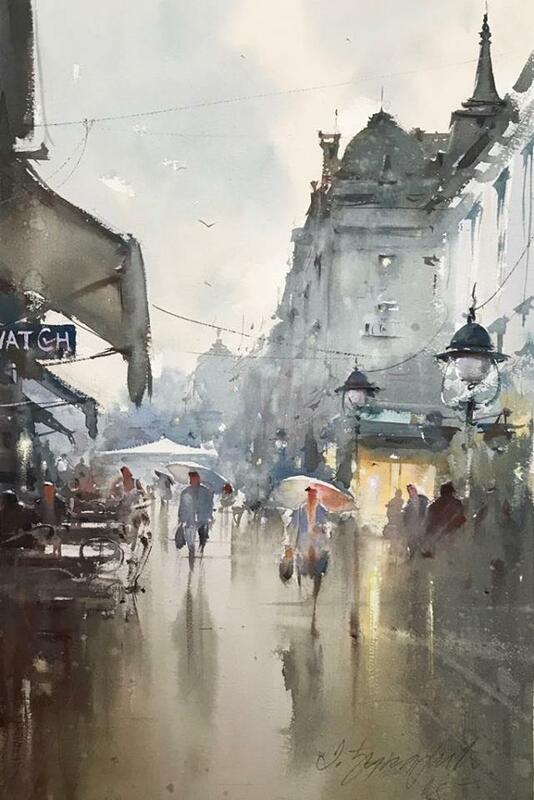 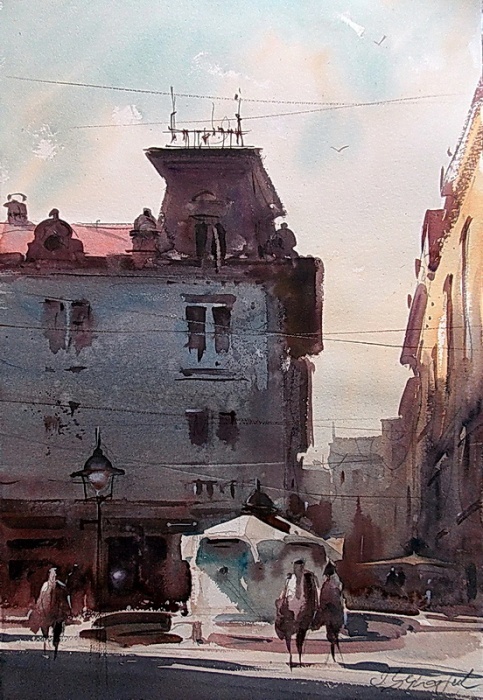 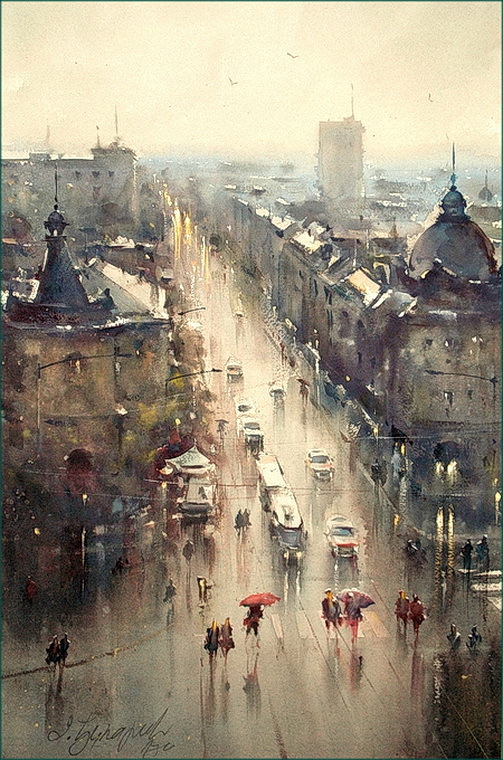 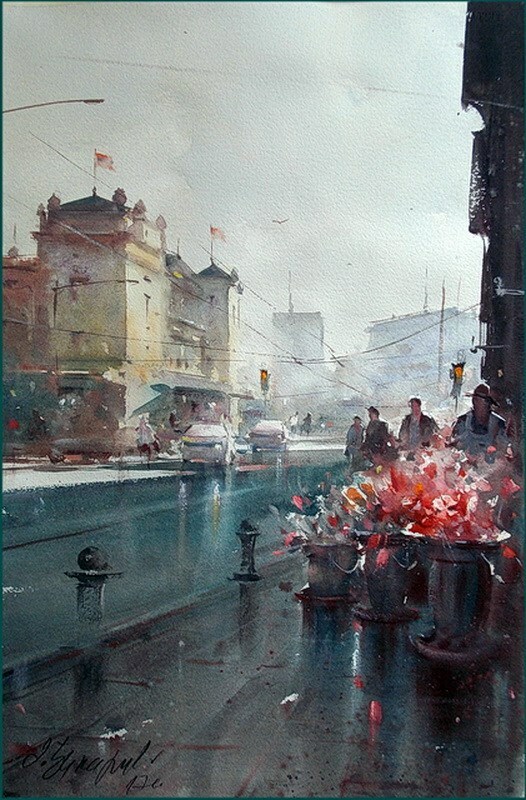 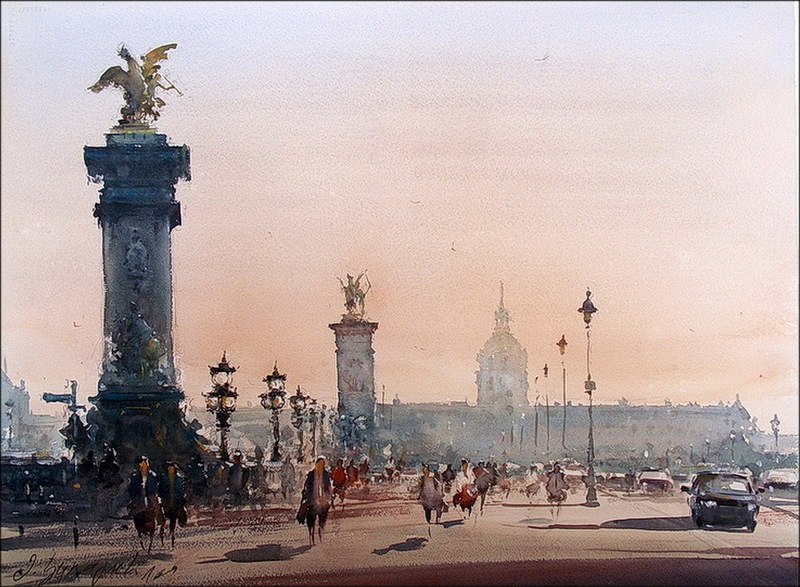 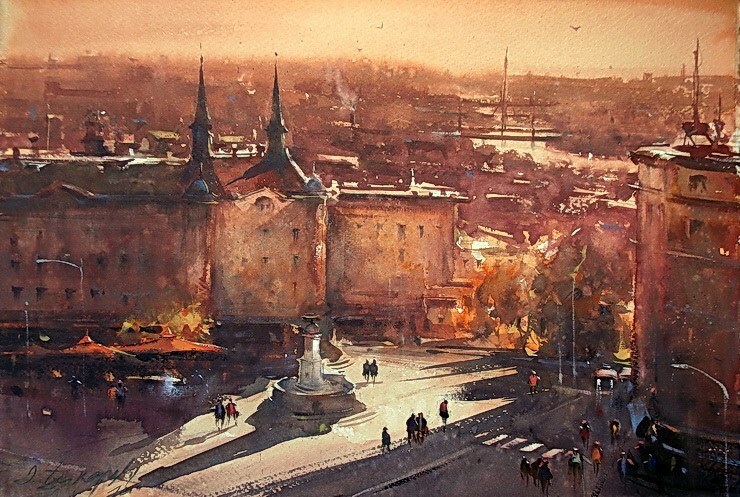 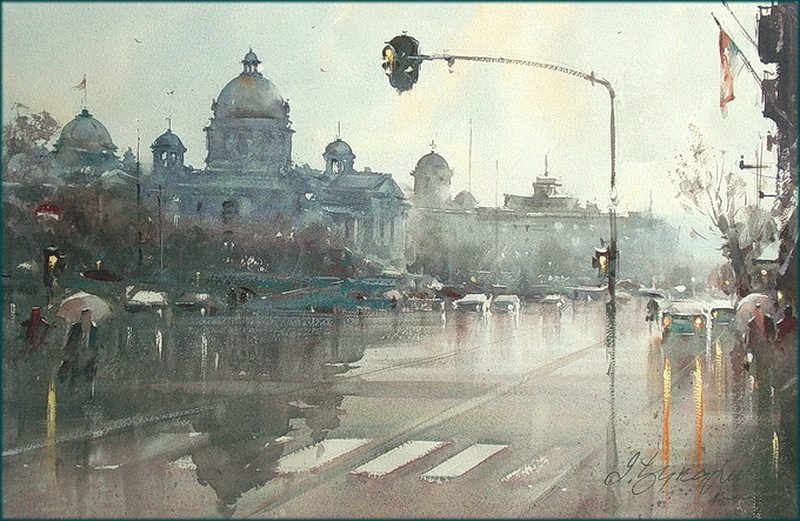 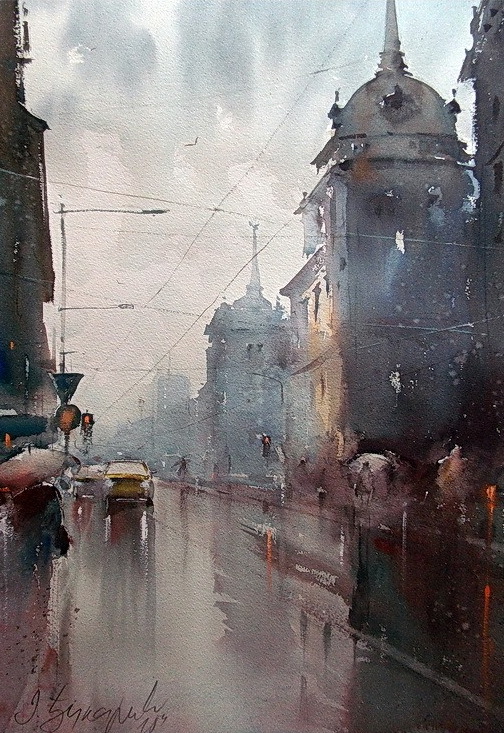 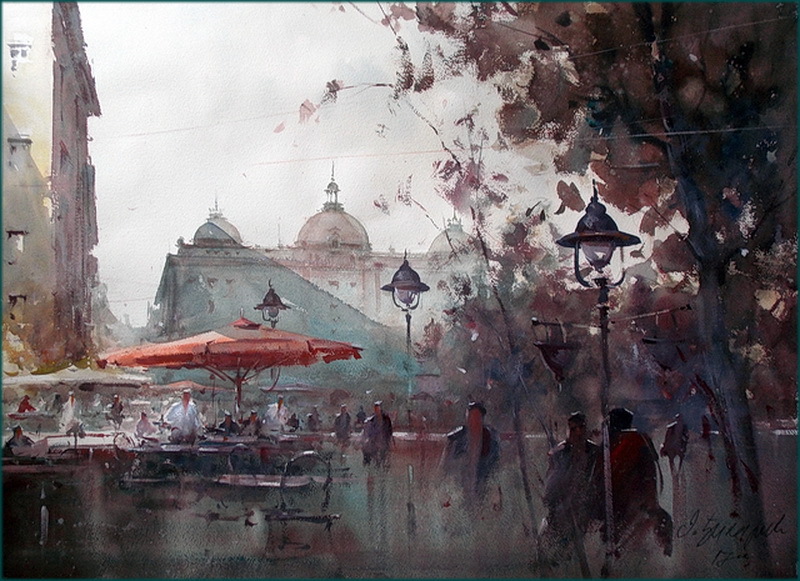 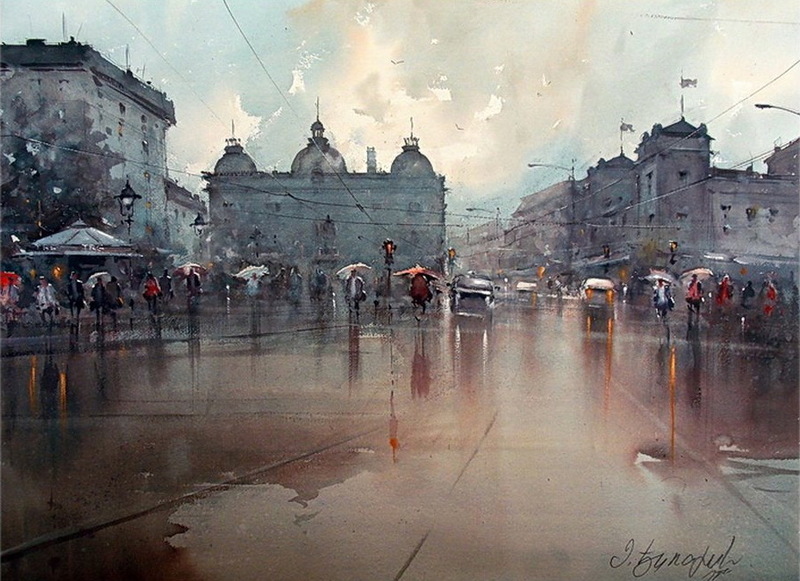 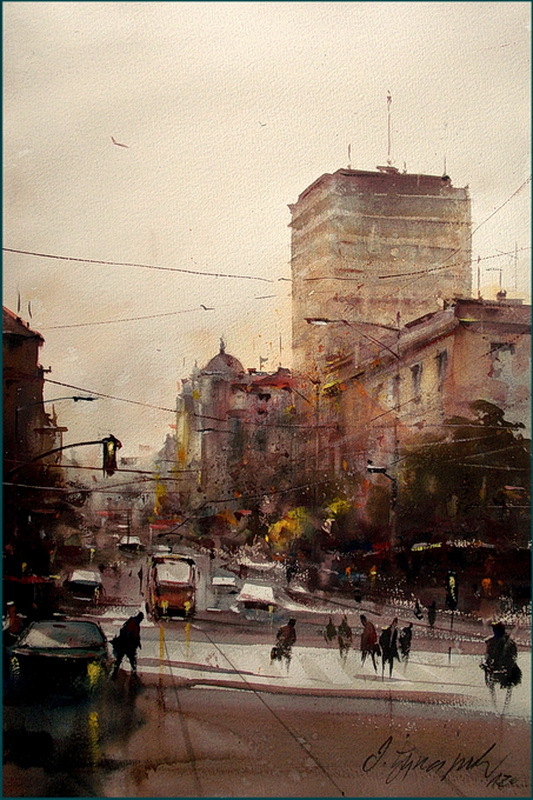 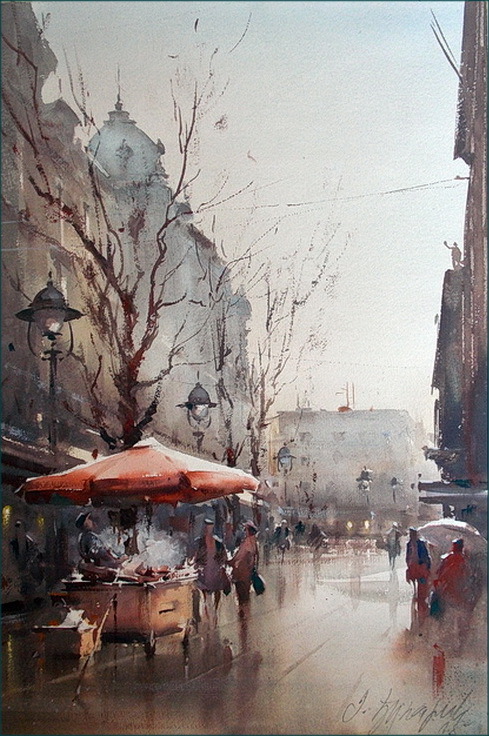 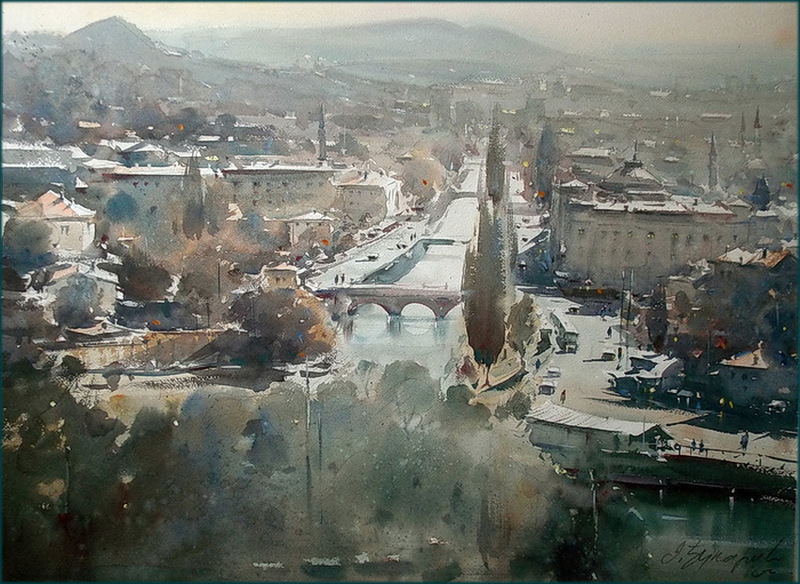 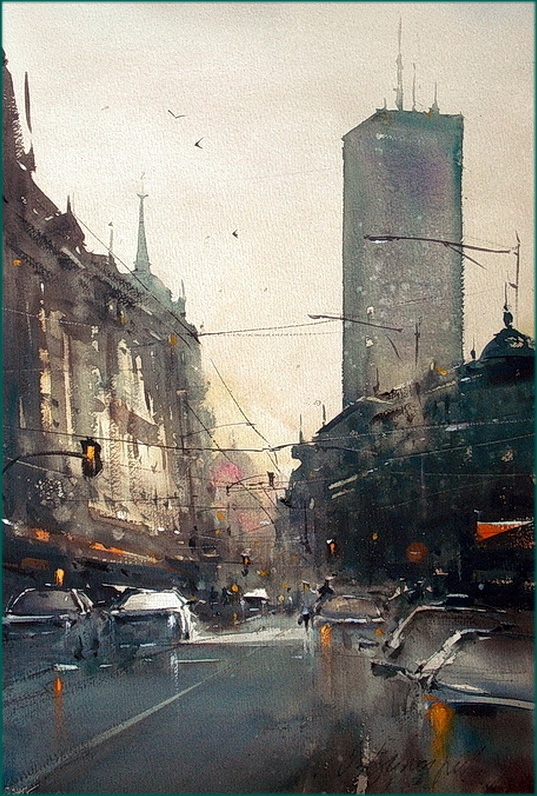 In front of SKC, watercolor 37x26 cm. 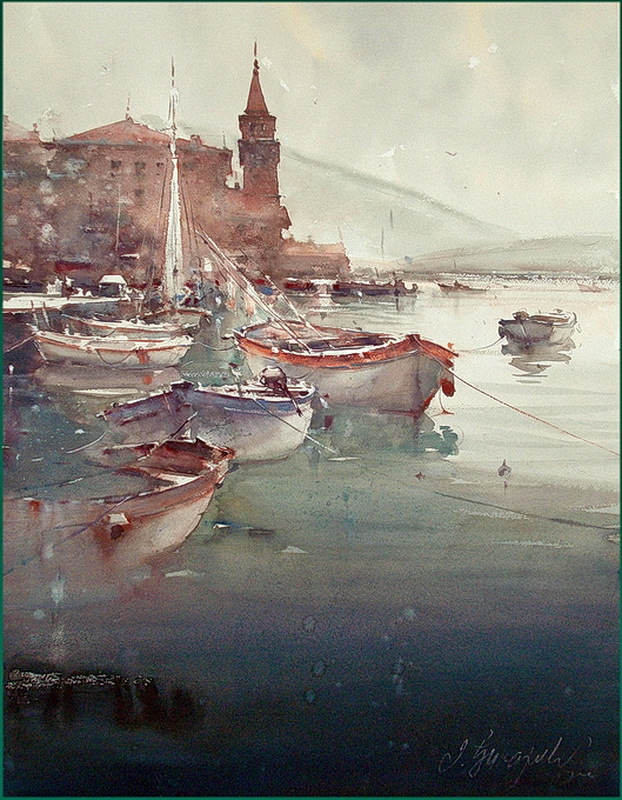 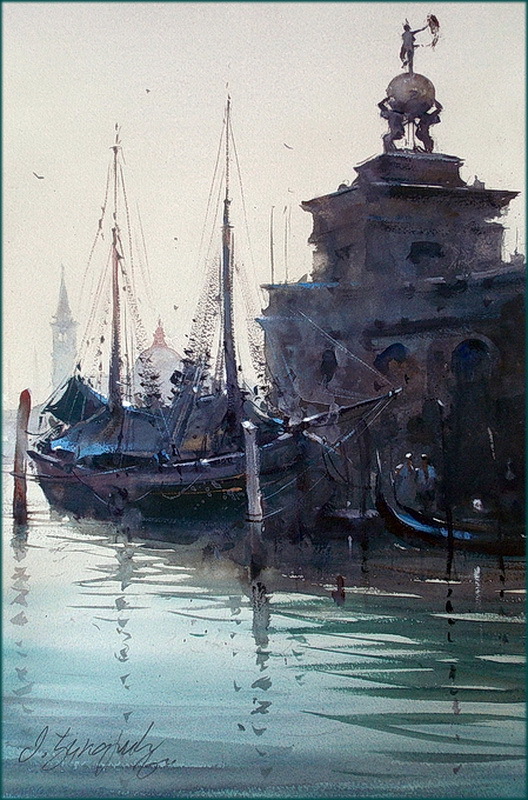 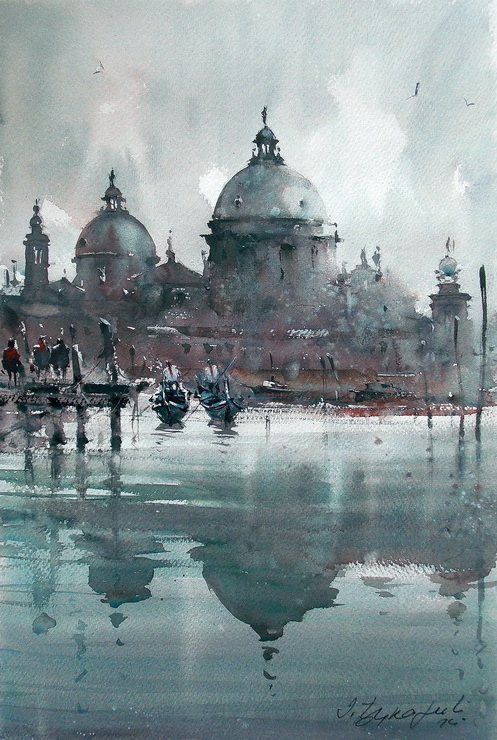 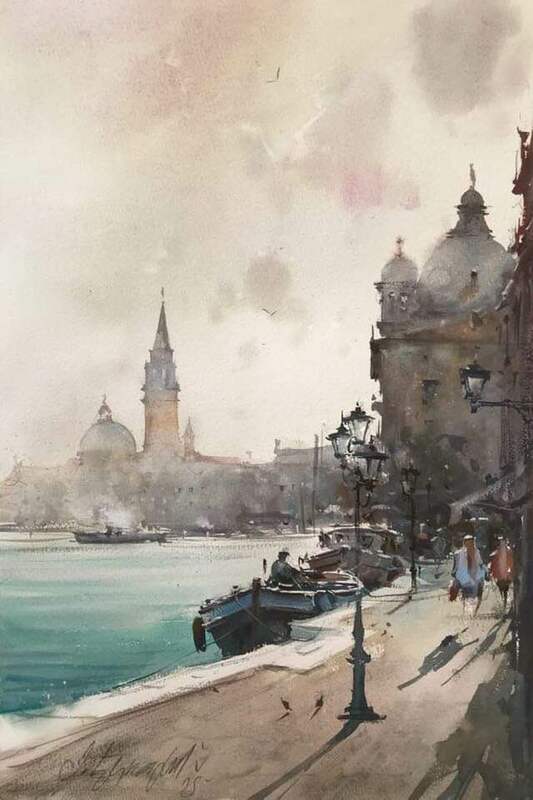 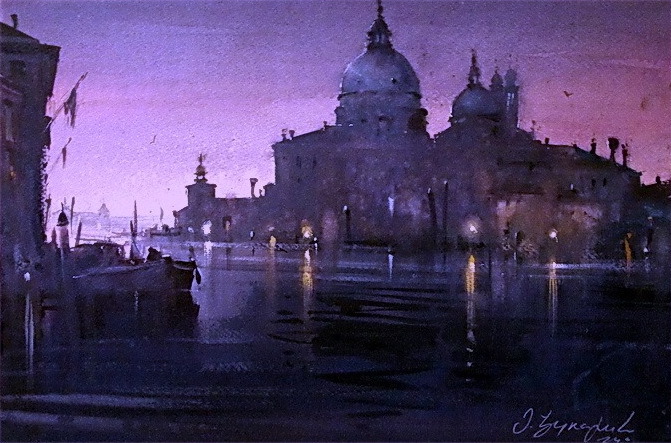 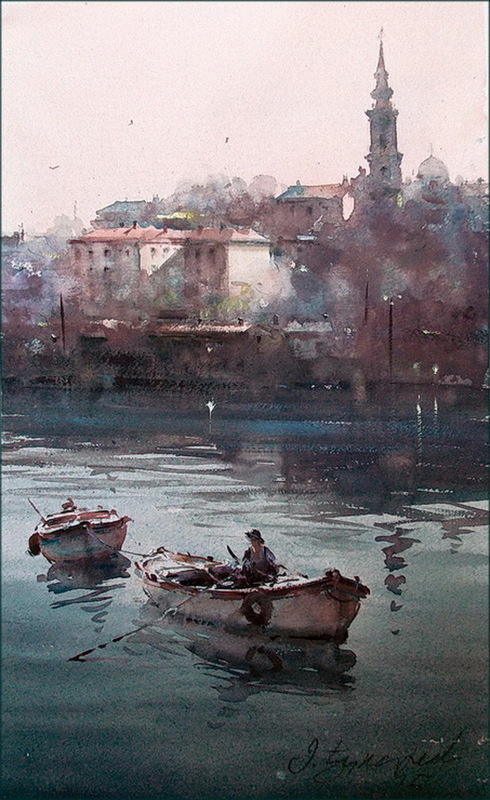 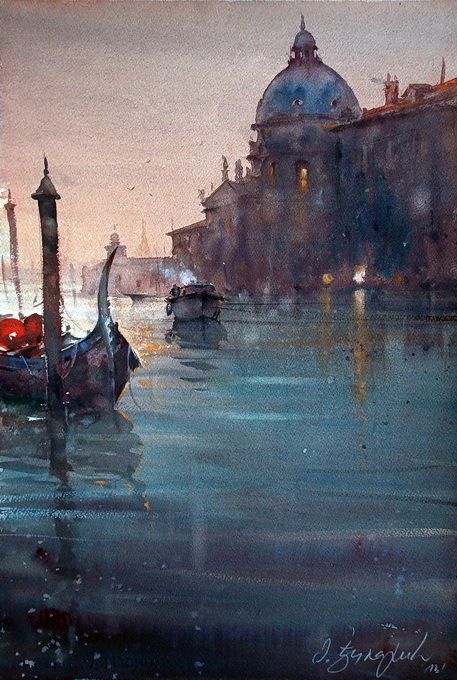 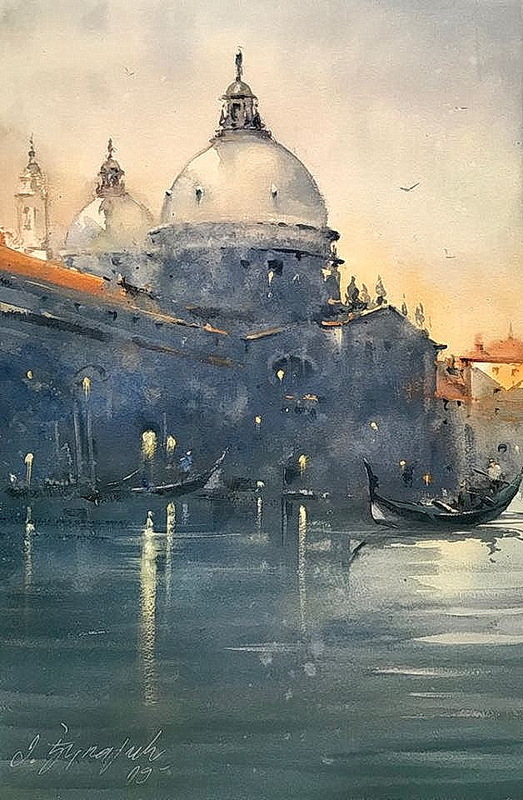 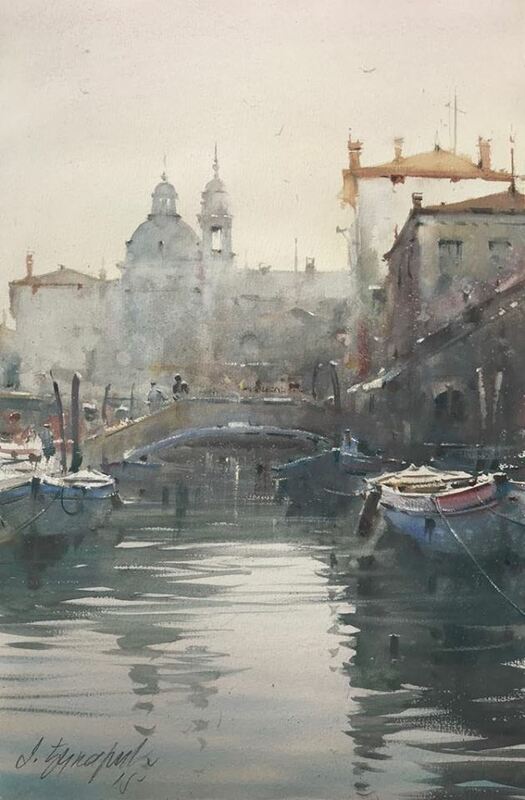 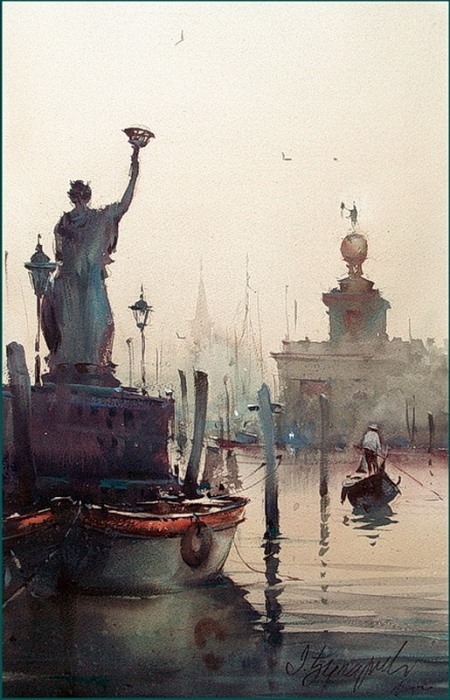 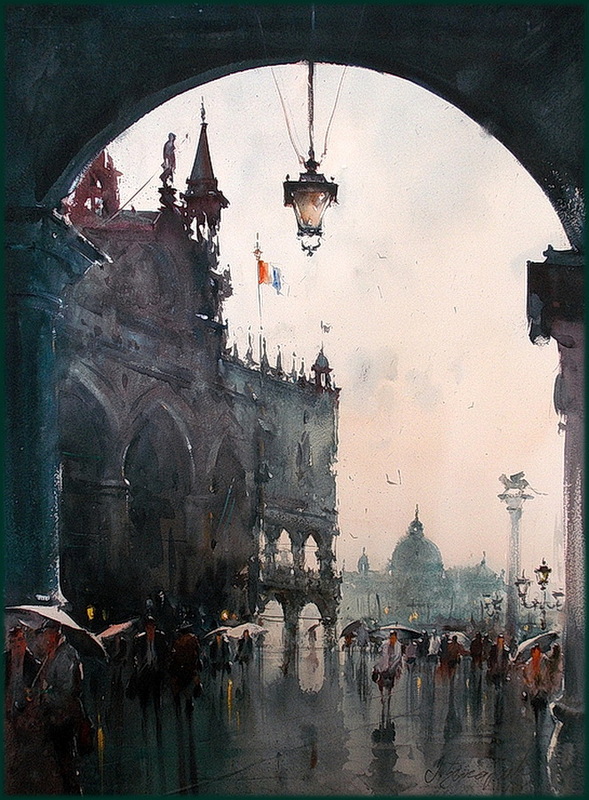 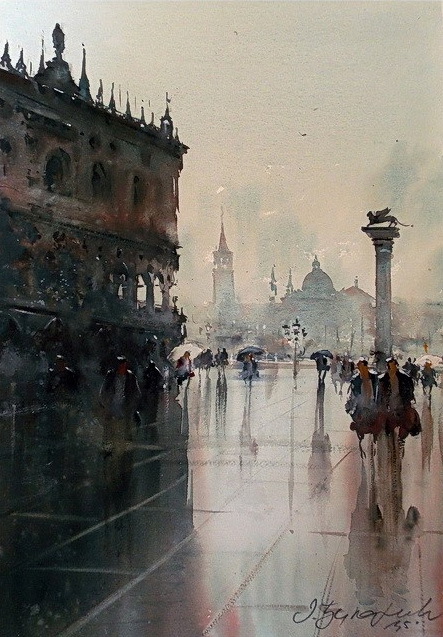 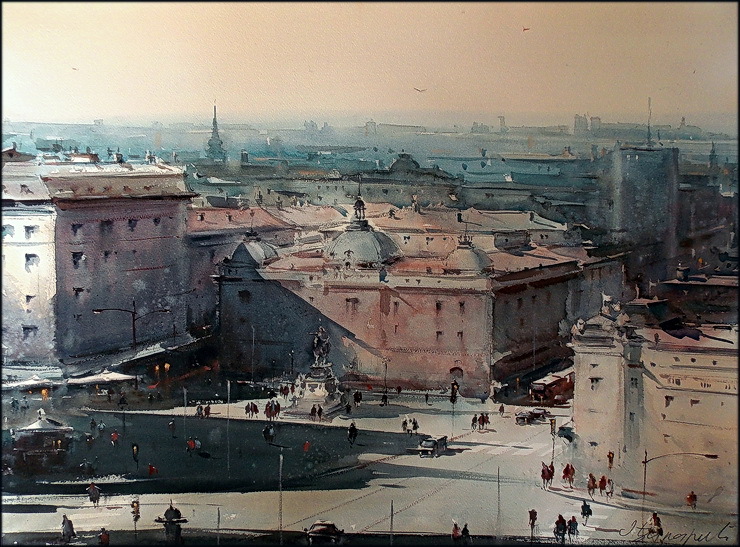 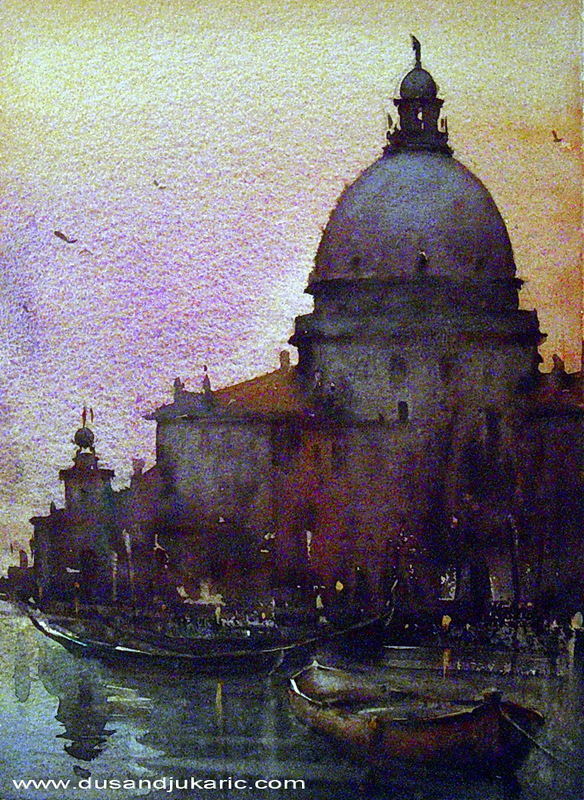 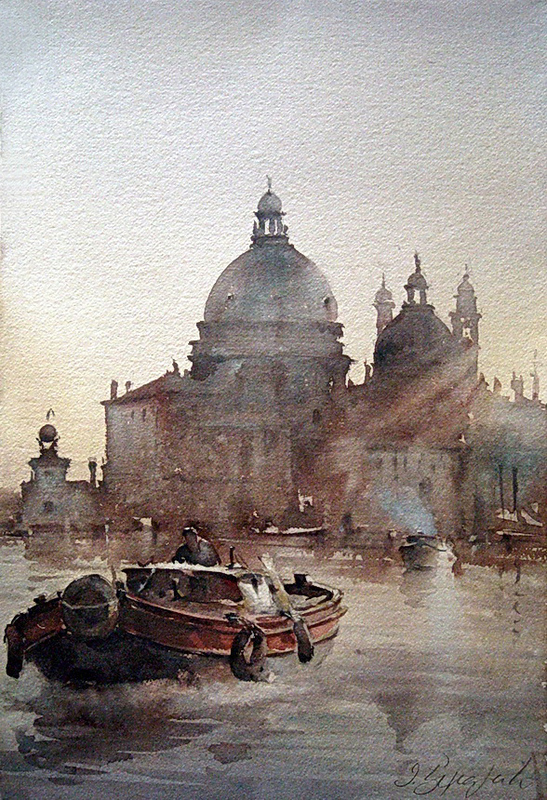 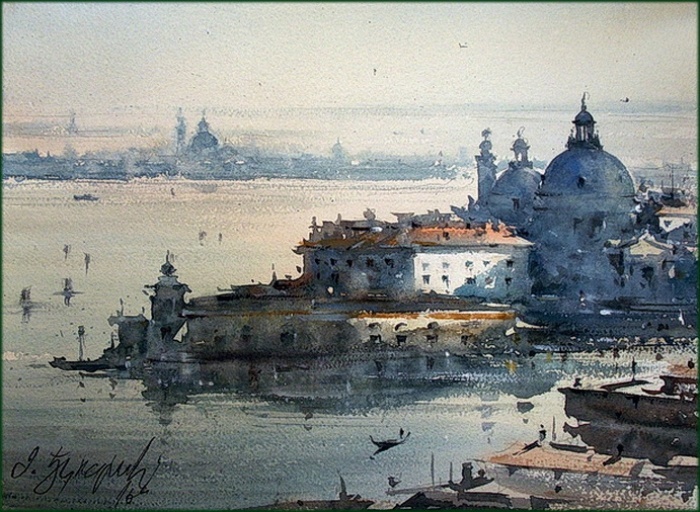 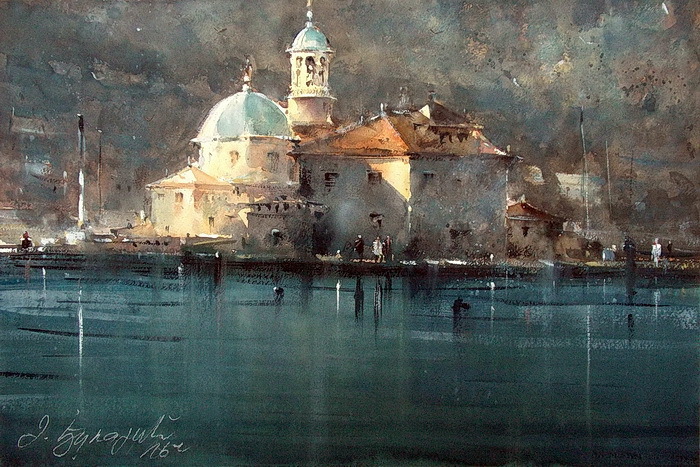 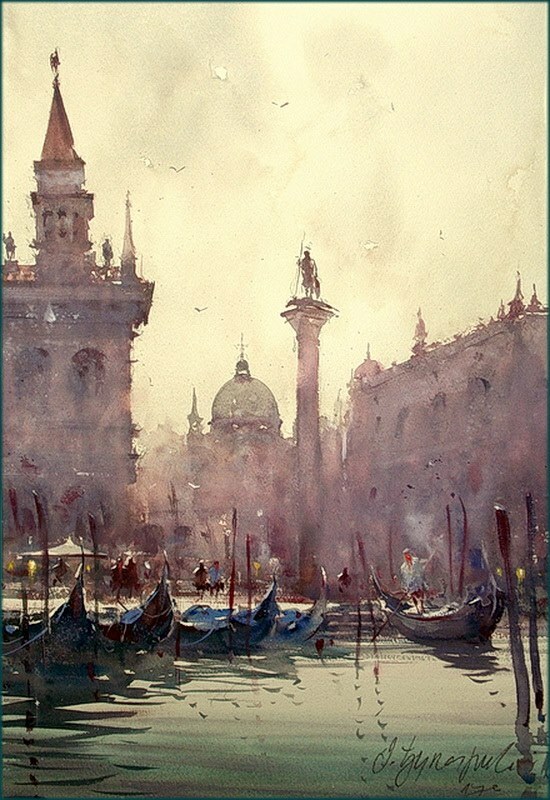 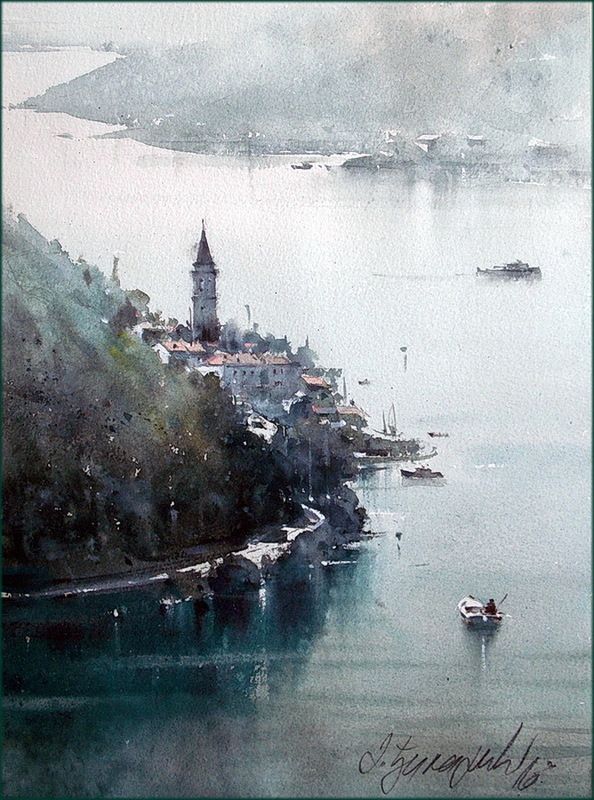 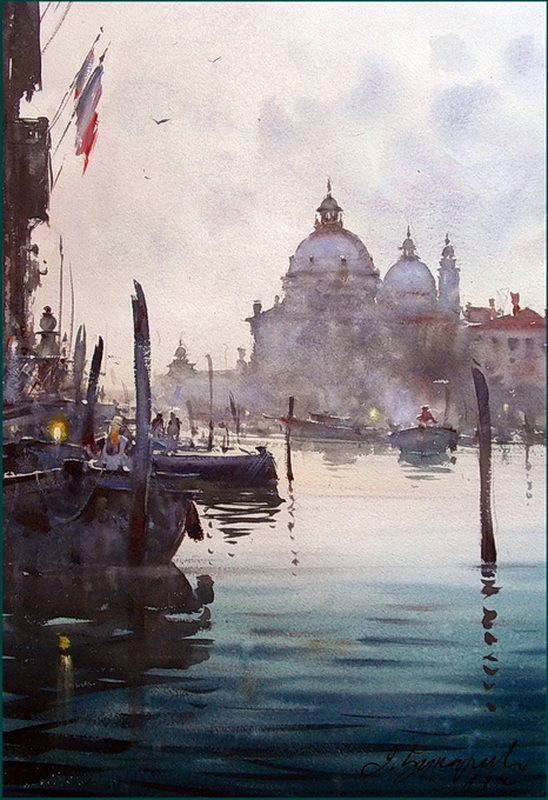 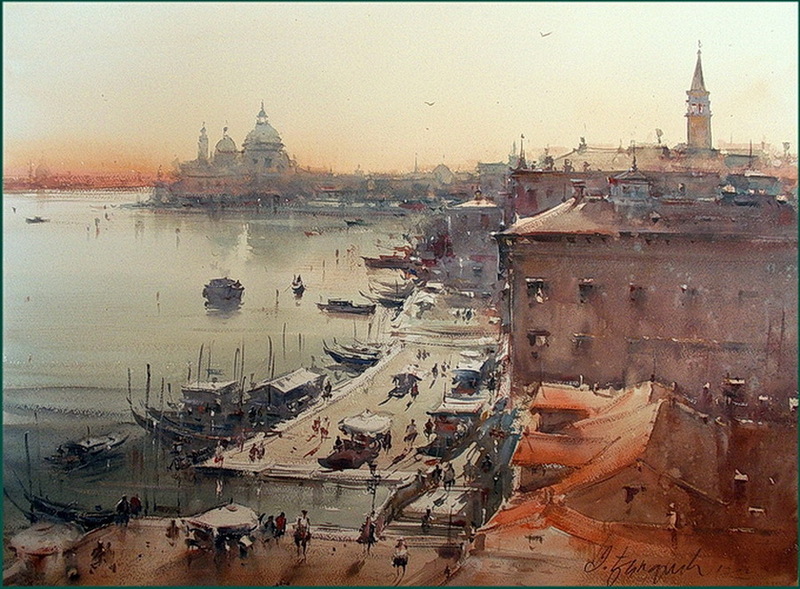 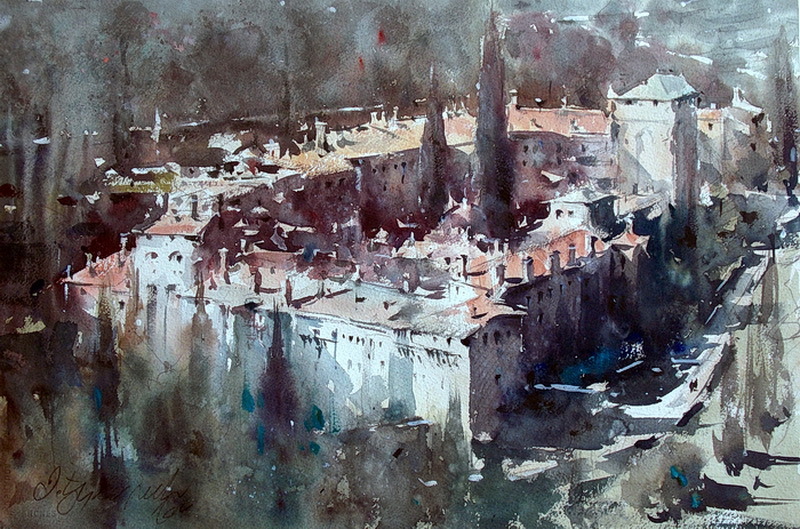 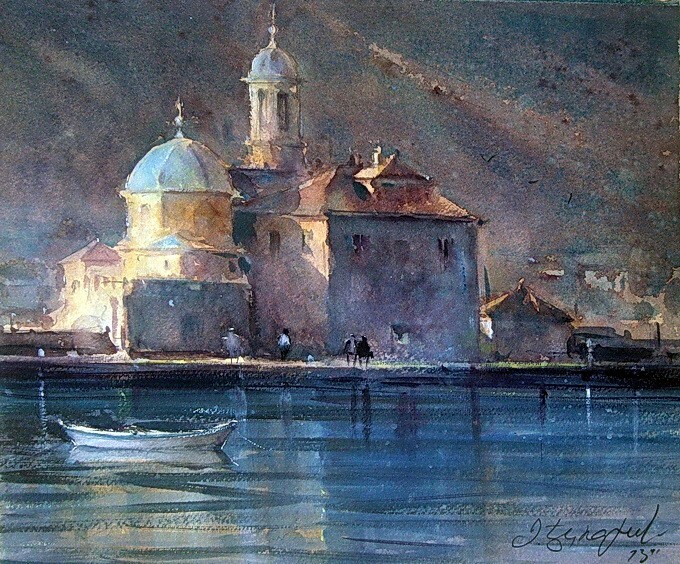 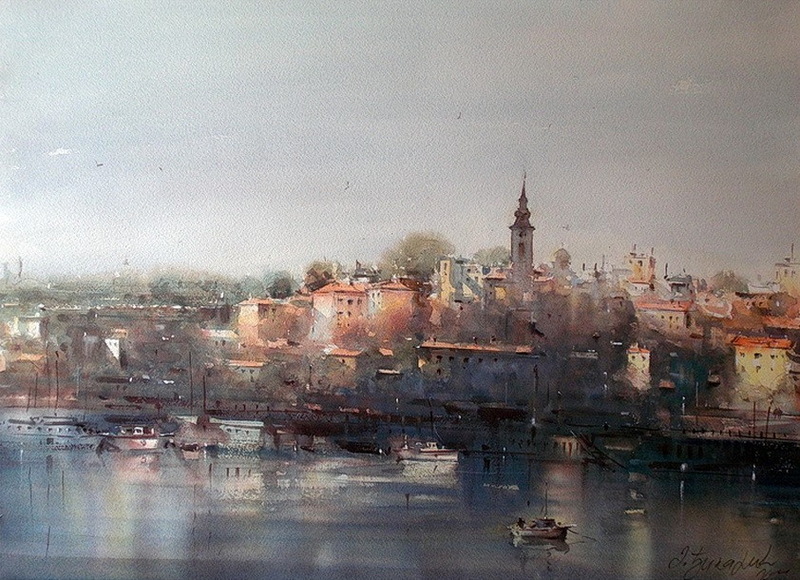 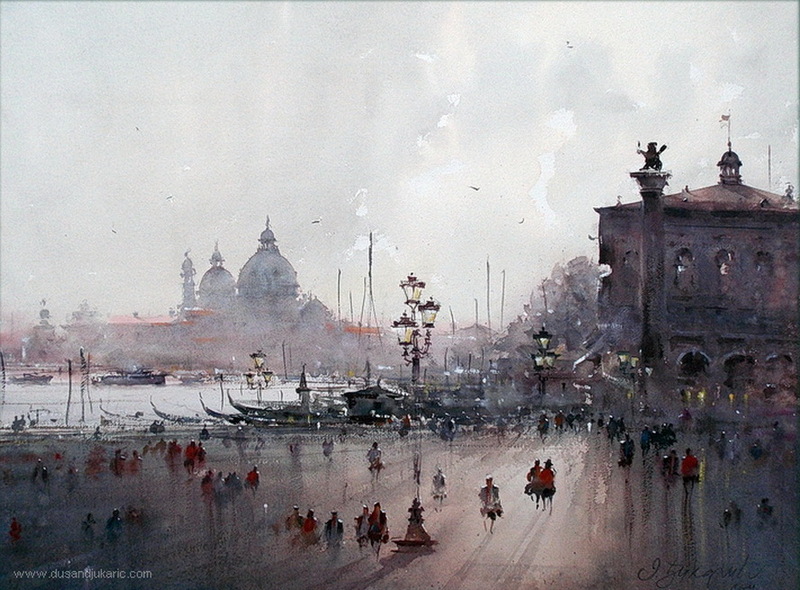 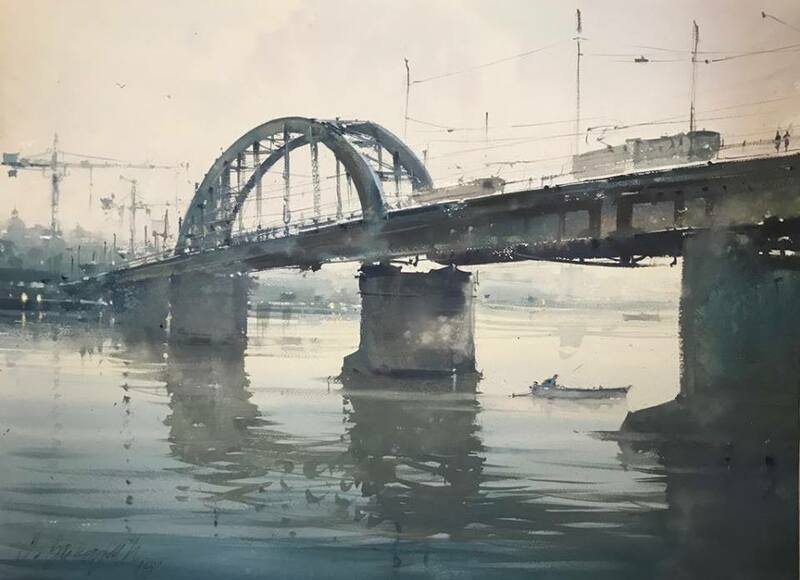 Venice, Punta della Dogana, watercolor, 36x55cm. 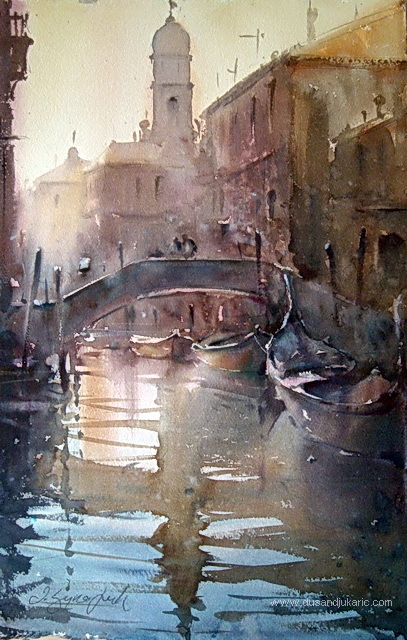 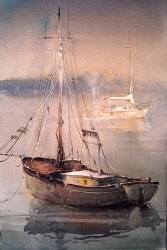 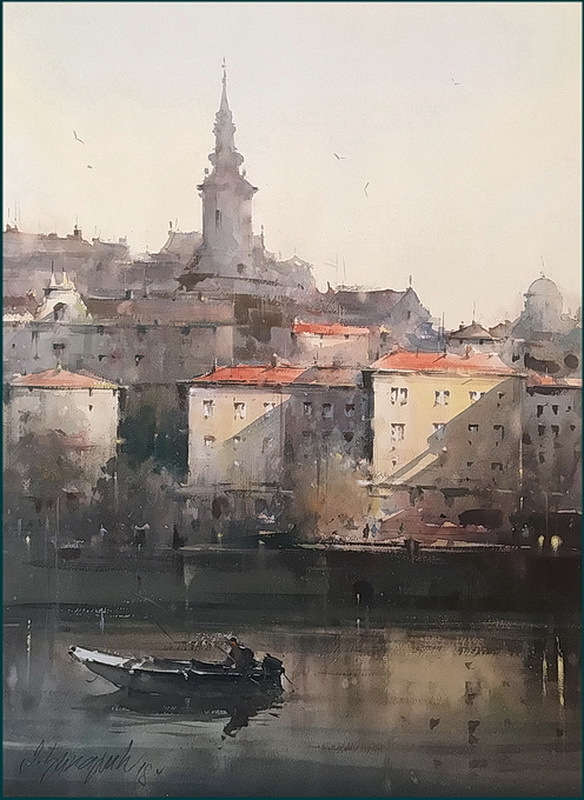 Boats in the canals of Venice, 36x55 cm. 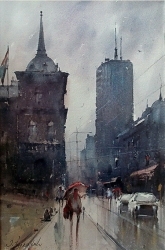 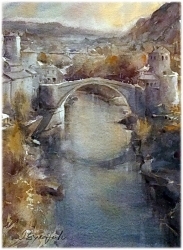 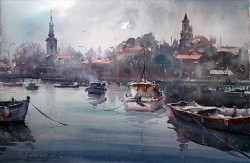 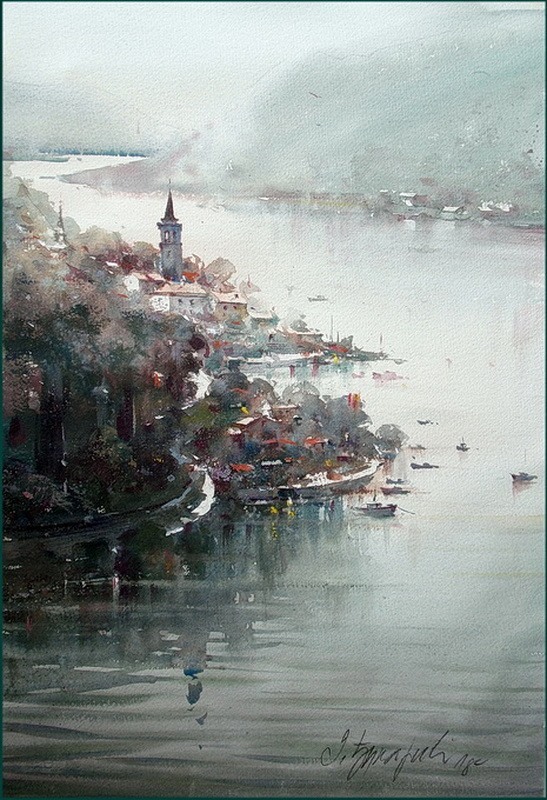 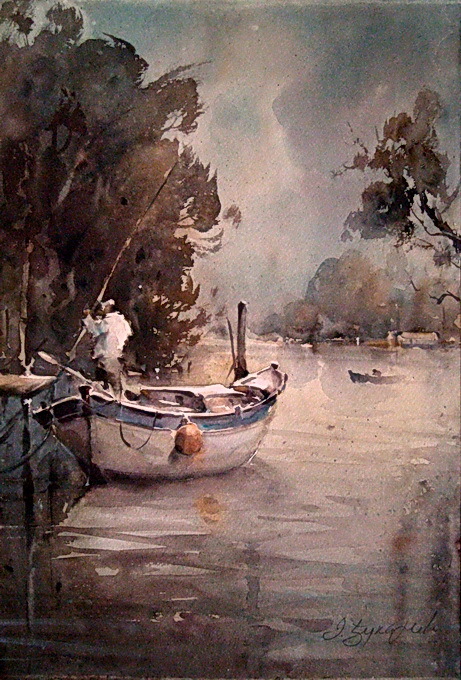 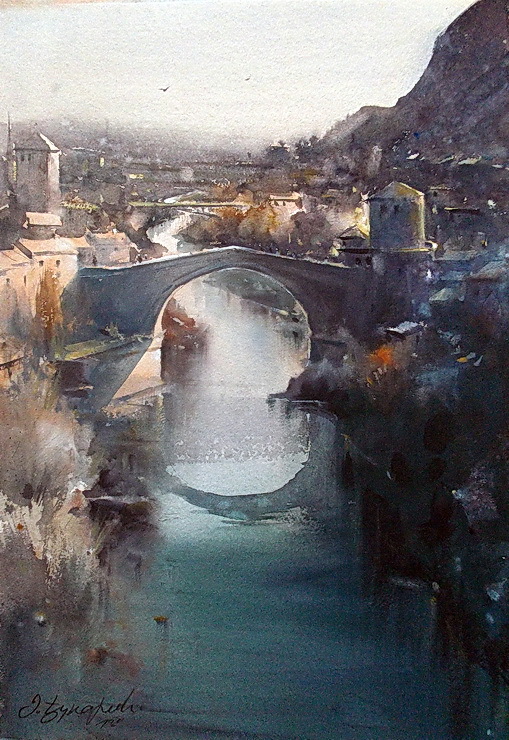 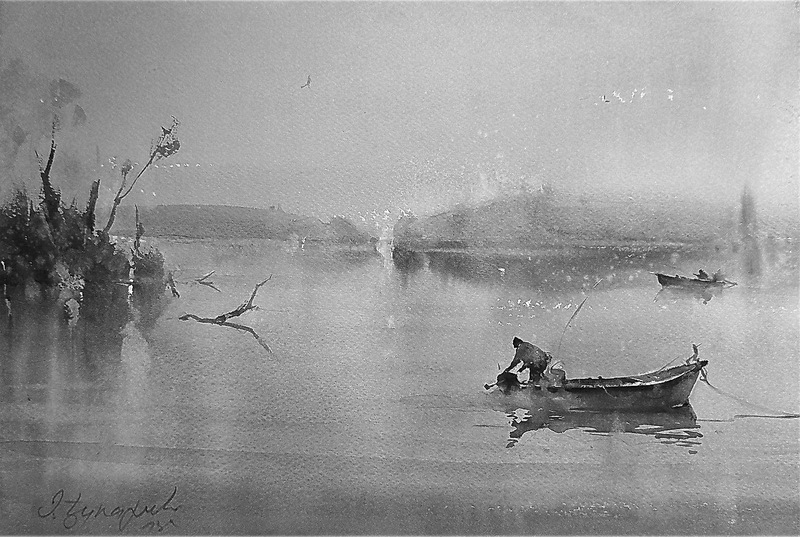 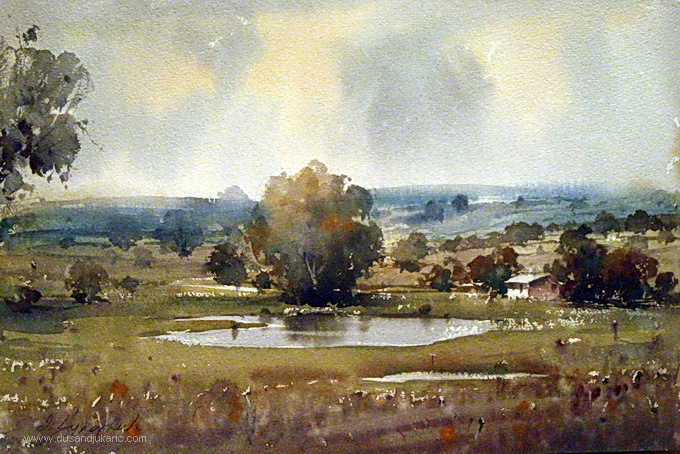 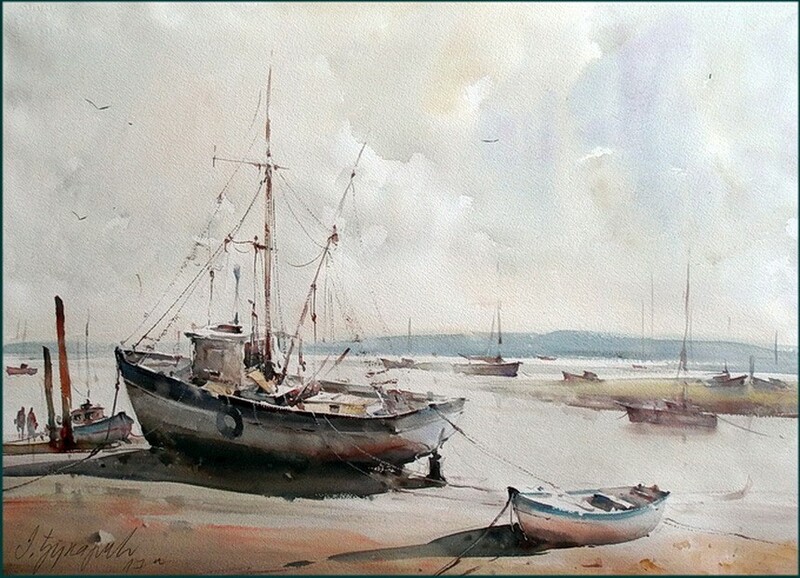 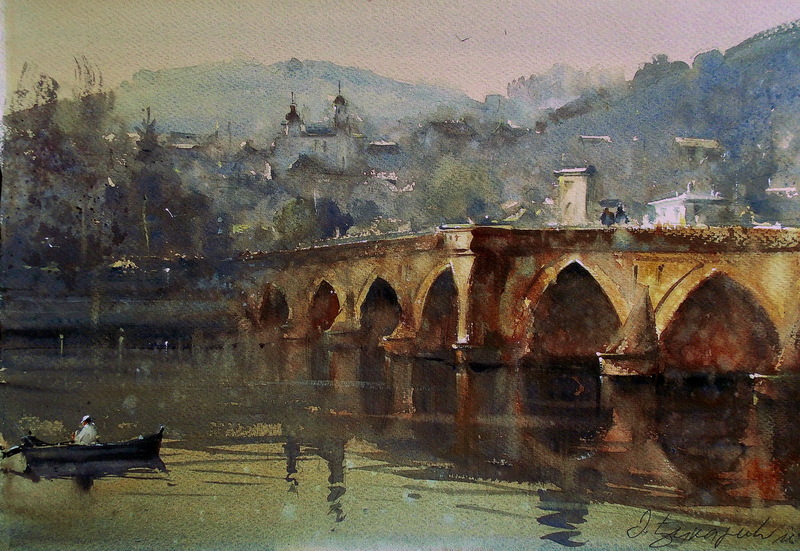 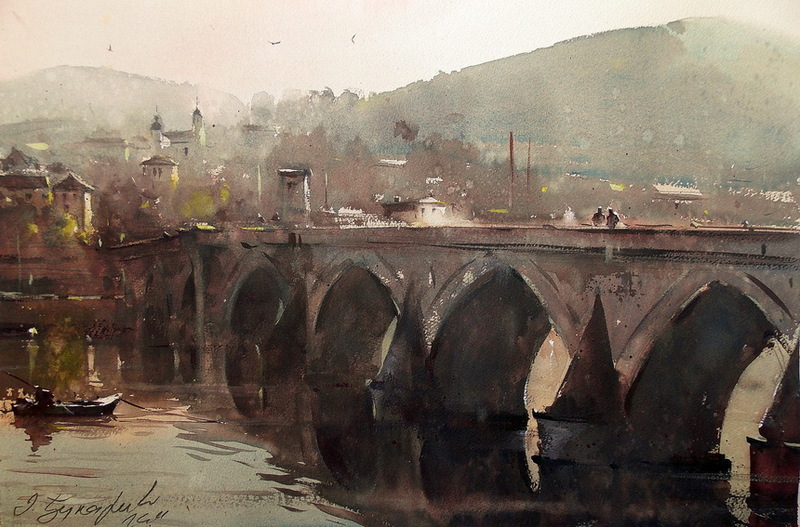 At ETF, watercolour 36x55 cm. 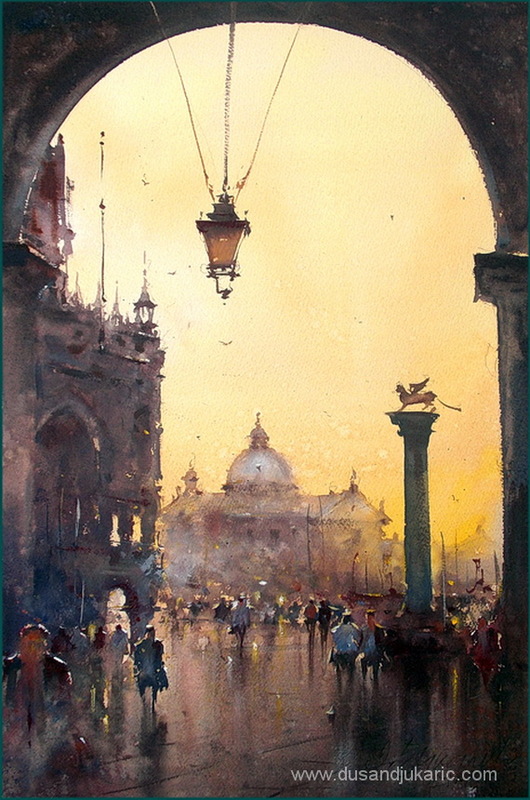 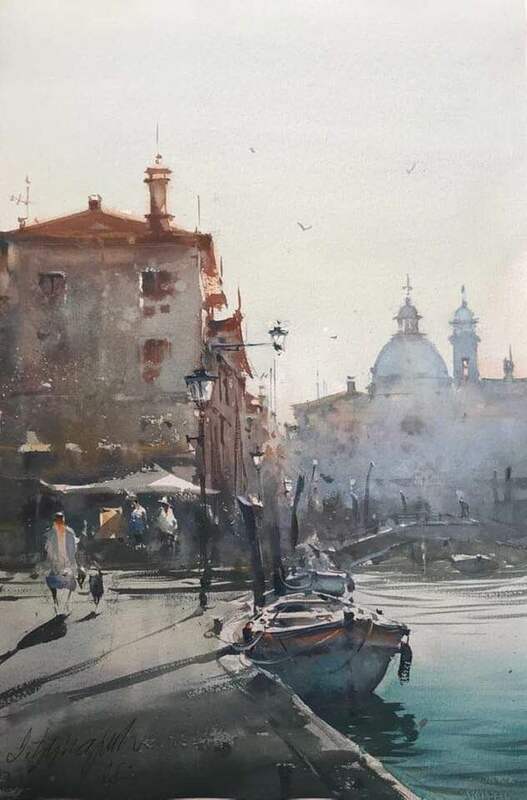 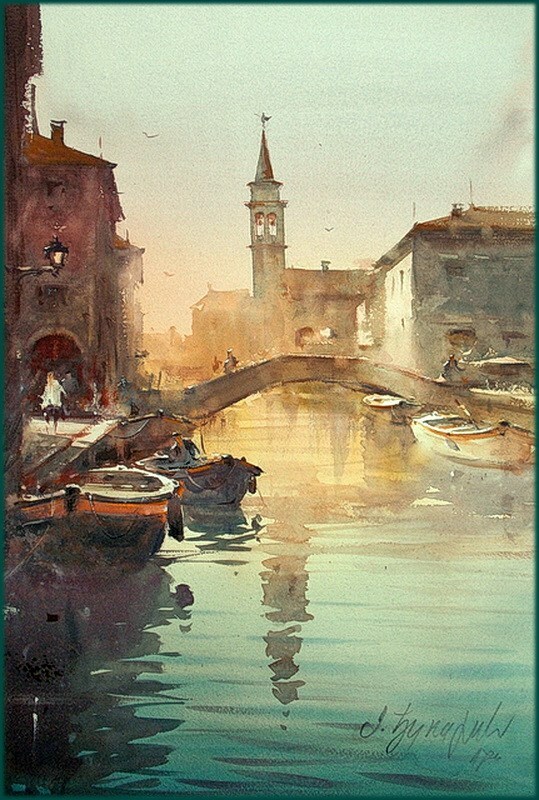 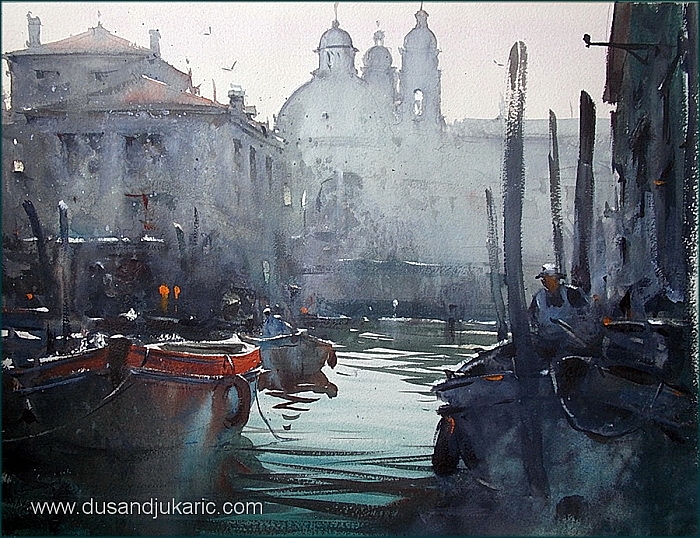 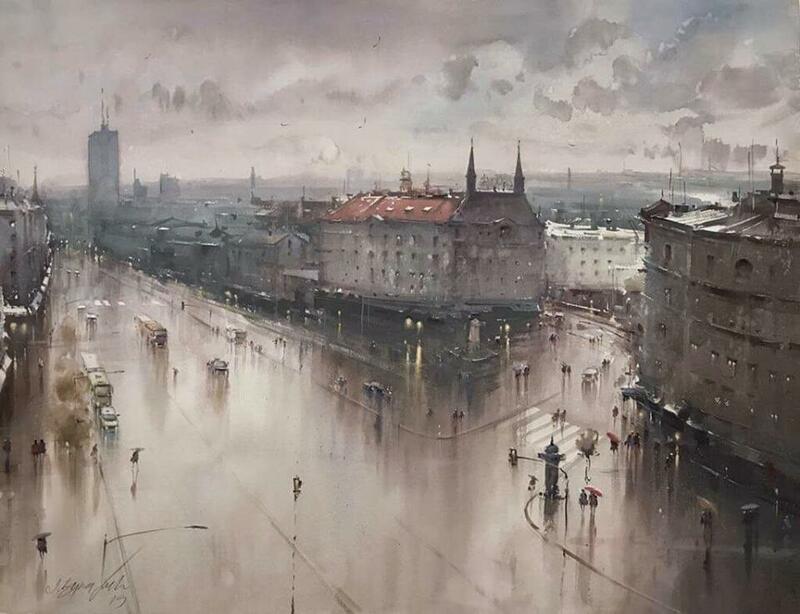 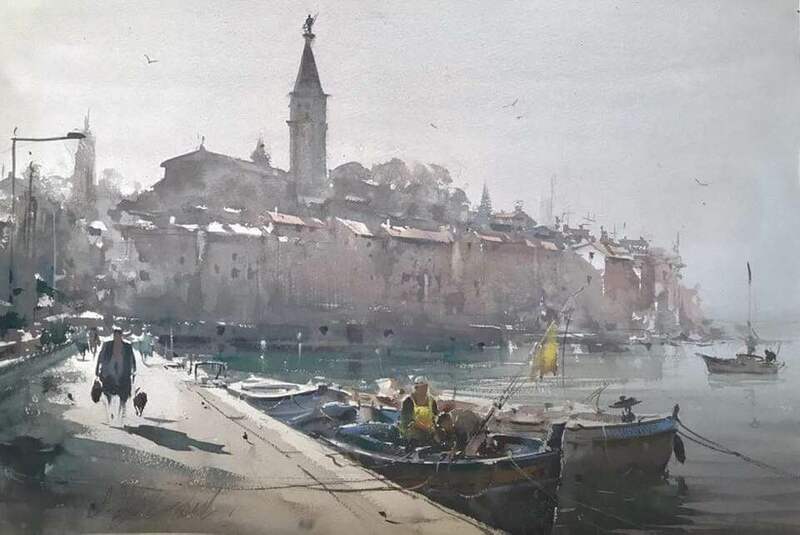 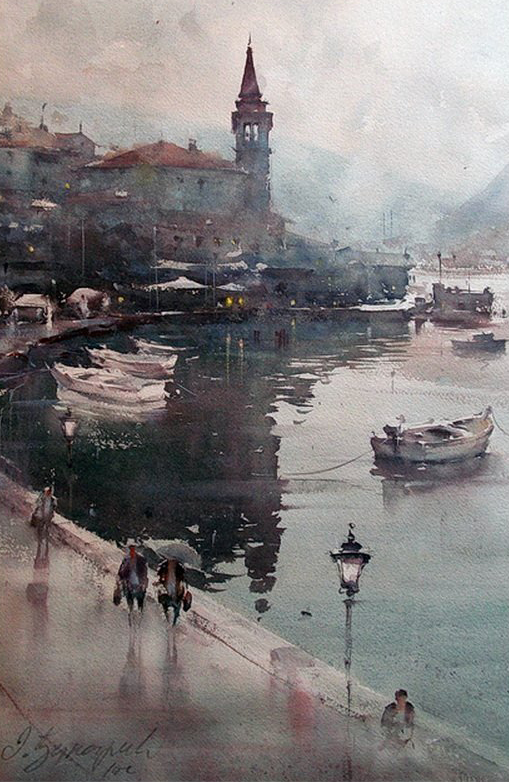 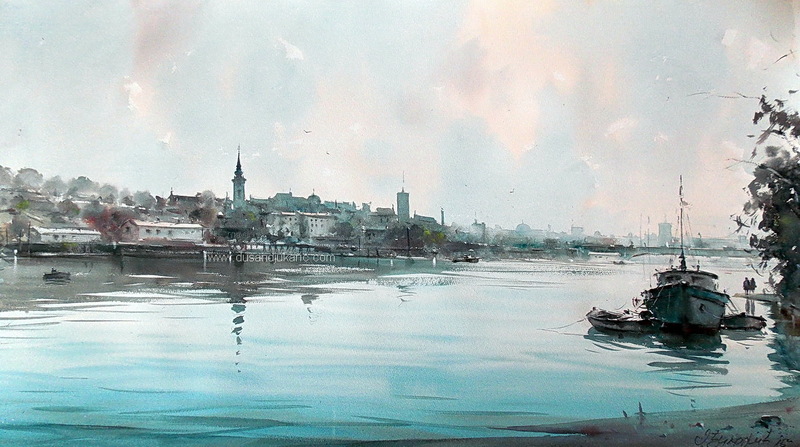 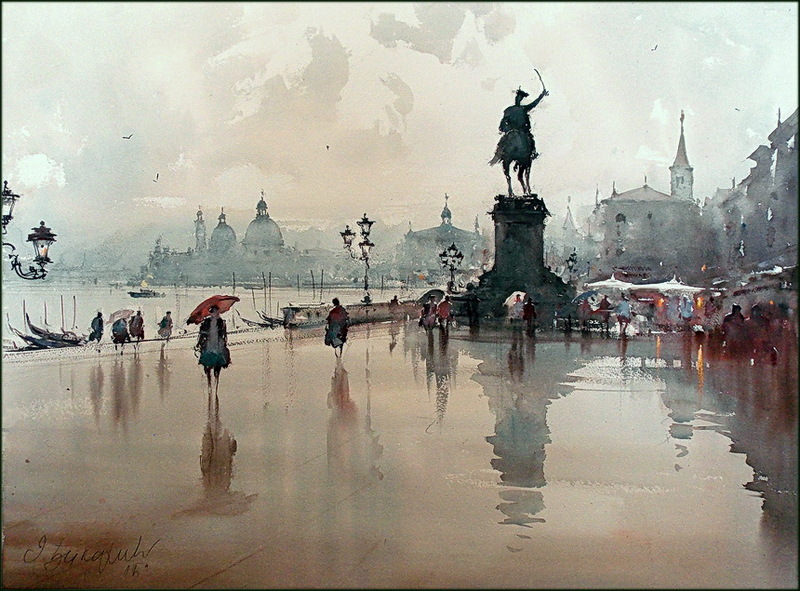 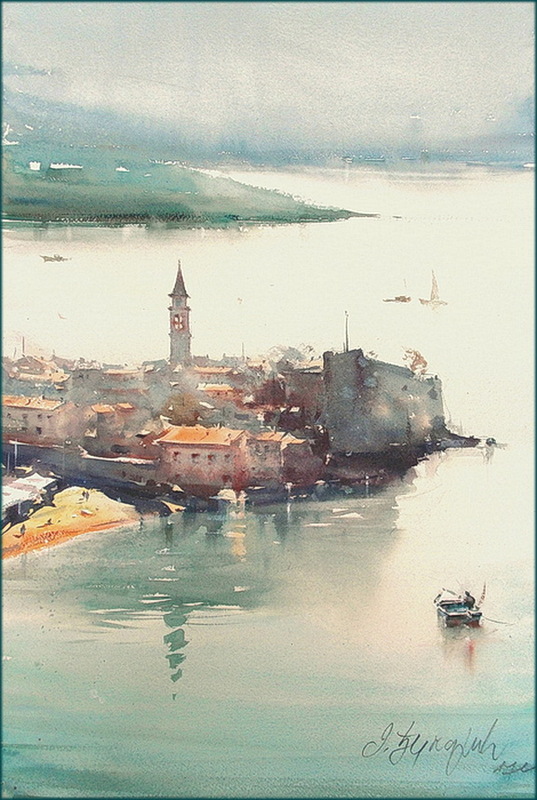 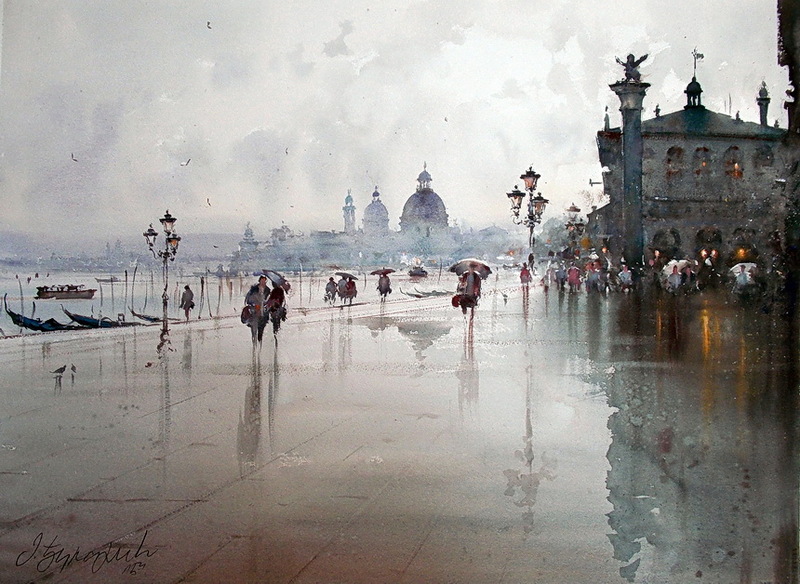 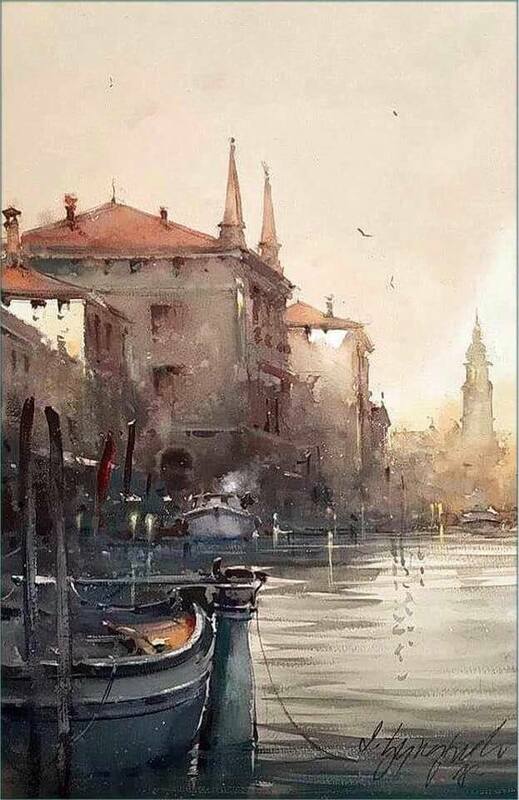 Morning in Venice, watercolor, 36x55 cm.